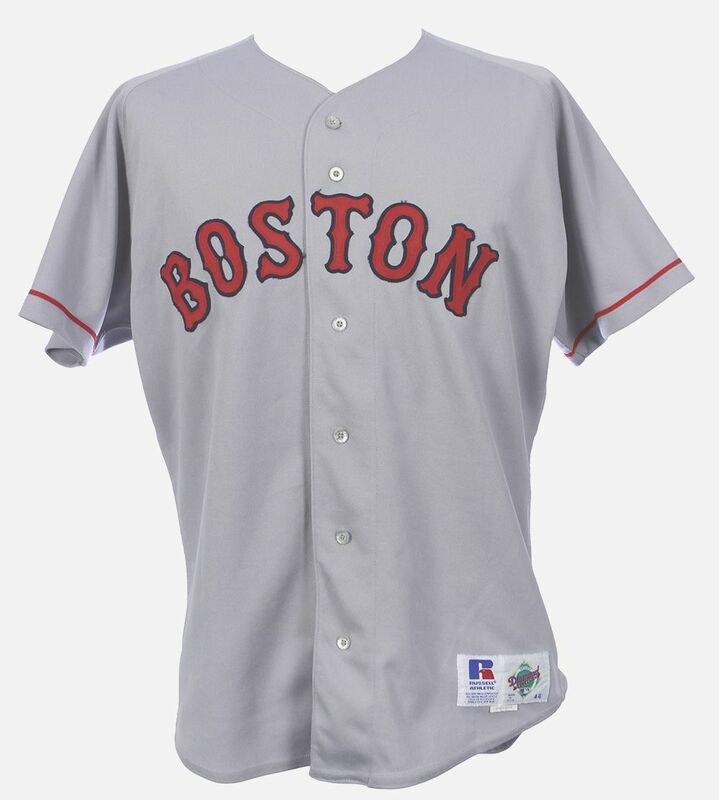 Red trim is eliminated on home jerseys. 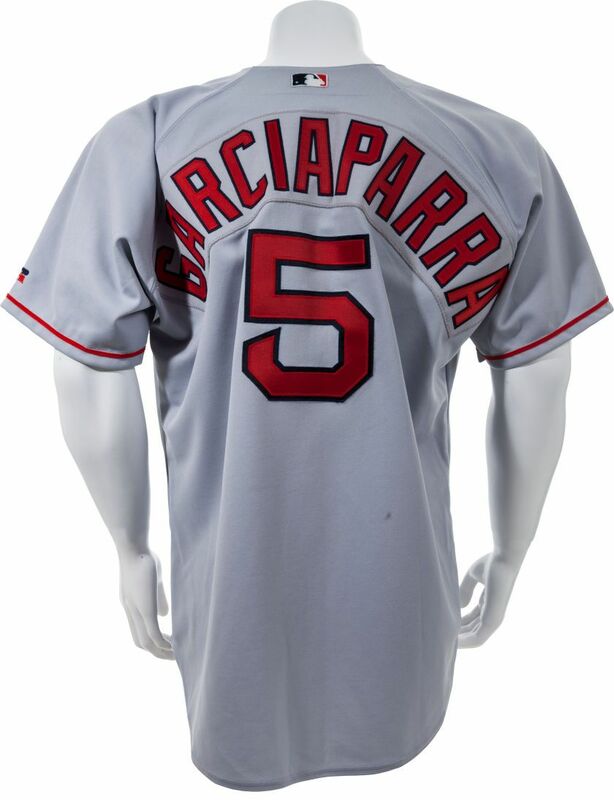 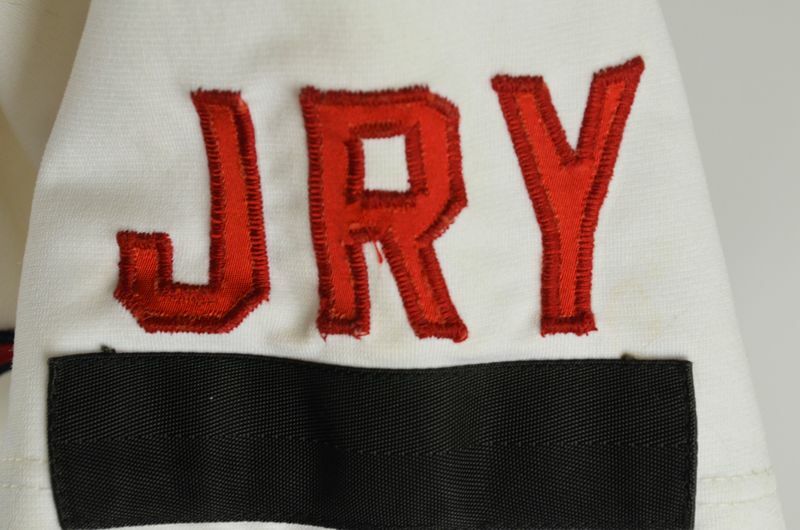 Red outline added to road jersey lettering. 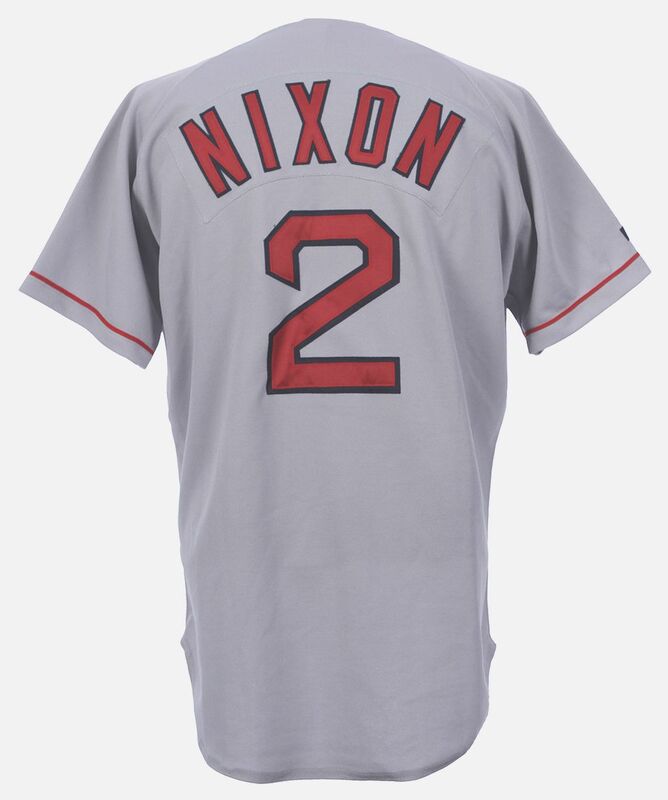 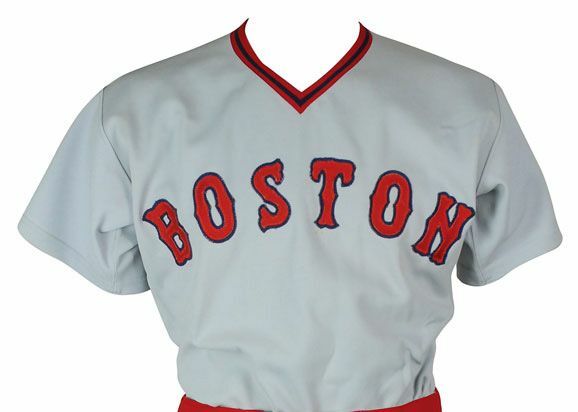 The Red Sox switch to double knit pullovers in the middle of the 1972 season. 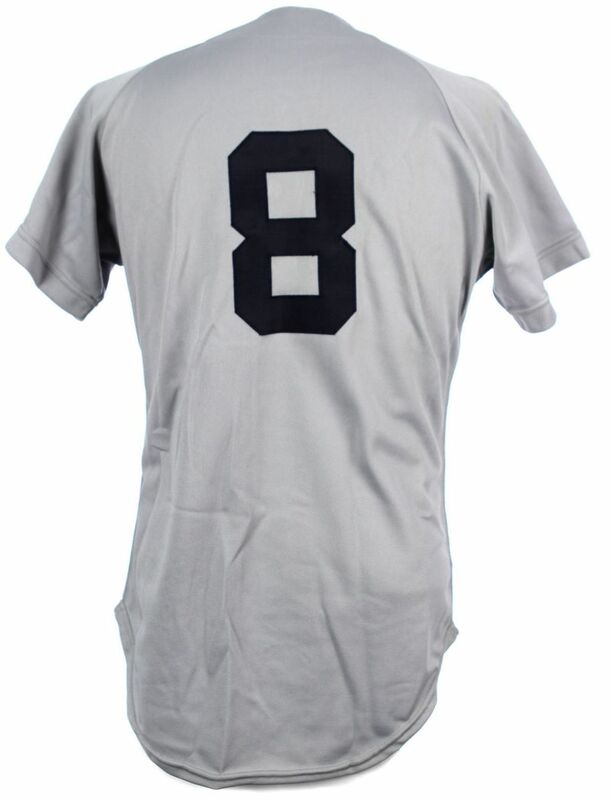 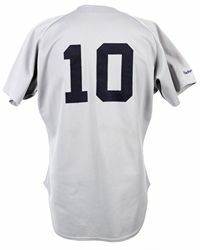 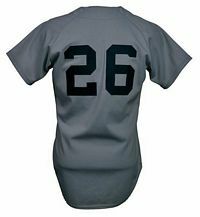 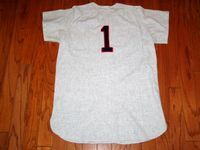 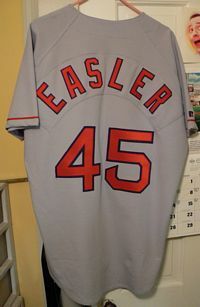 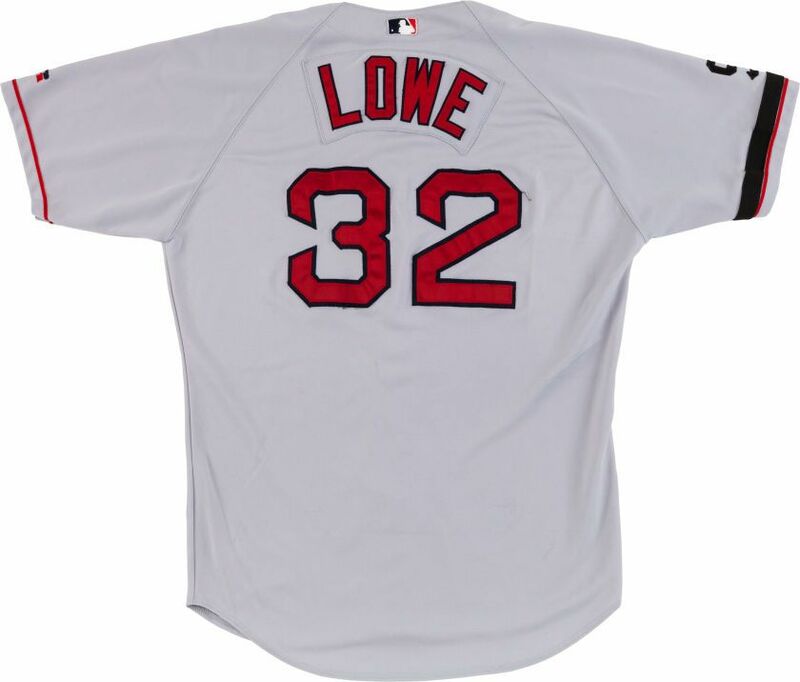 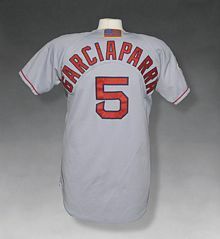 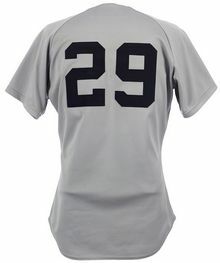 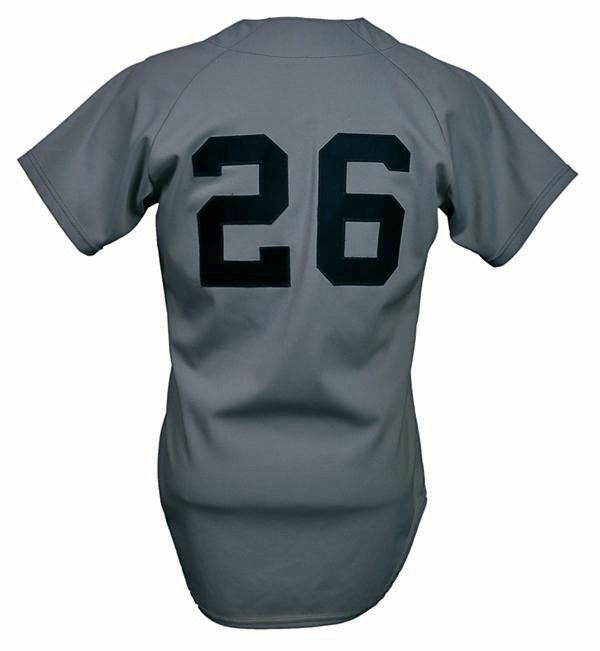 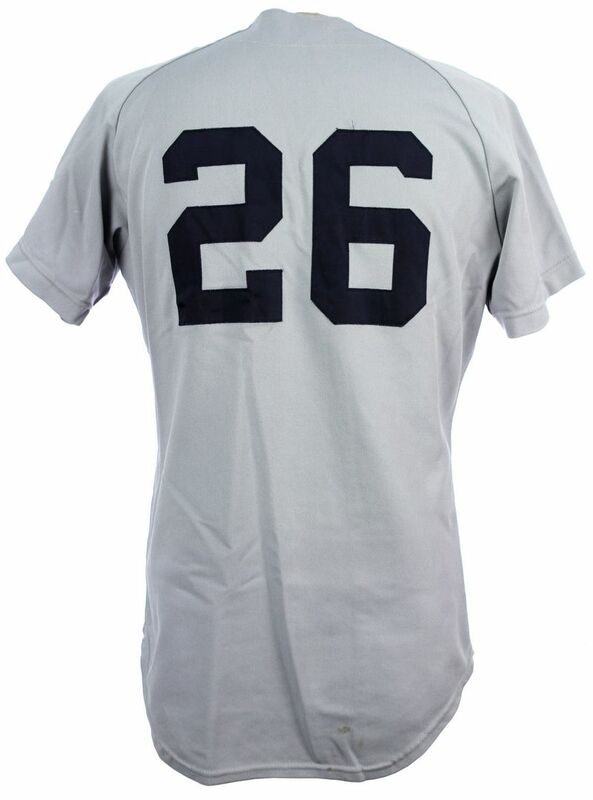 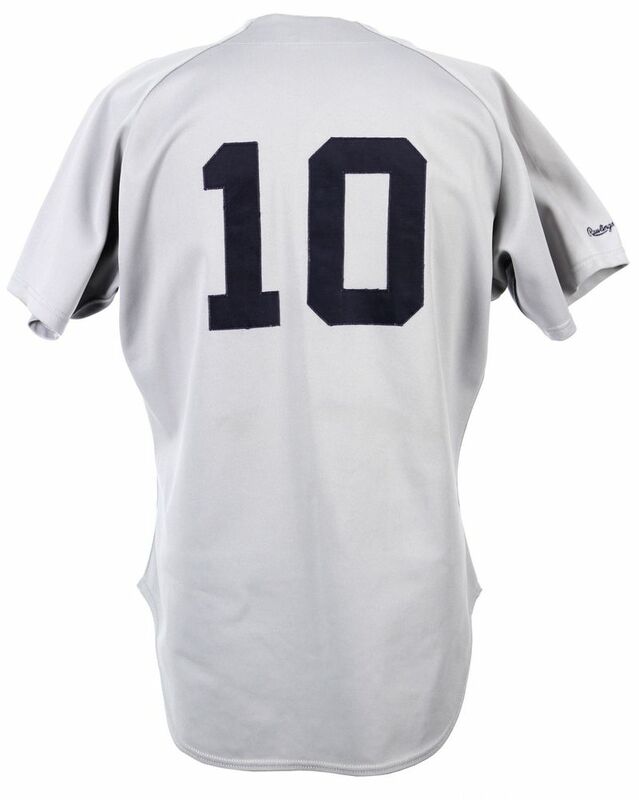 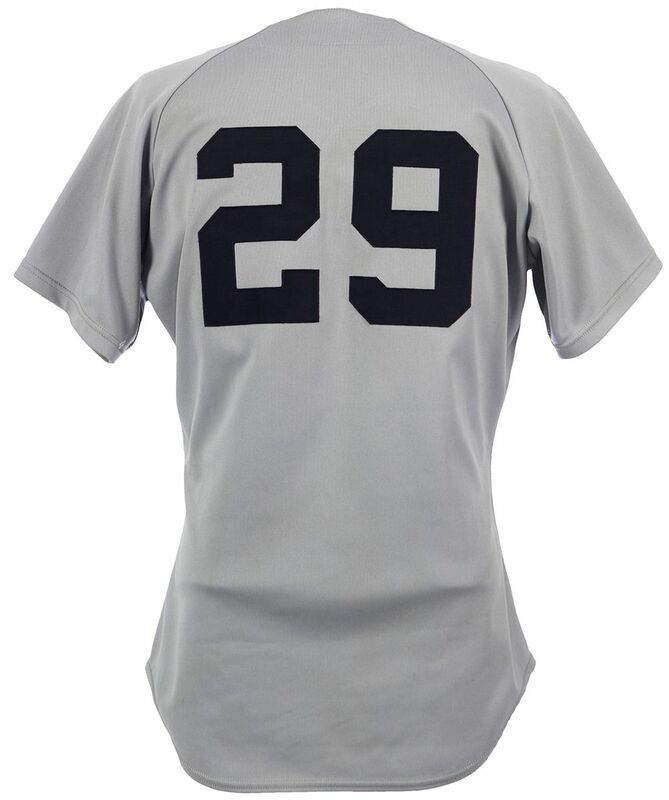 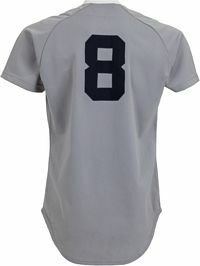 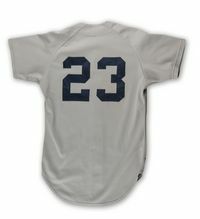 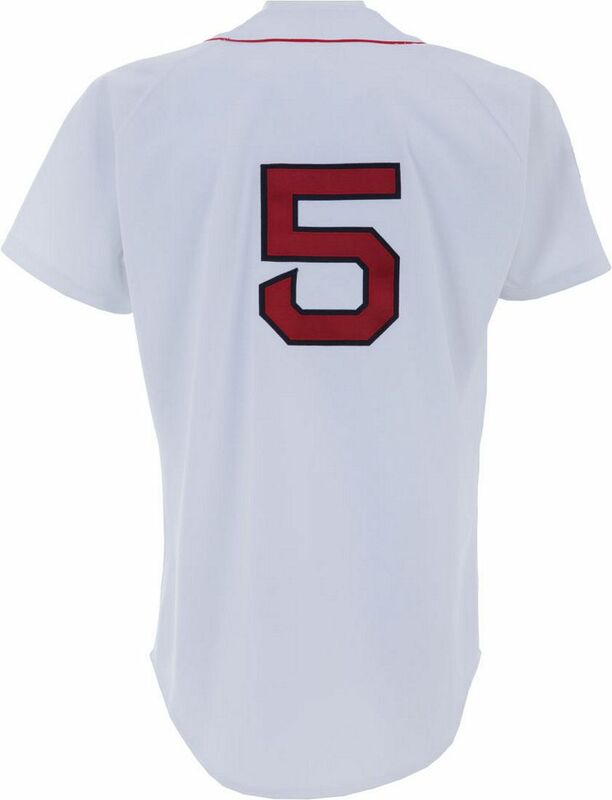 The road jersey changes most, as the font changes to Tuscan and the lettering to red with navy trim. 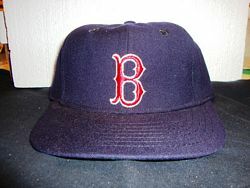 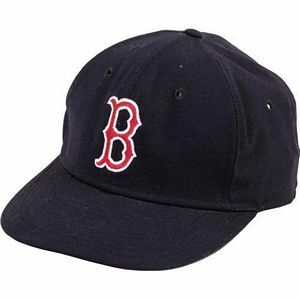 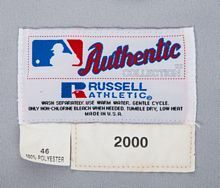 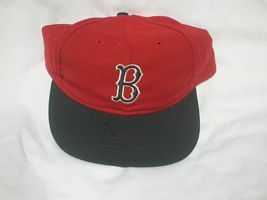 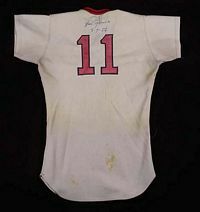 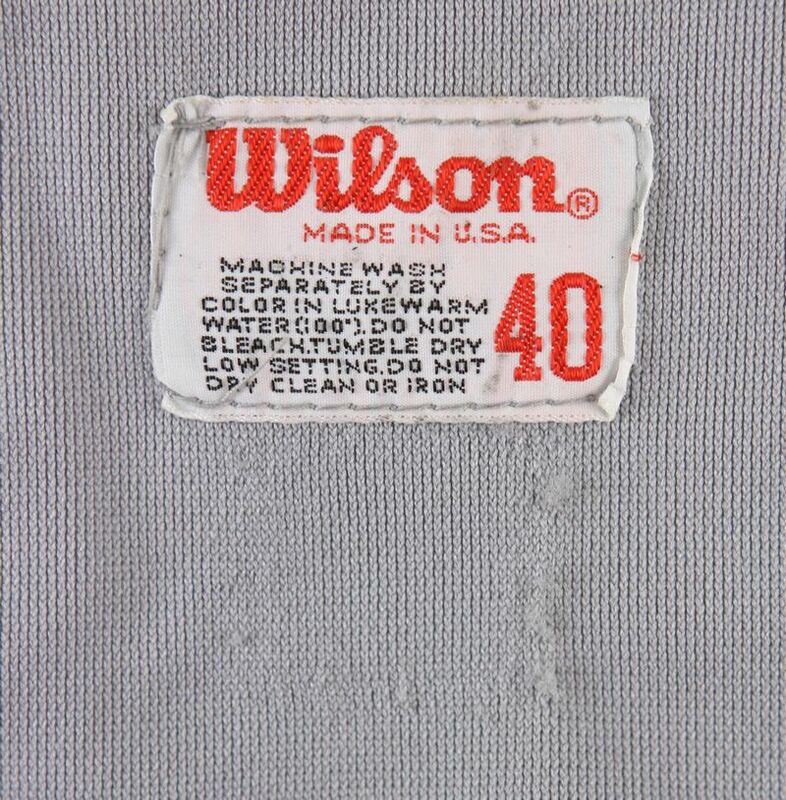 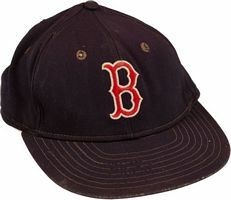 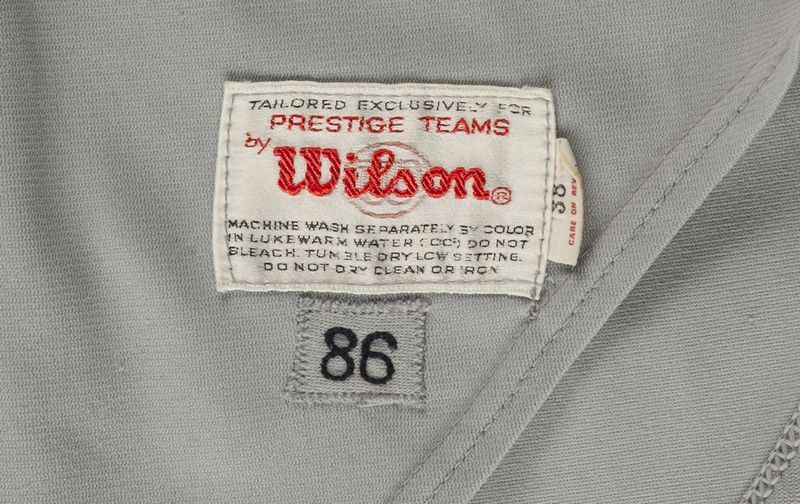 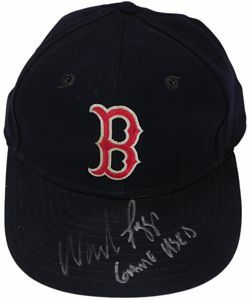 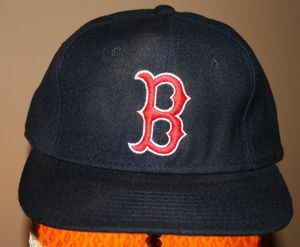 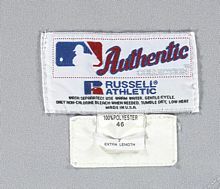 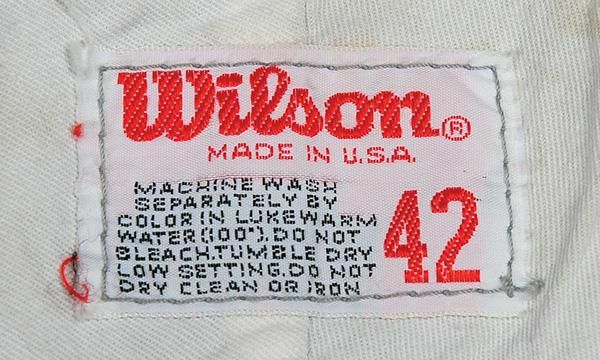 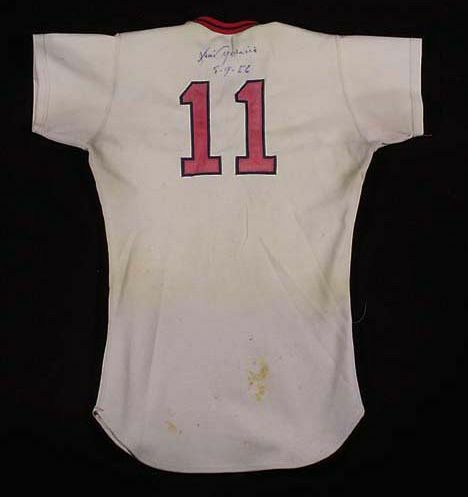 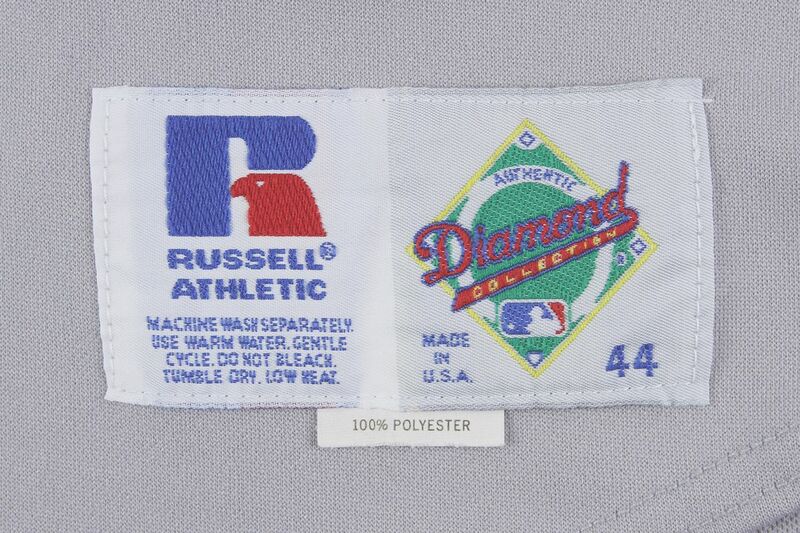 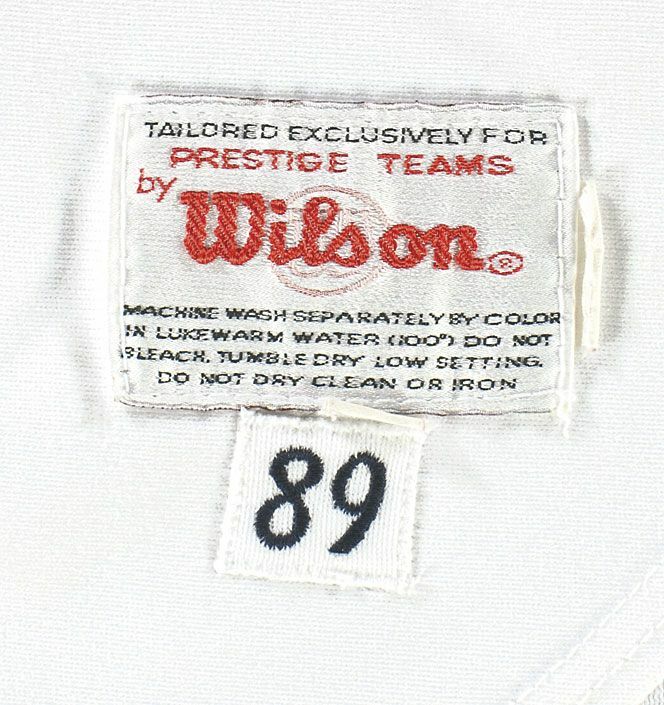 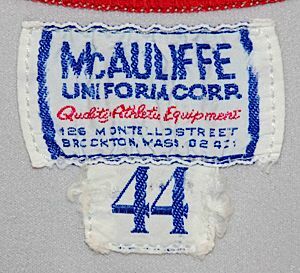 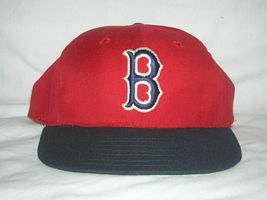 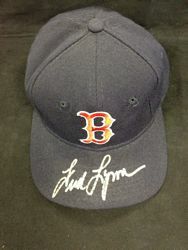 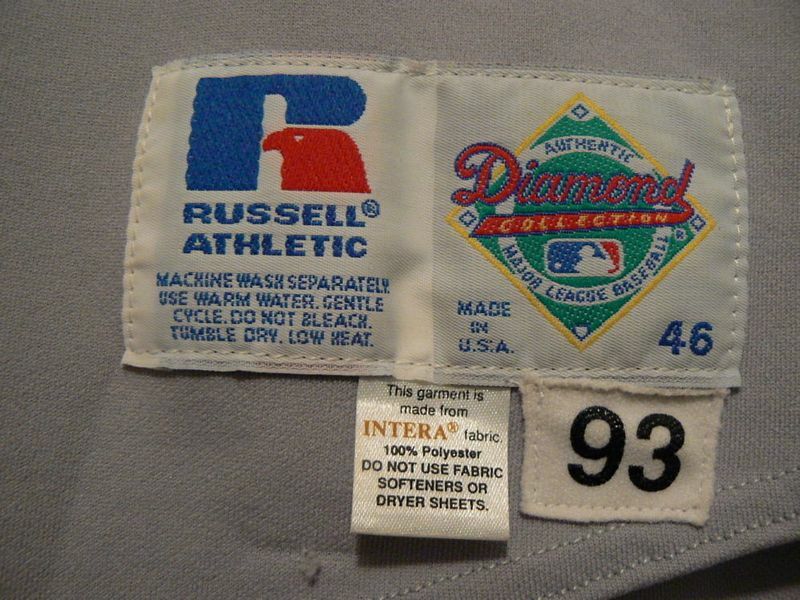 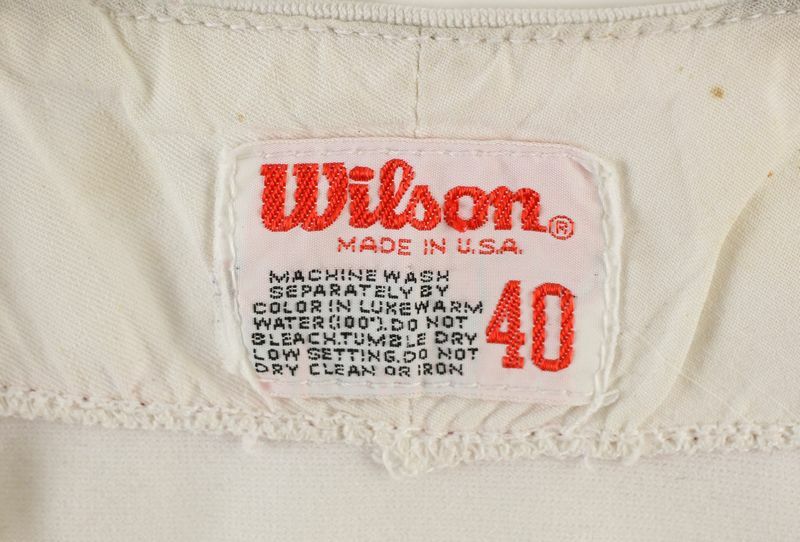 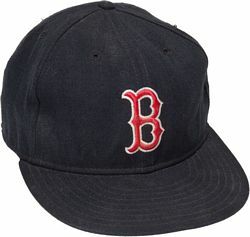 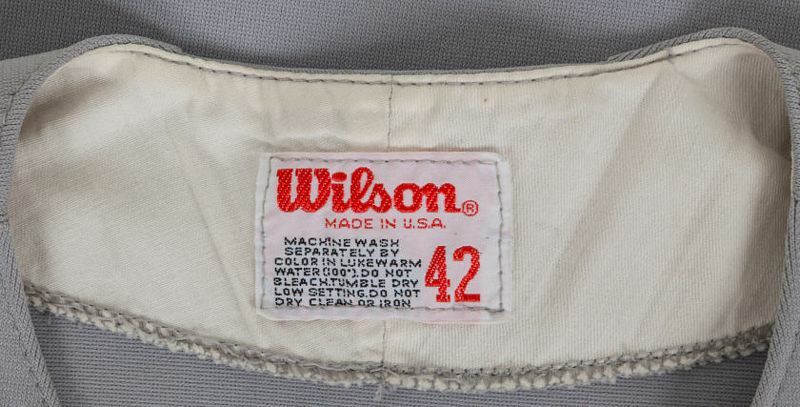 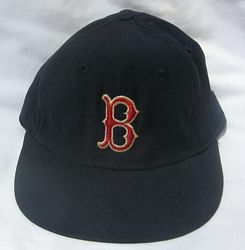 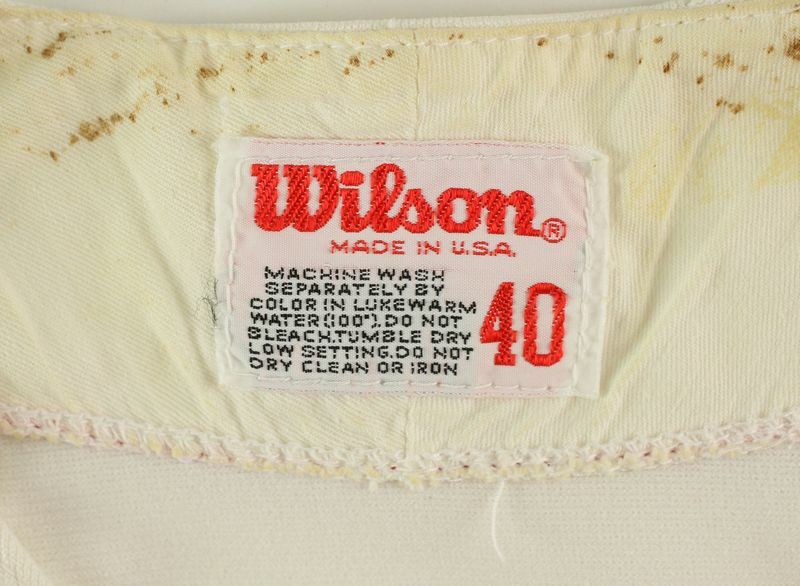 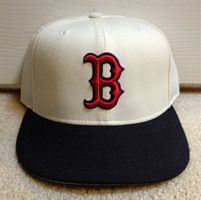 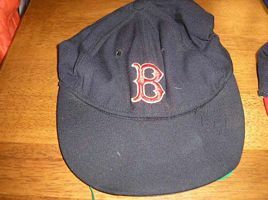 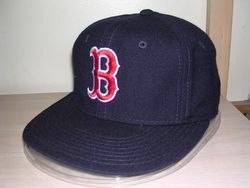 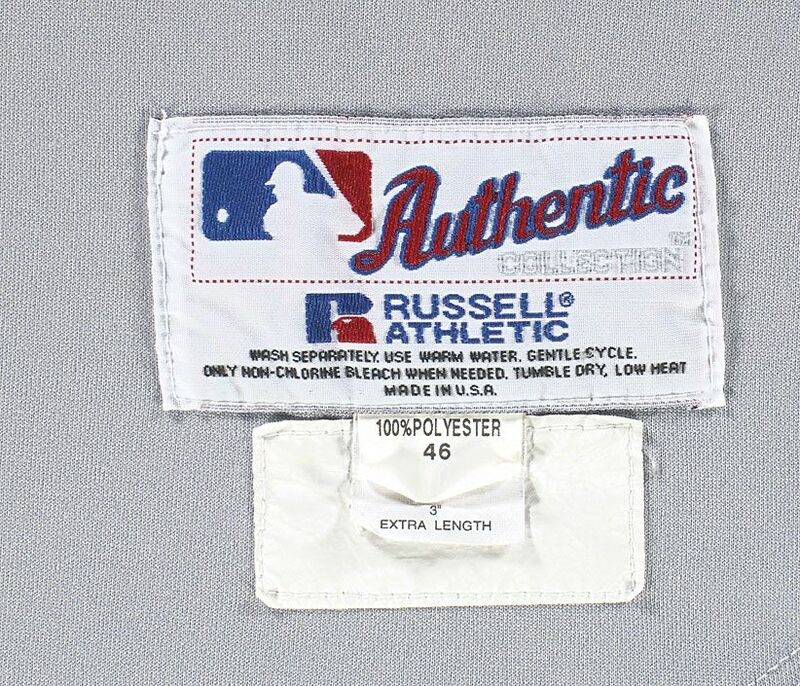 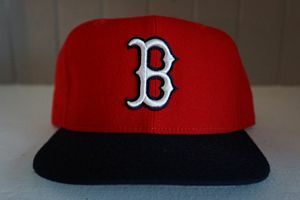 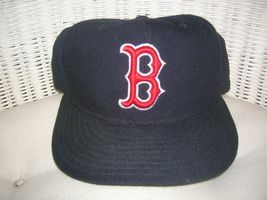 In 1974 a red panel alternate cap appears and is worn daily by mid-season. 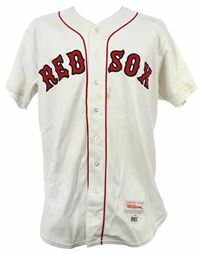 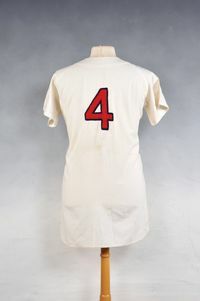 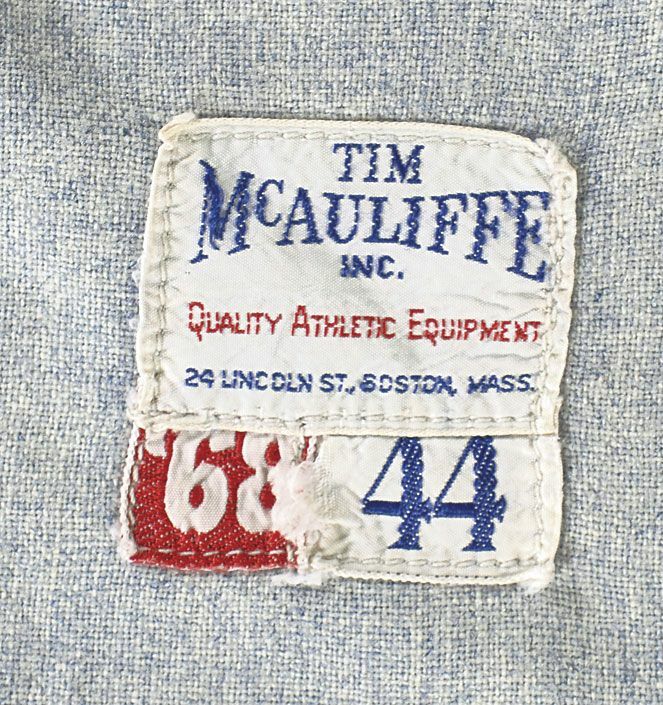 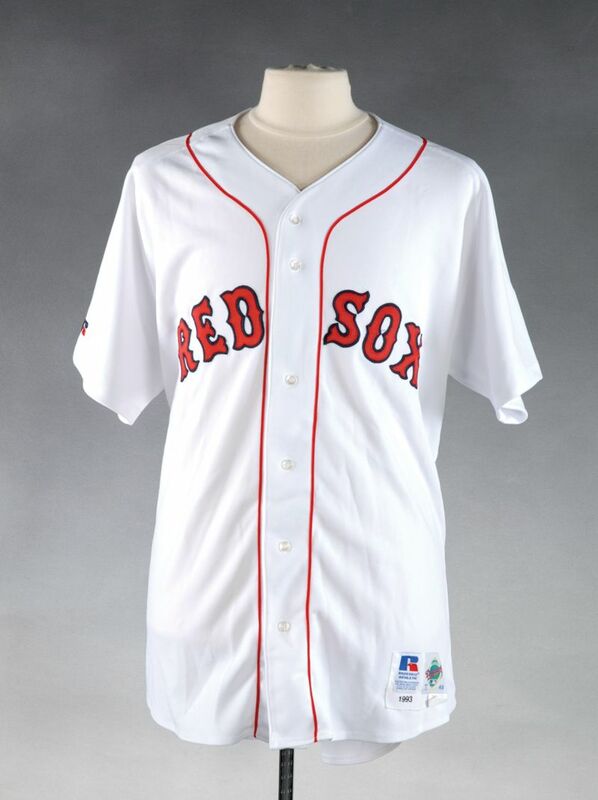 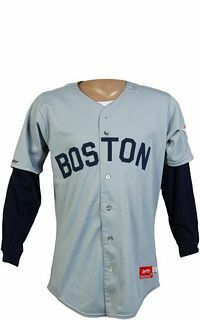 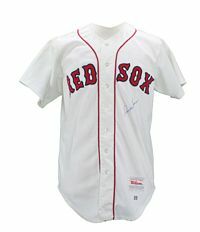 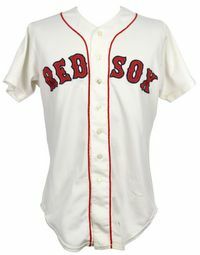 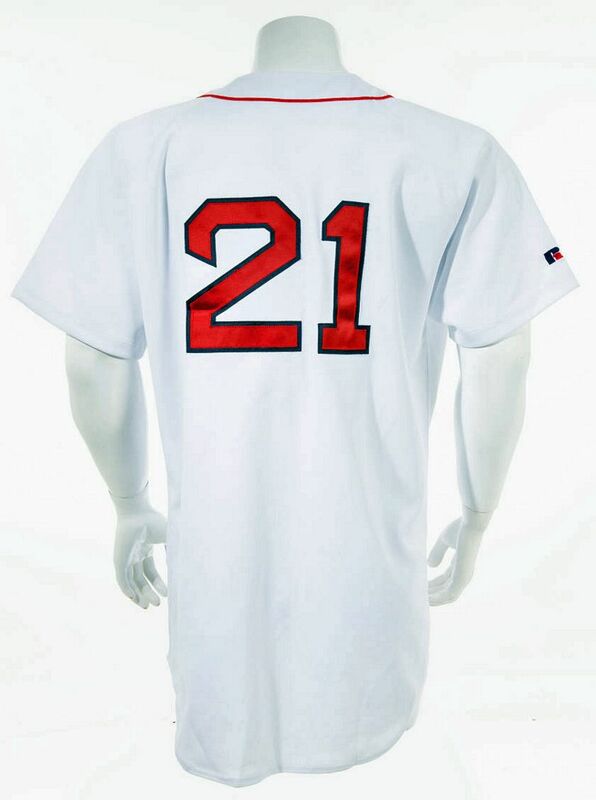 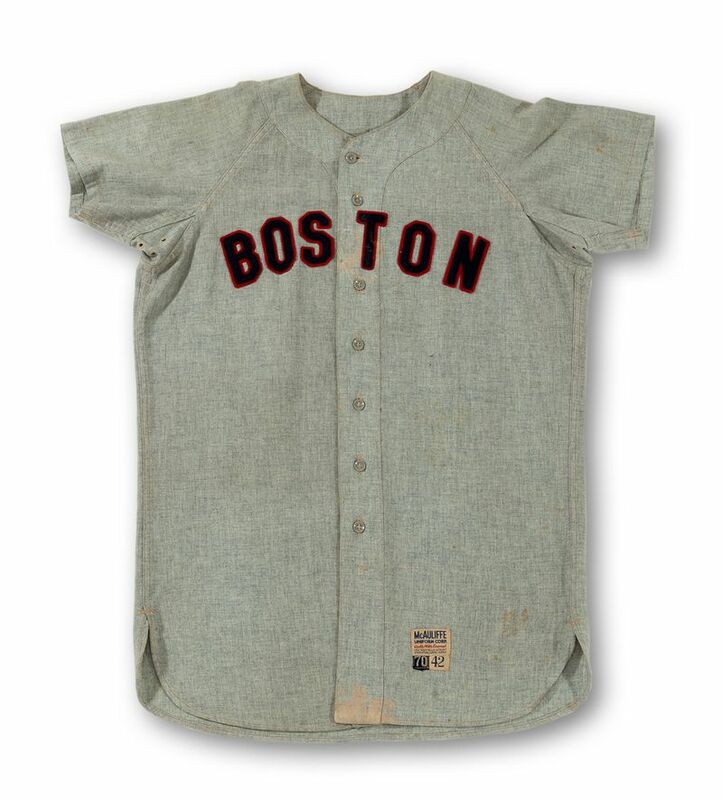 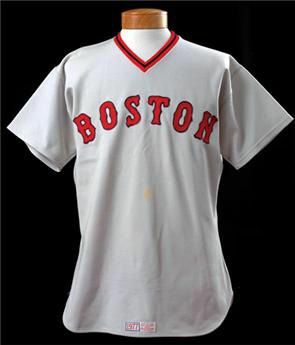 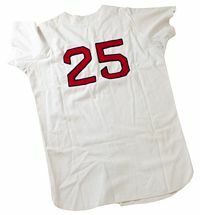 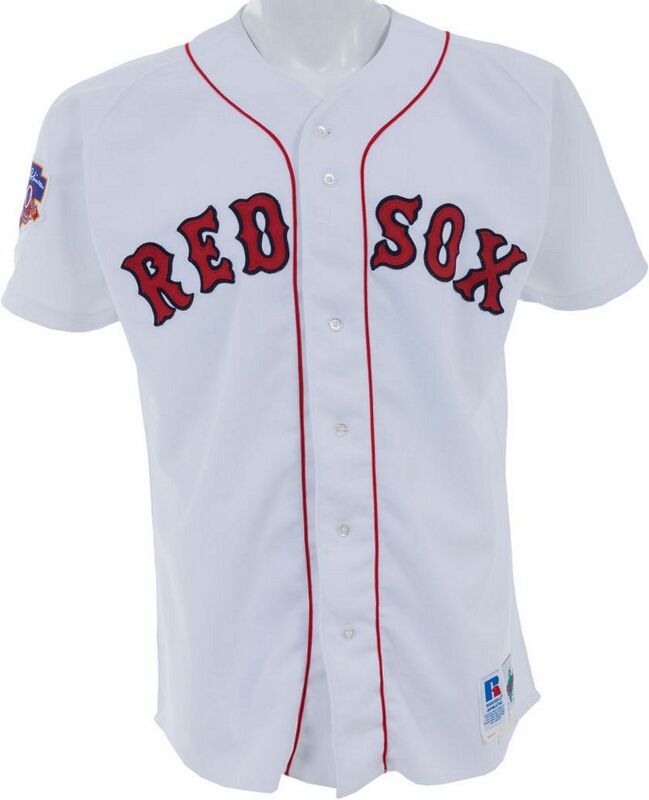 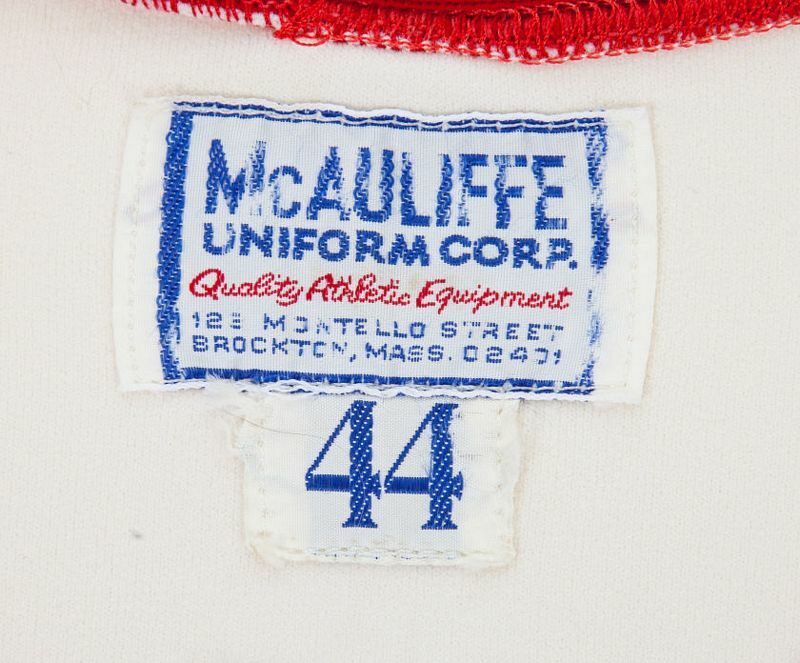 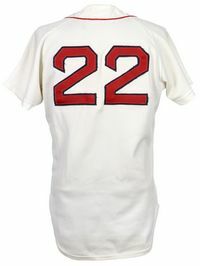 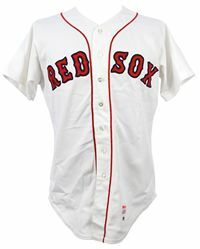 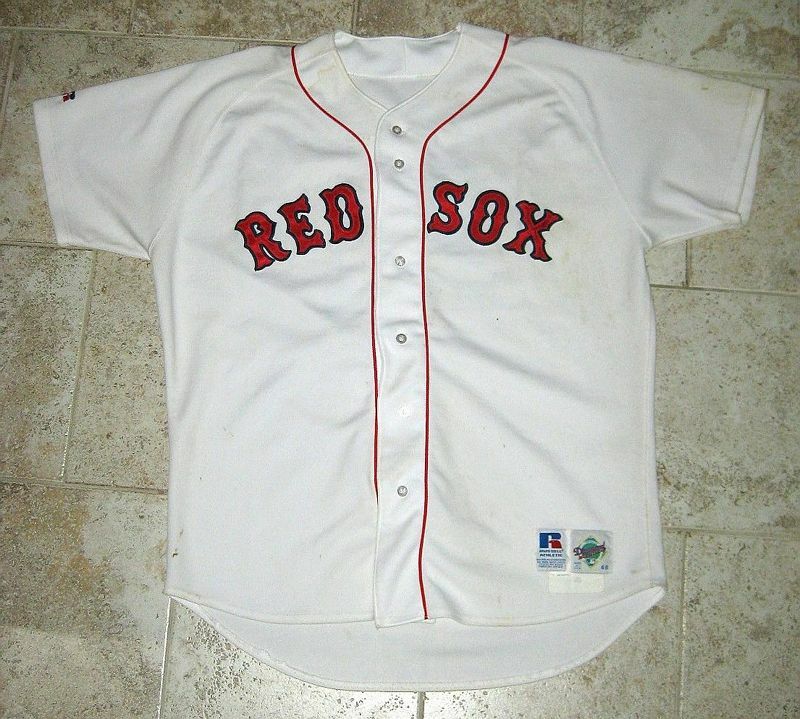 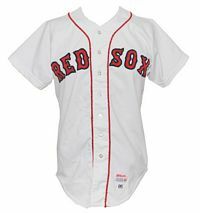 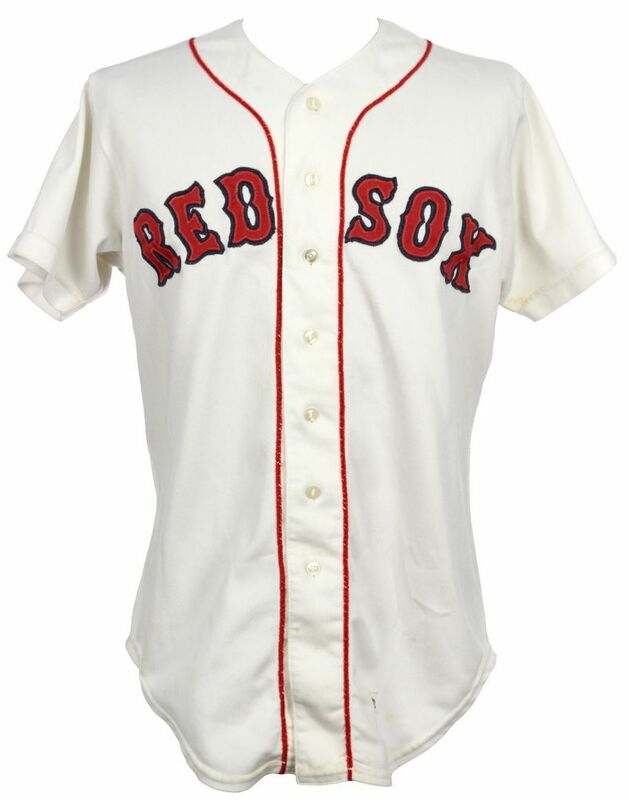 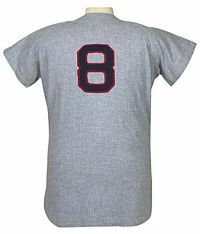 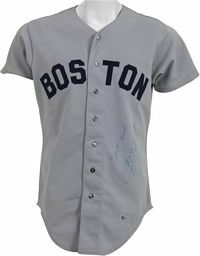 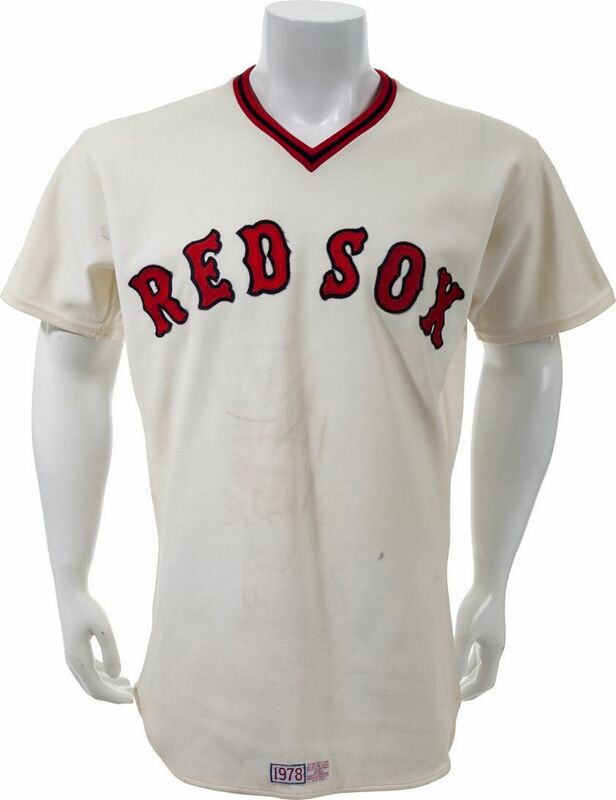 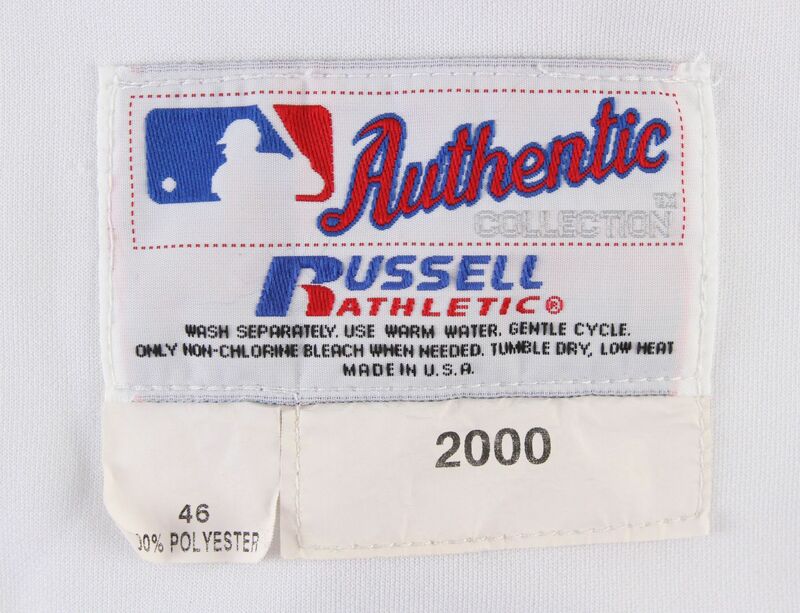 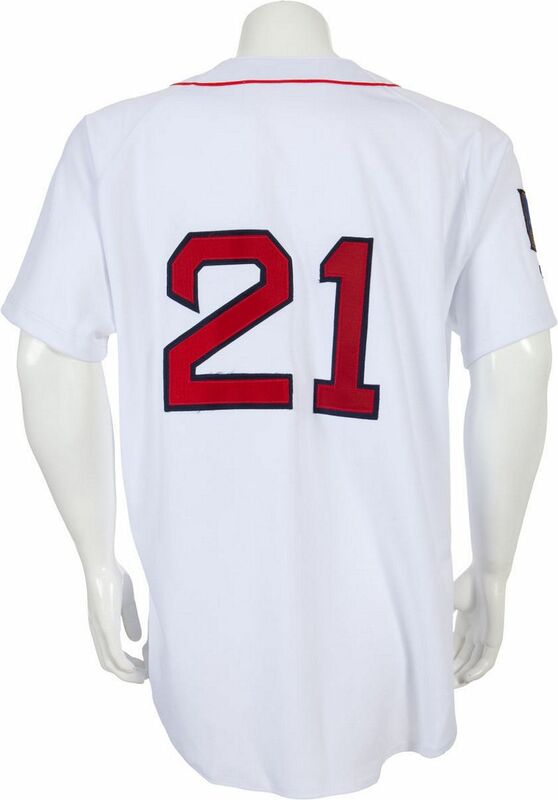 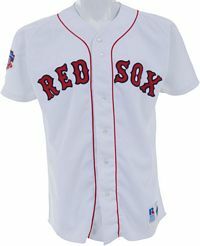 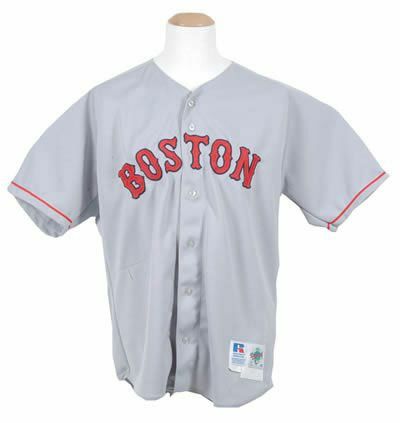 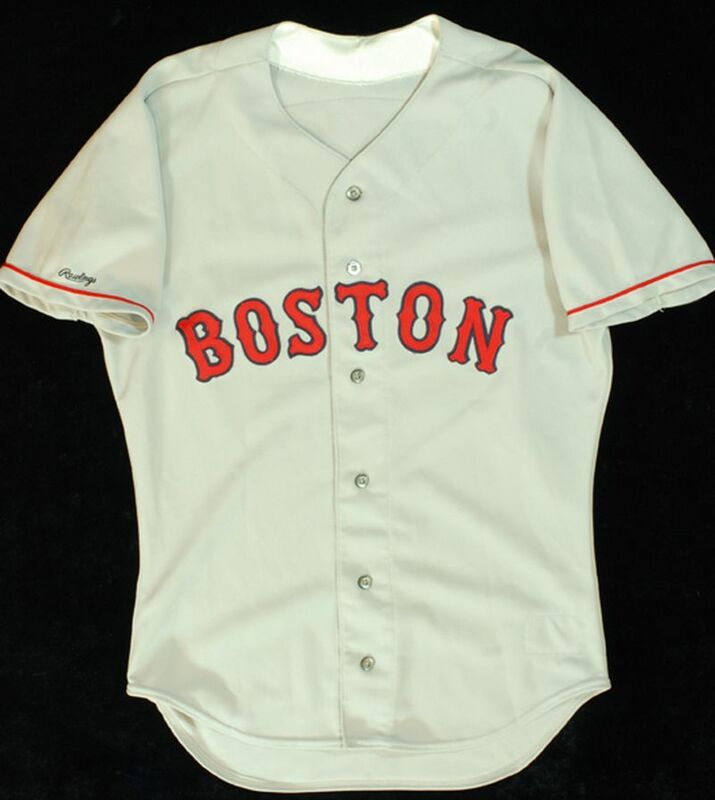 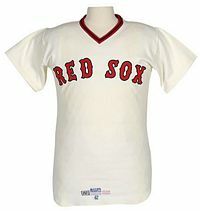 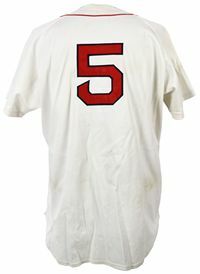 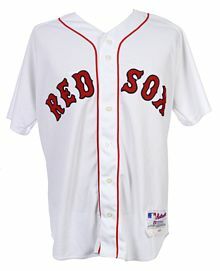 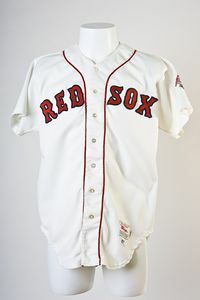 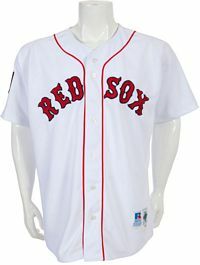 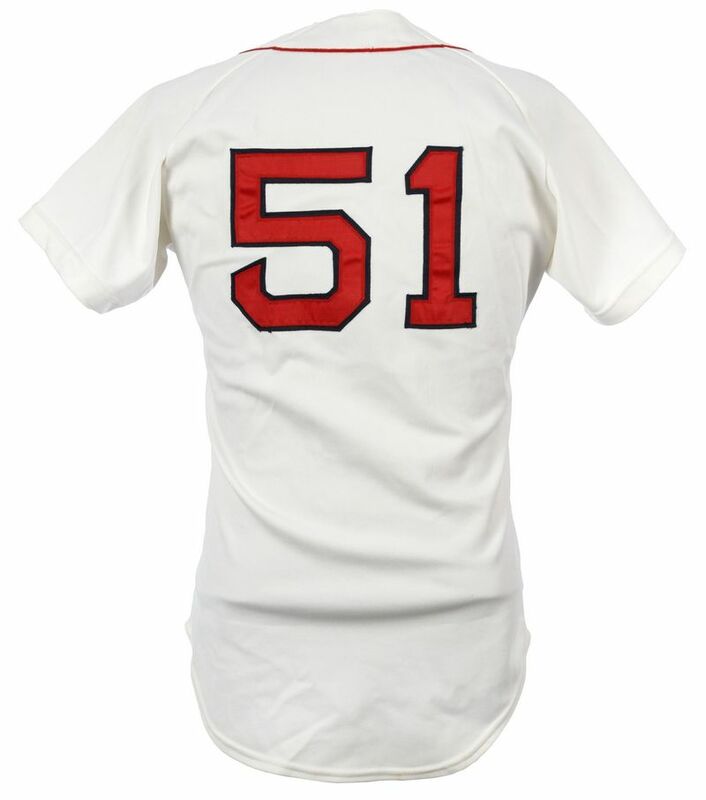 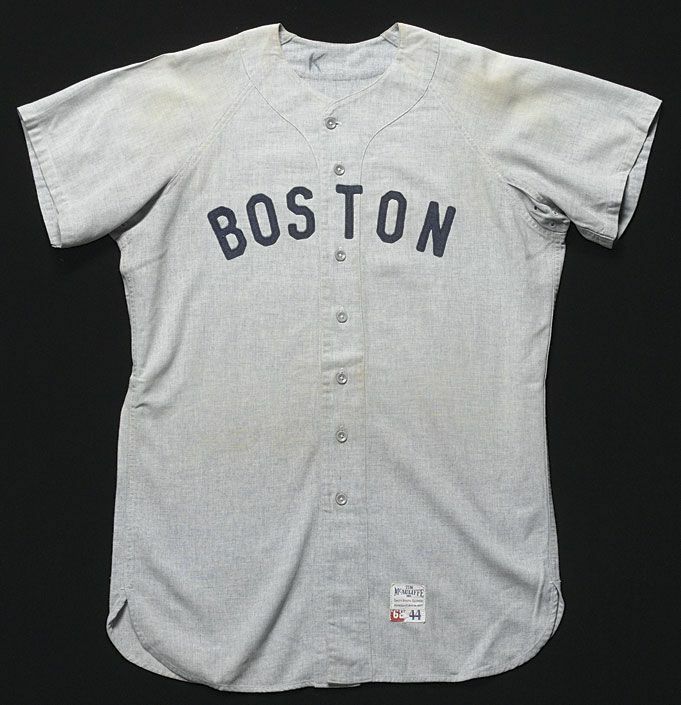 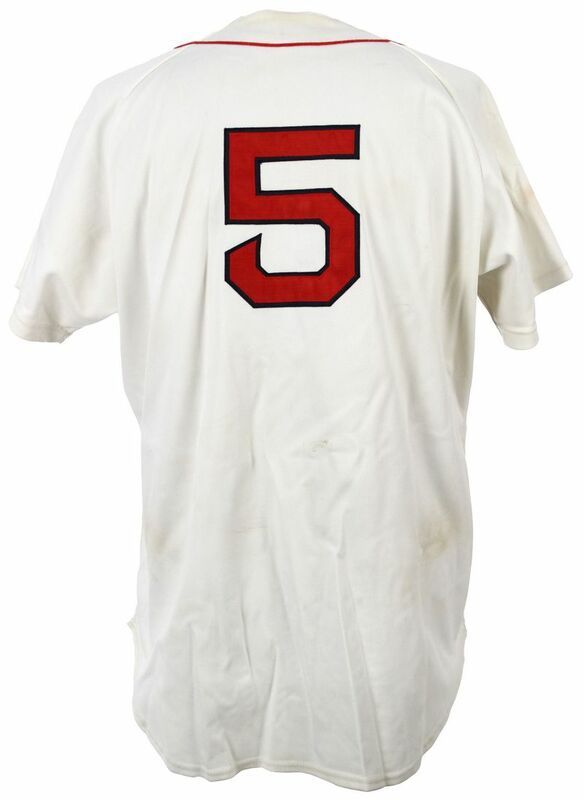 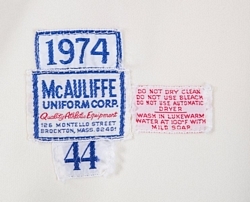 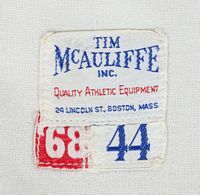 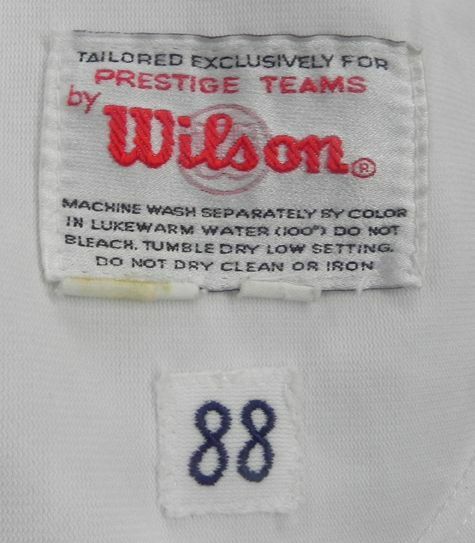 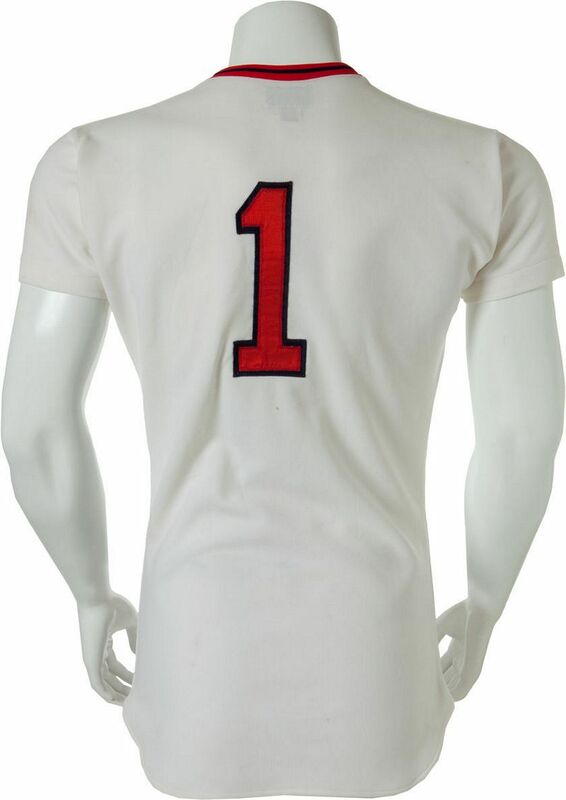 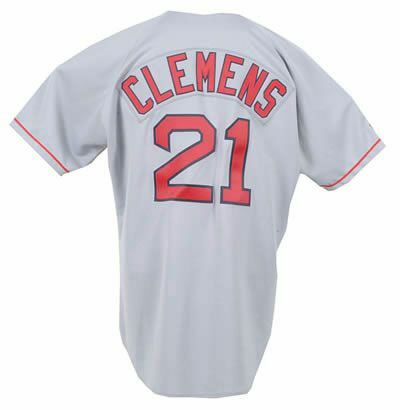 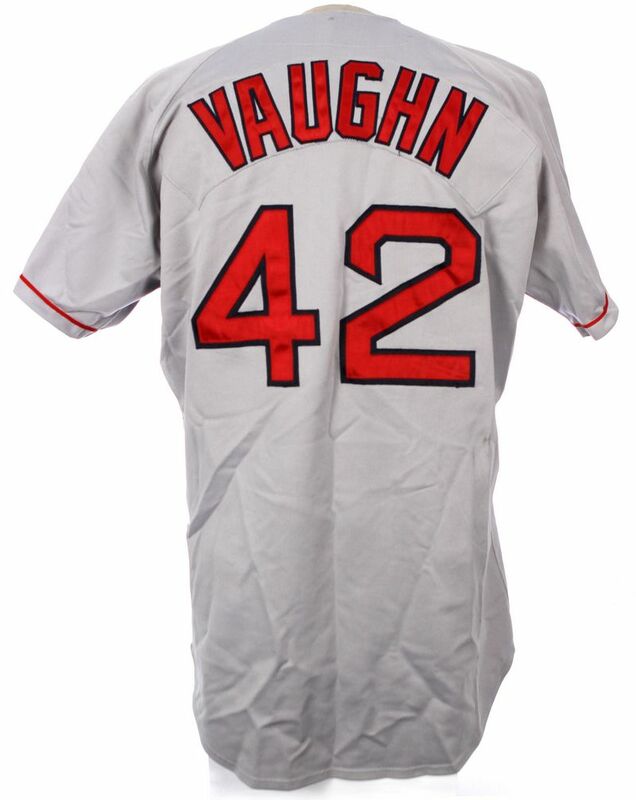 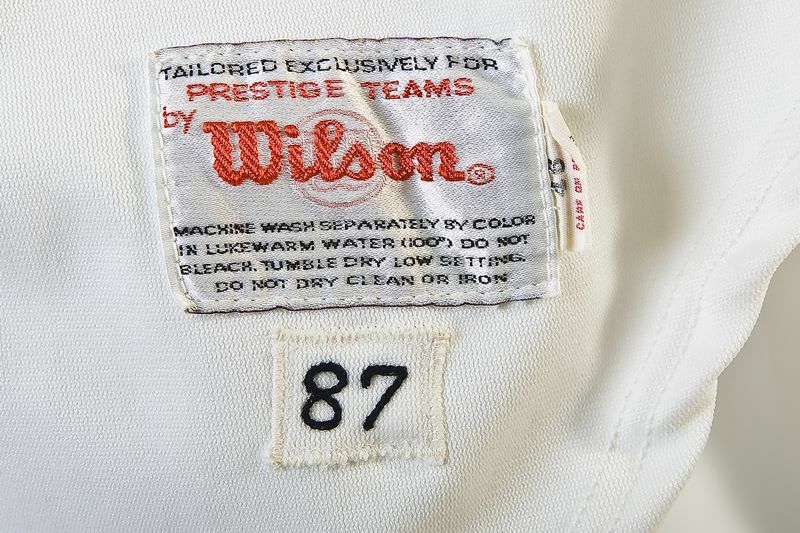 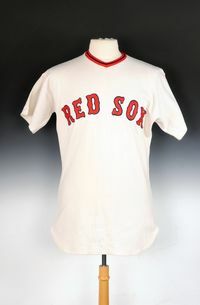 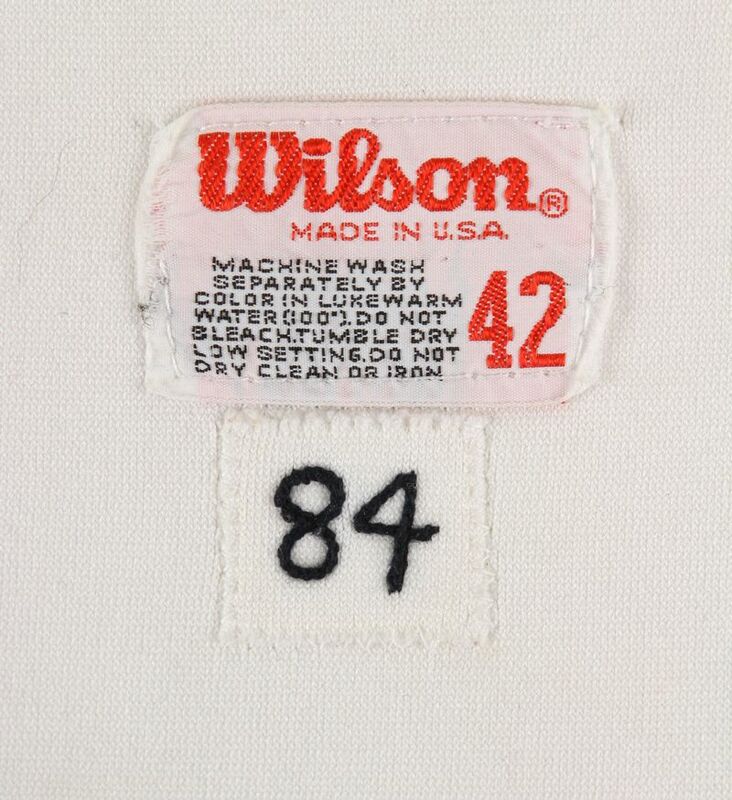 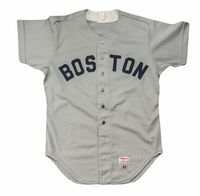 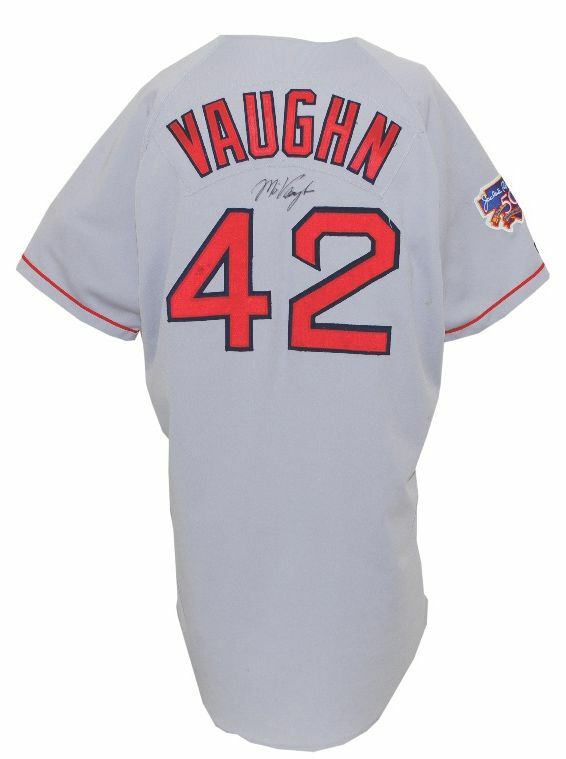 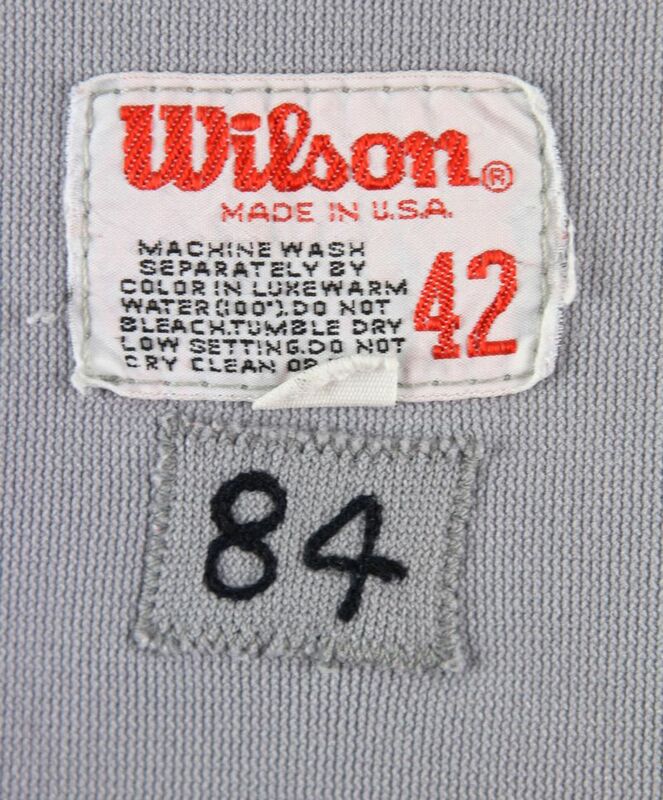 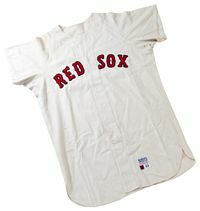 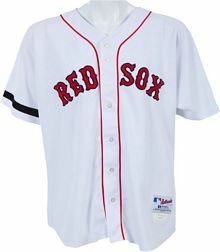 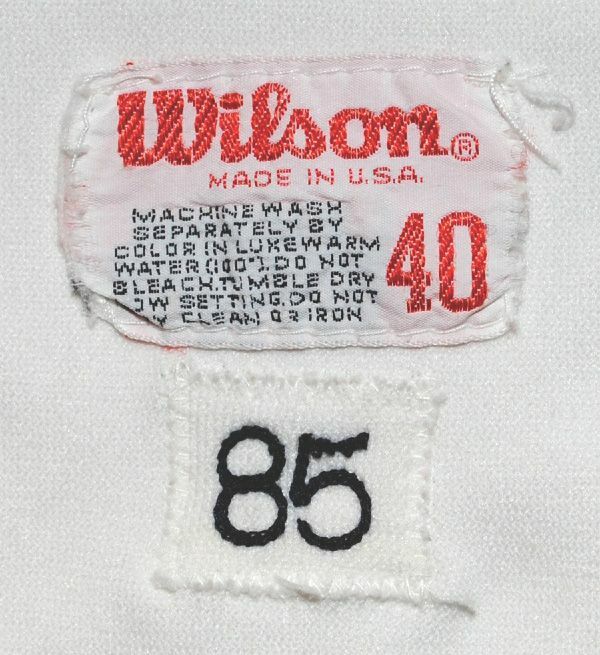 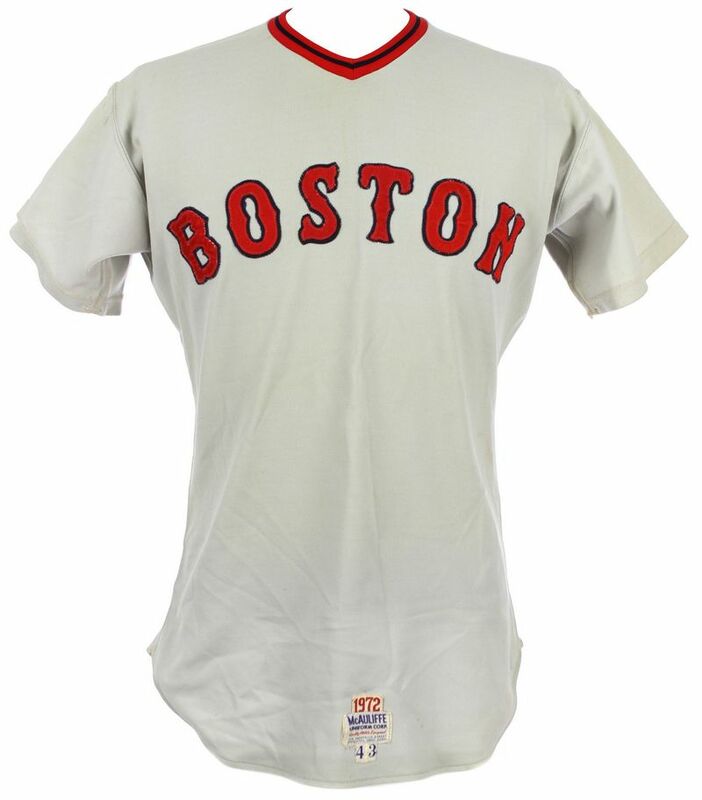 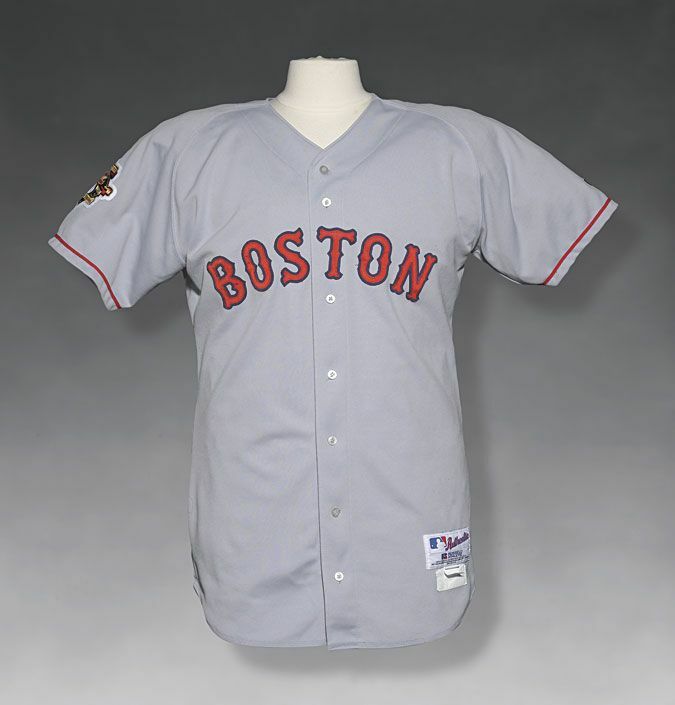 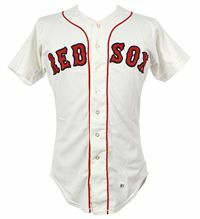 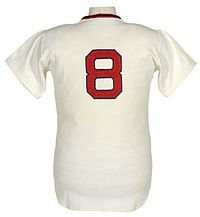 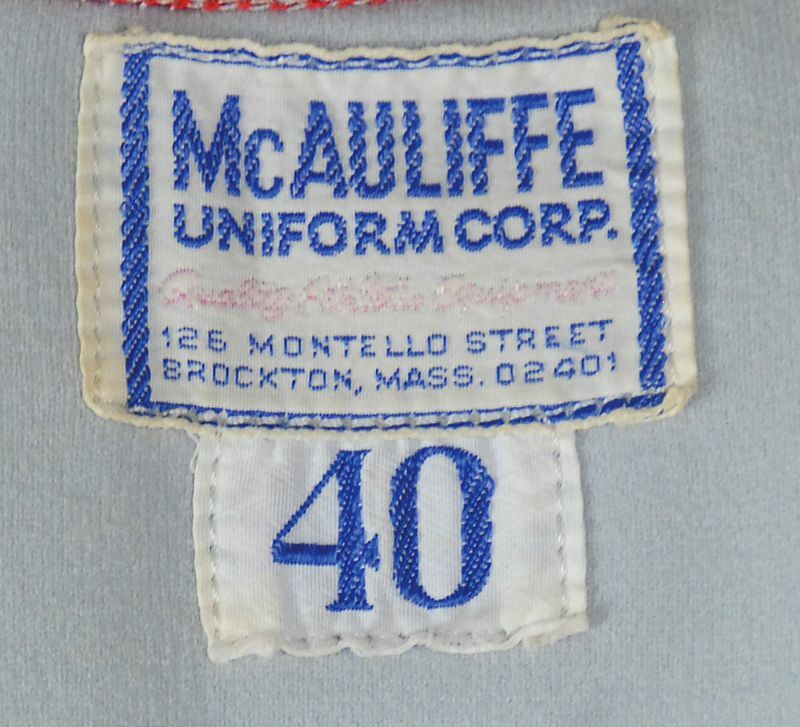 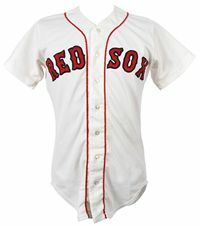 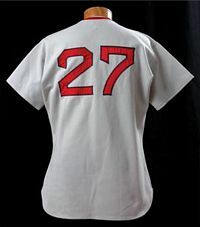 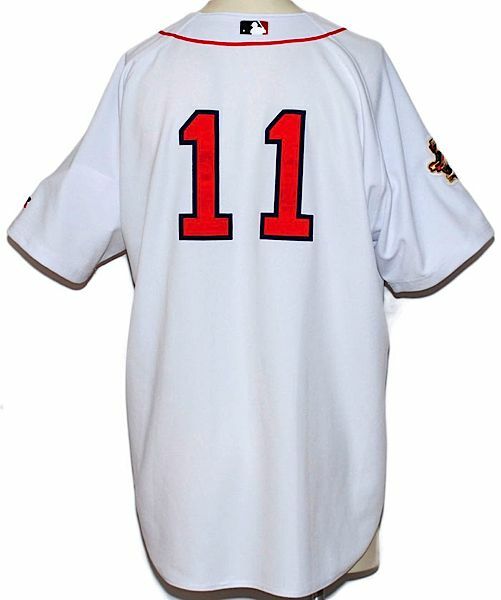 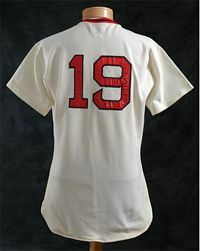 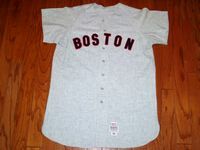 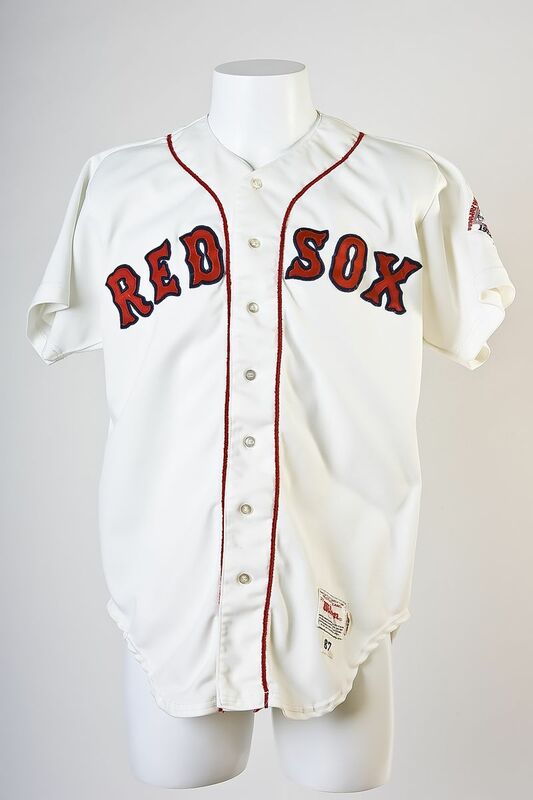 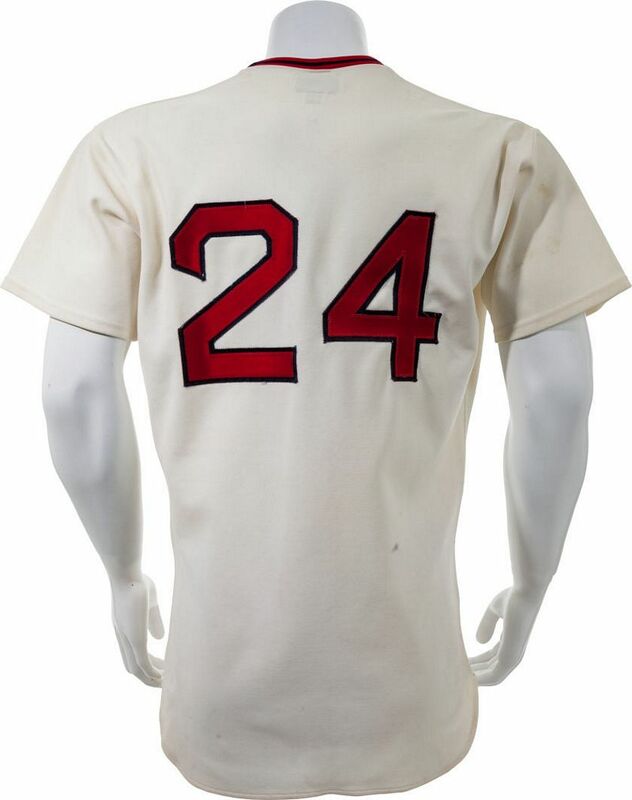 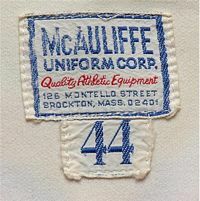 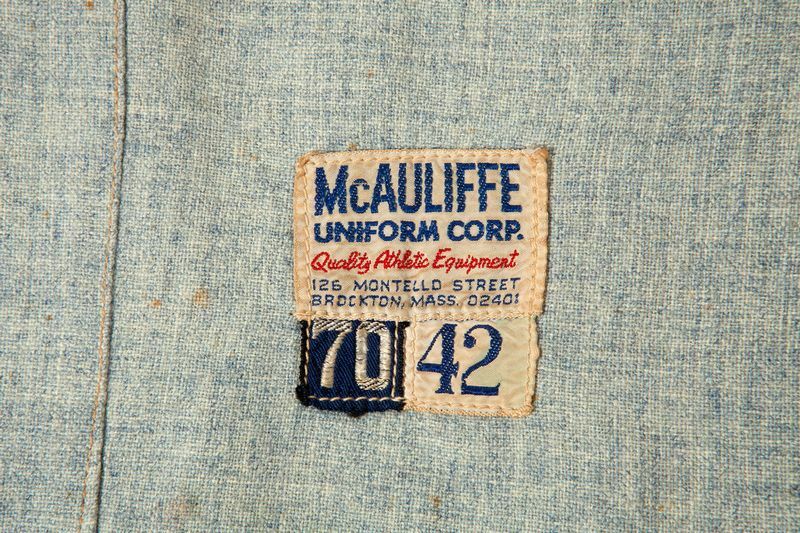 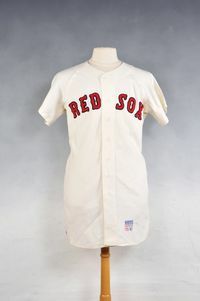 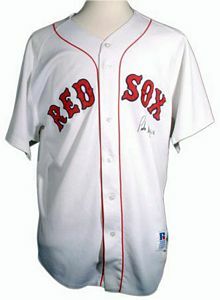 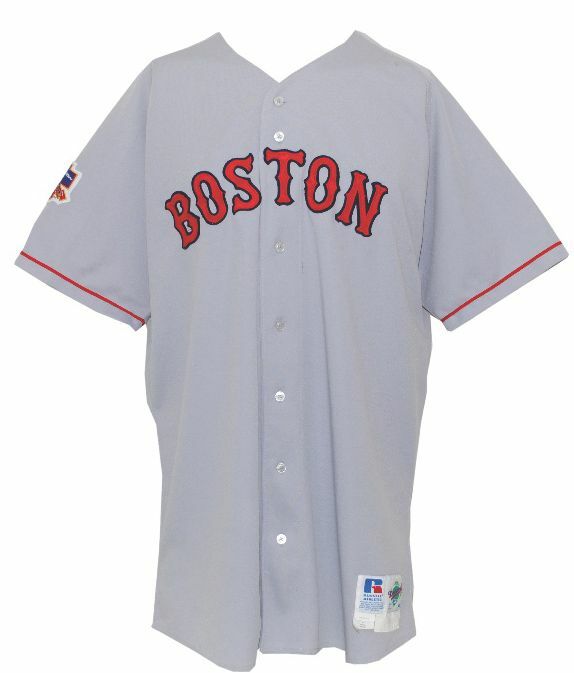 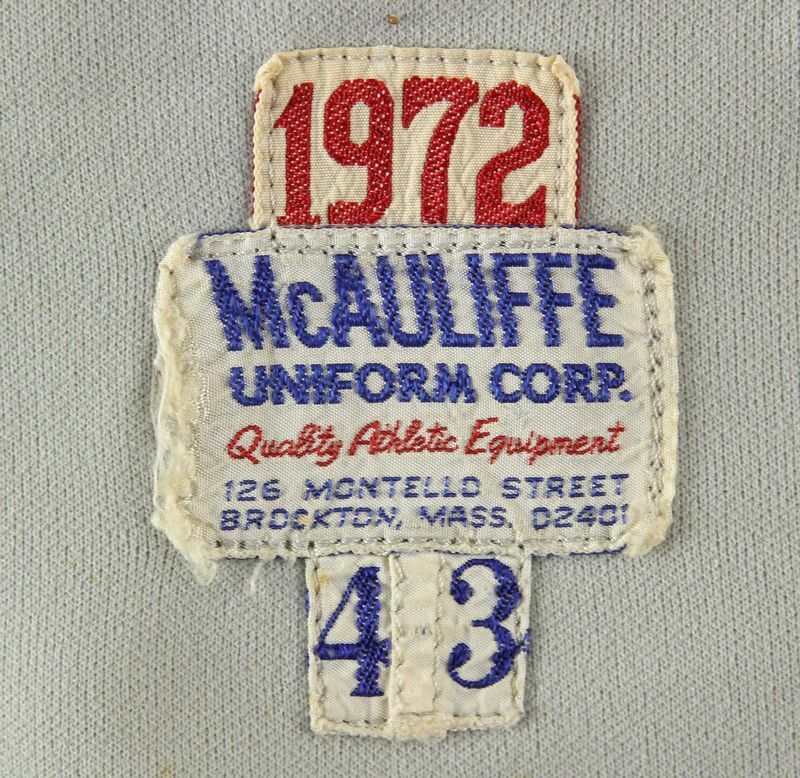 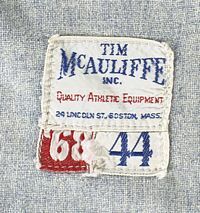 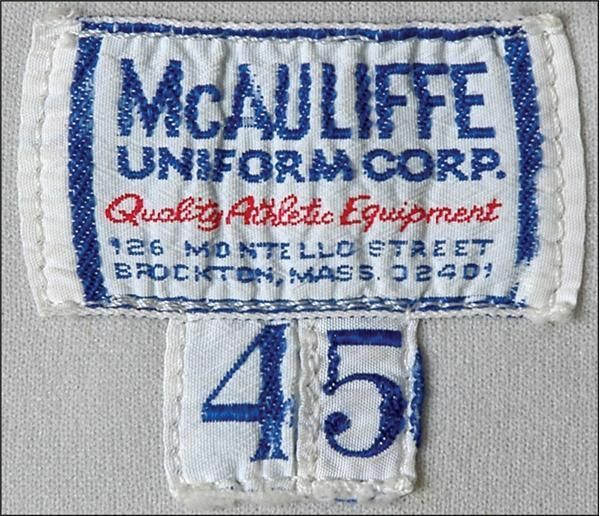 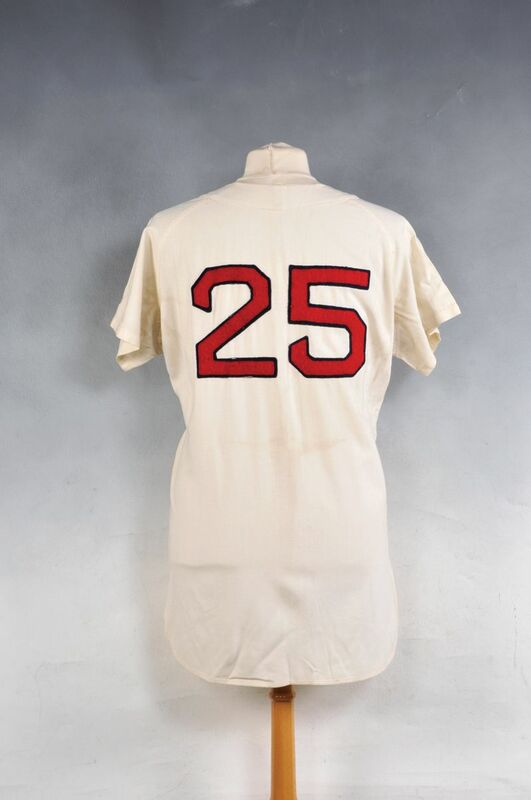 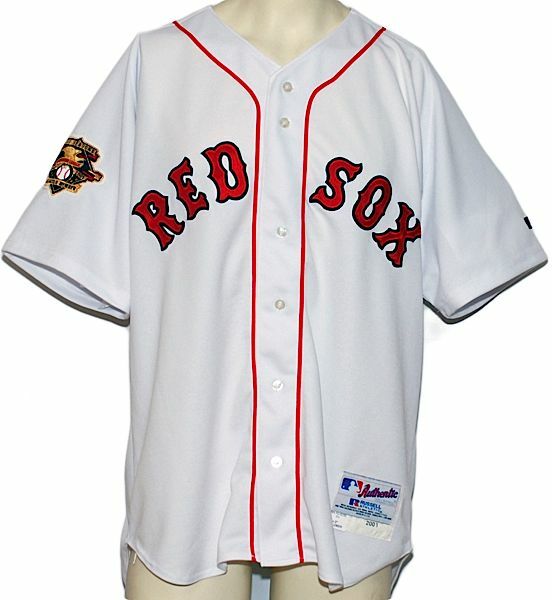 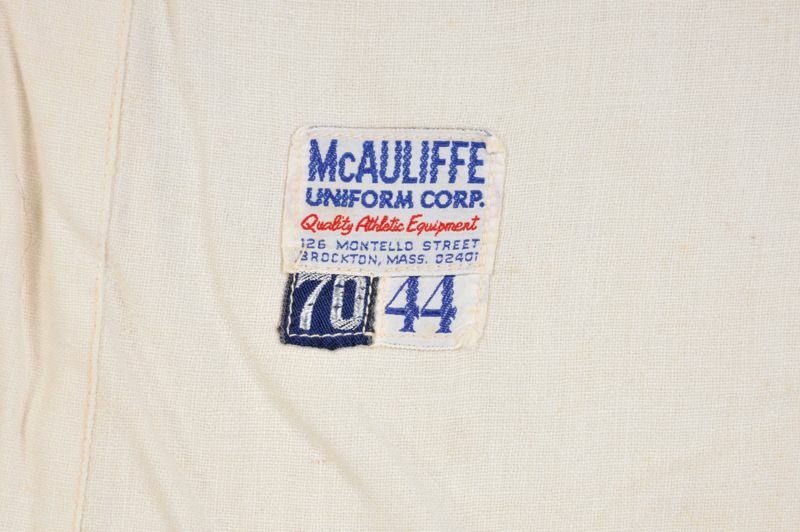 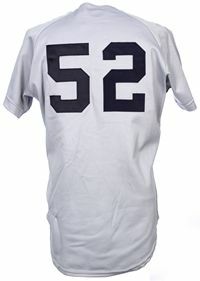 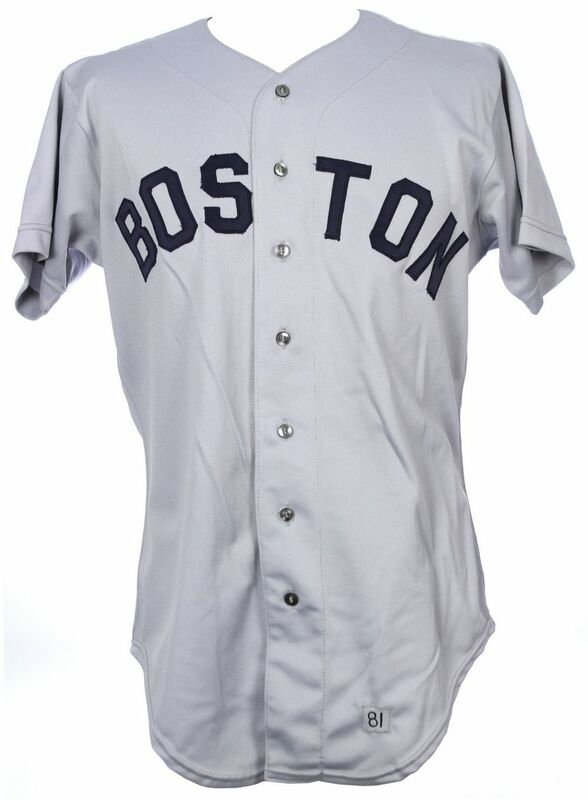 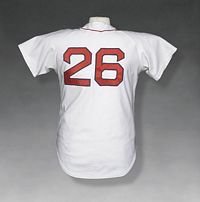 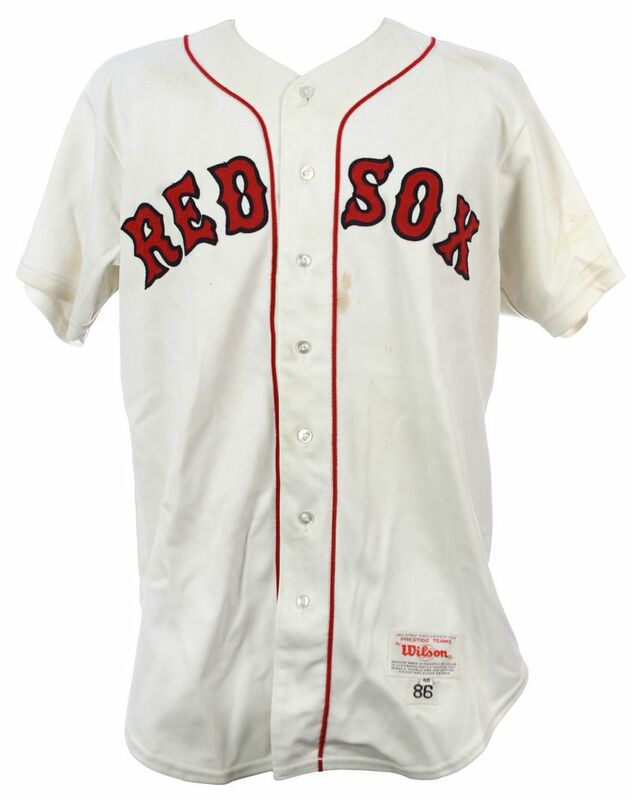 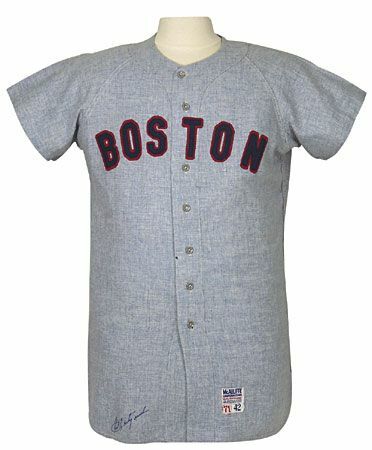 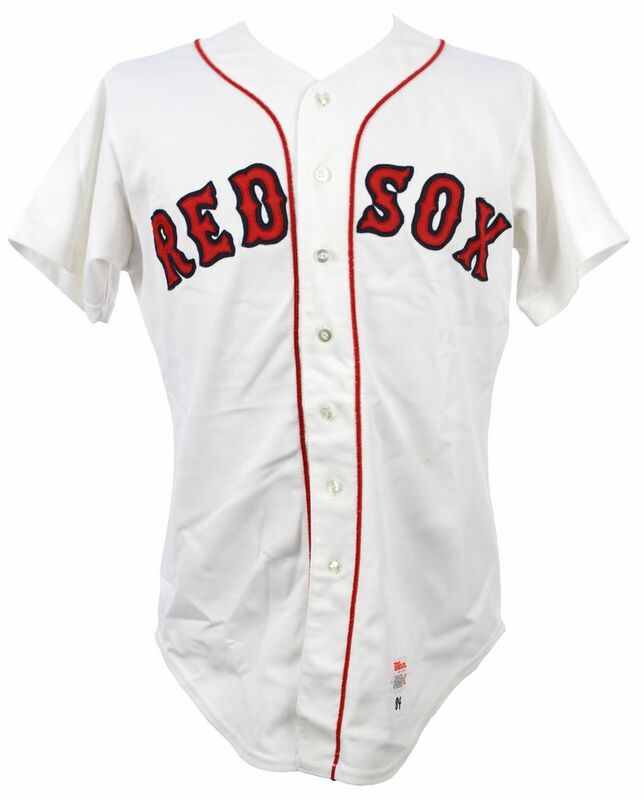 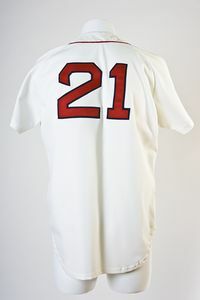 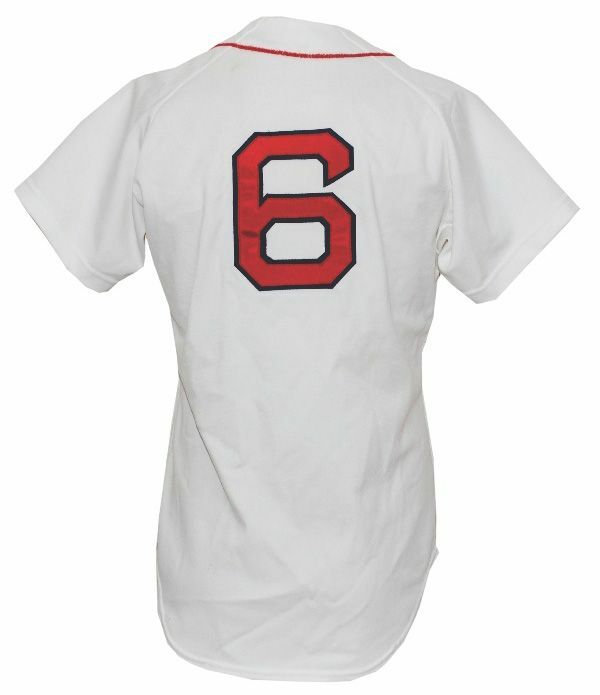 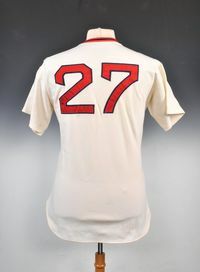 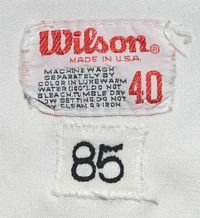 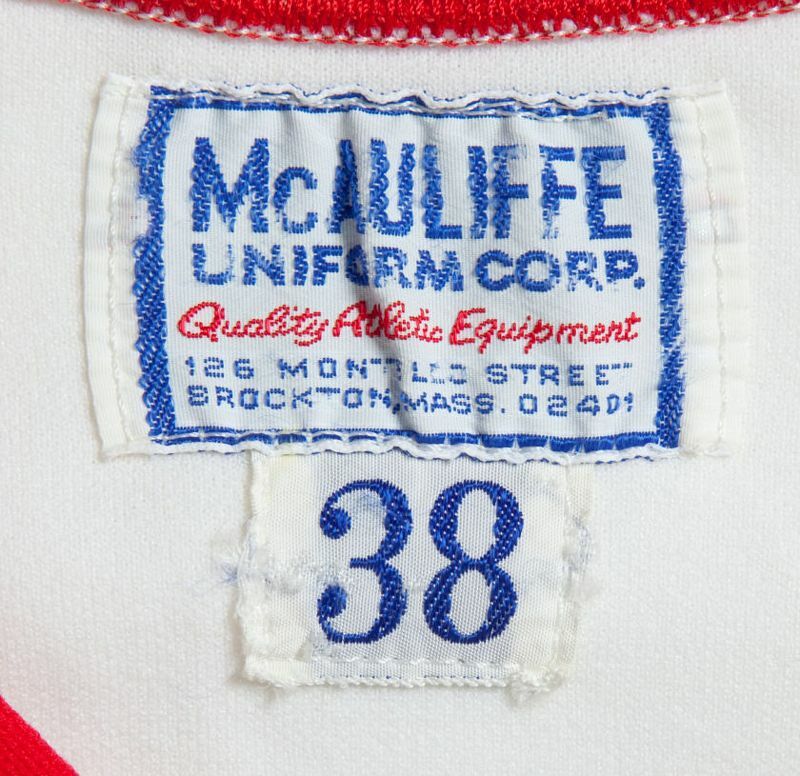 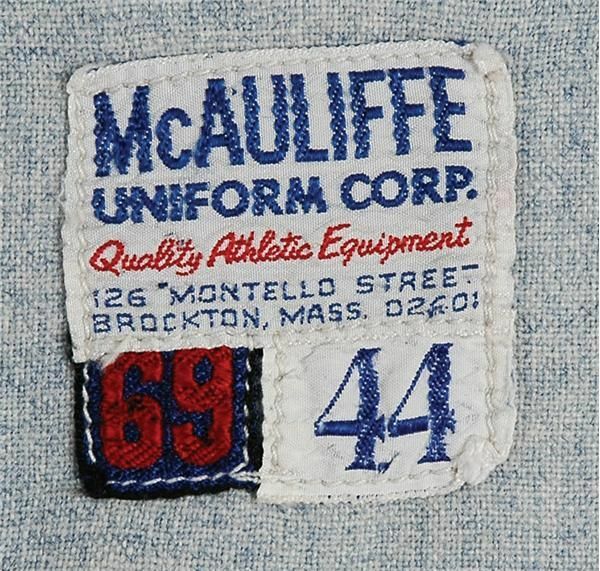 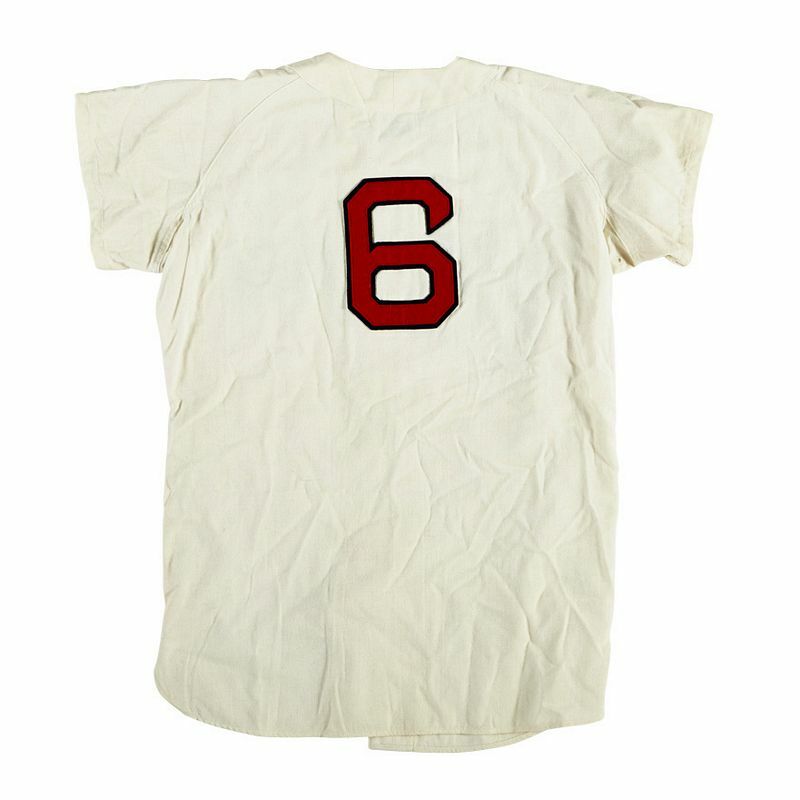 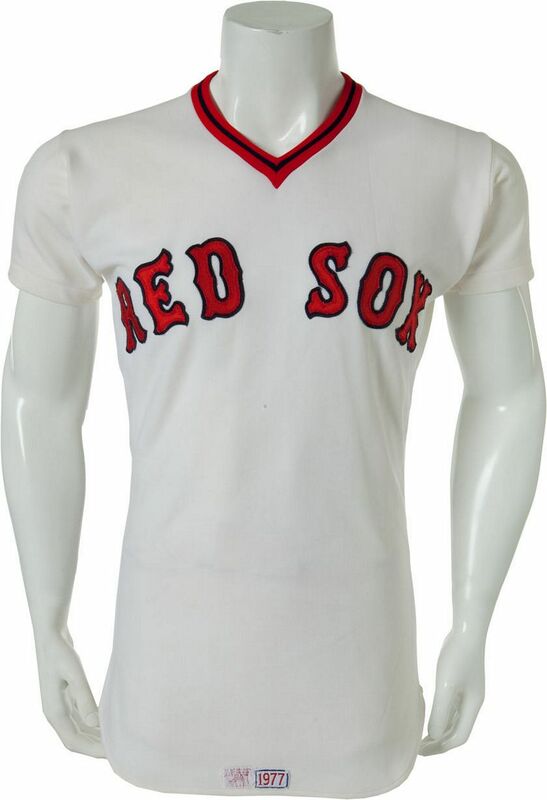 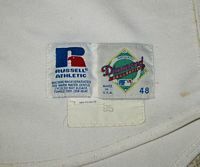 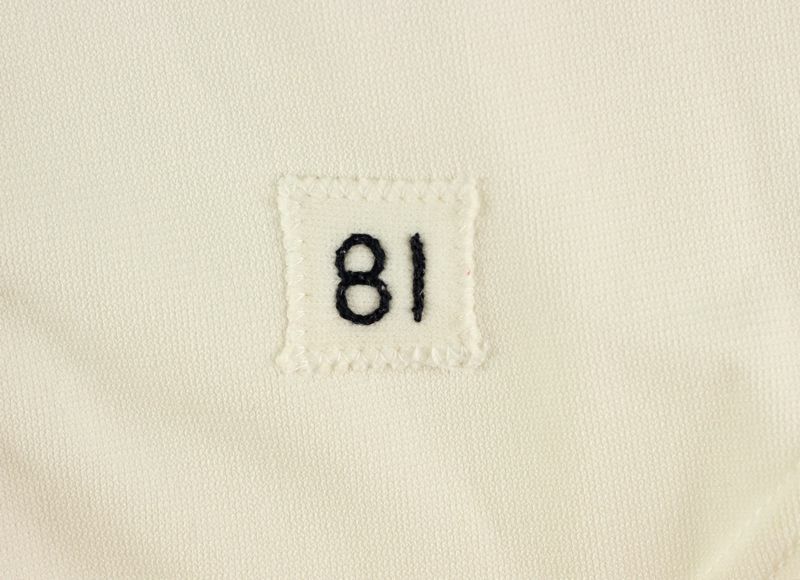 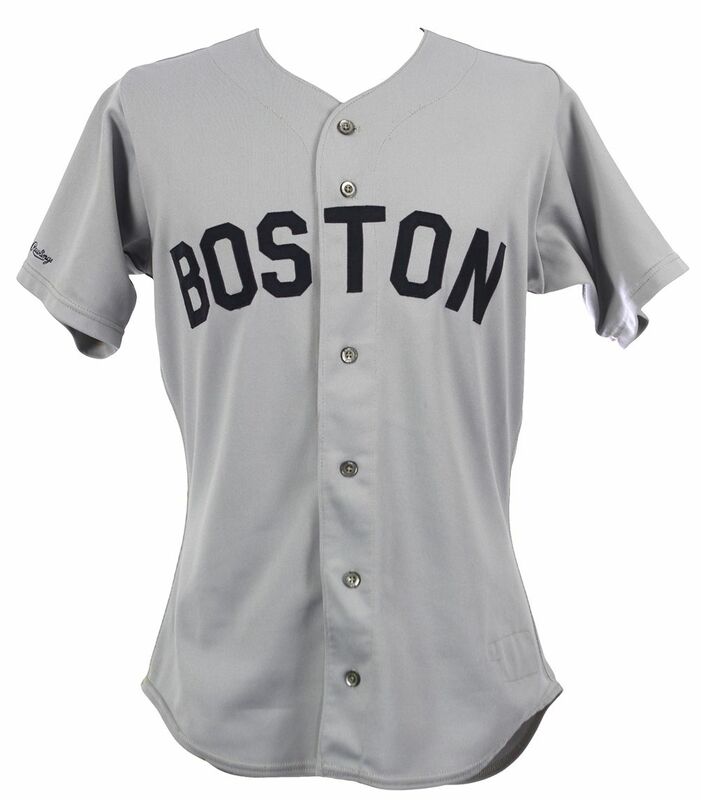 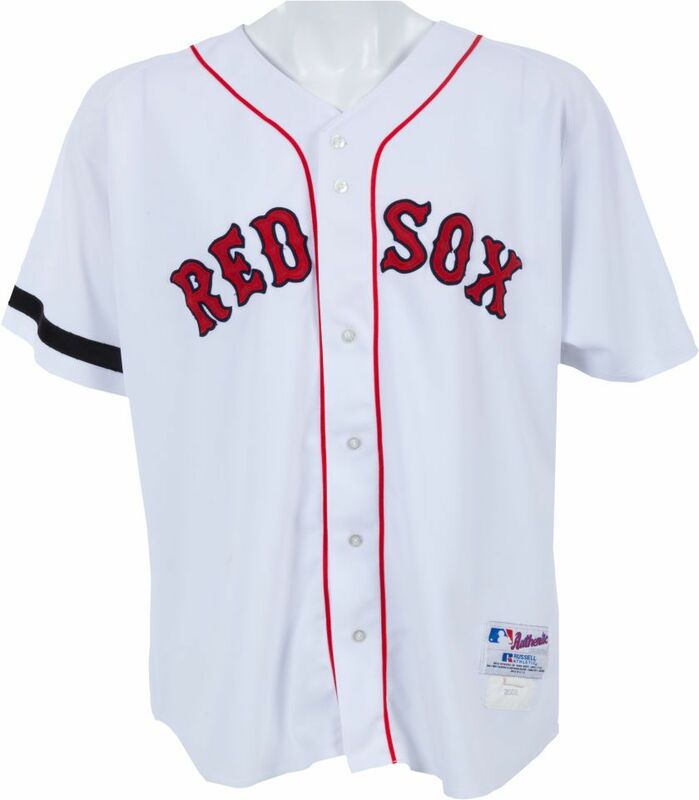 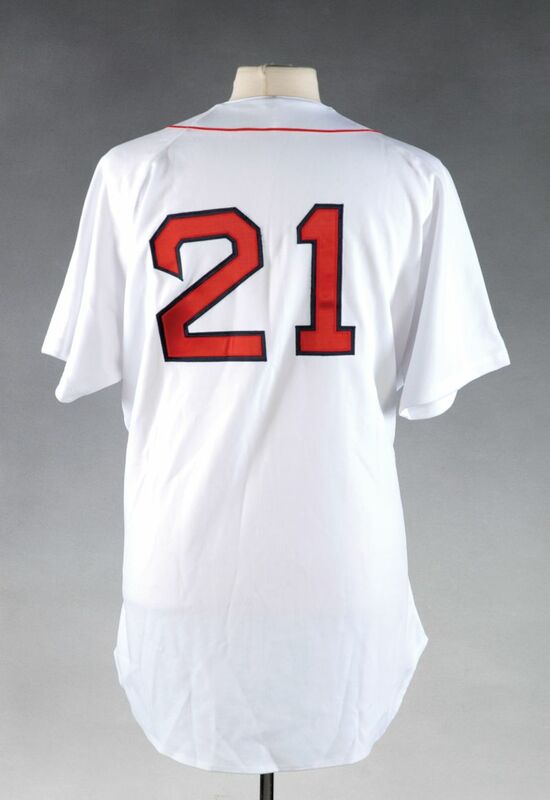 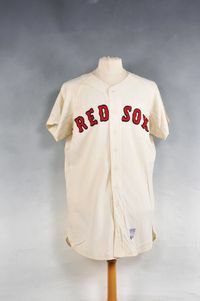 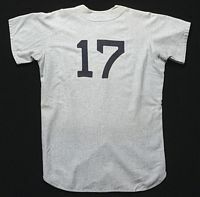 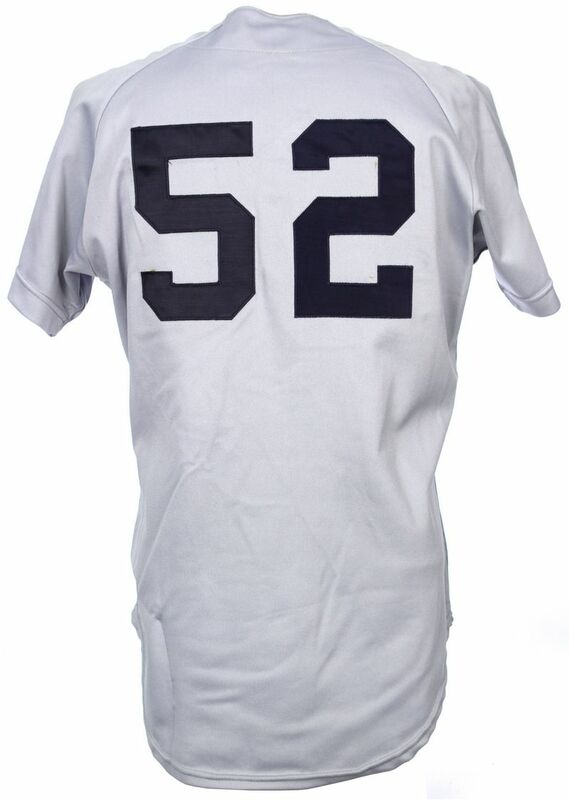 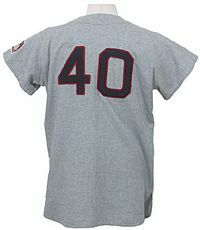 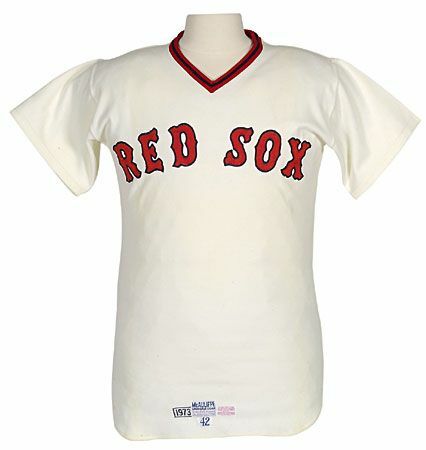 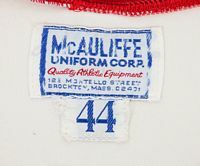 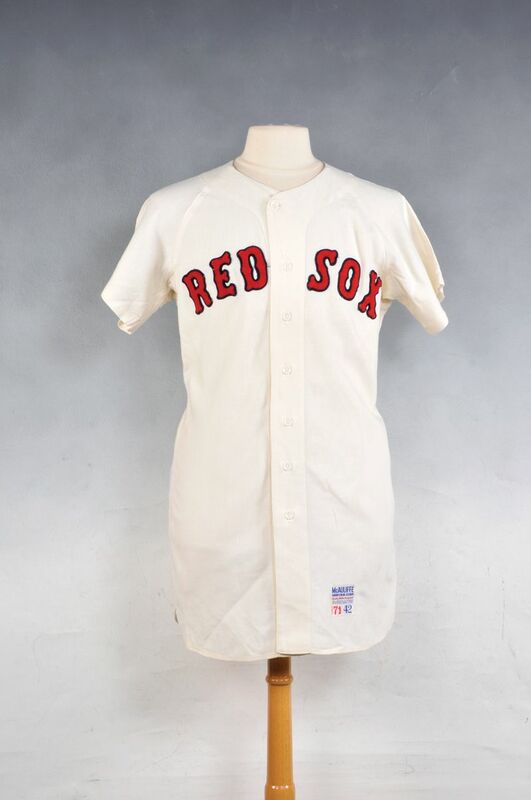 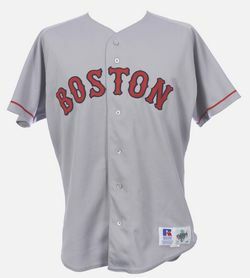 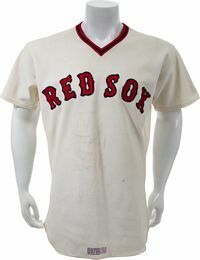 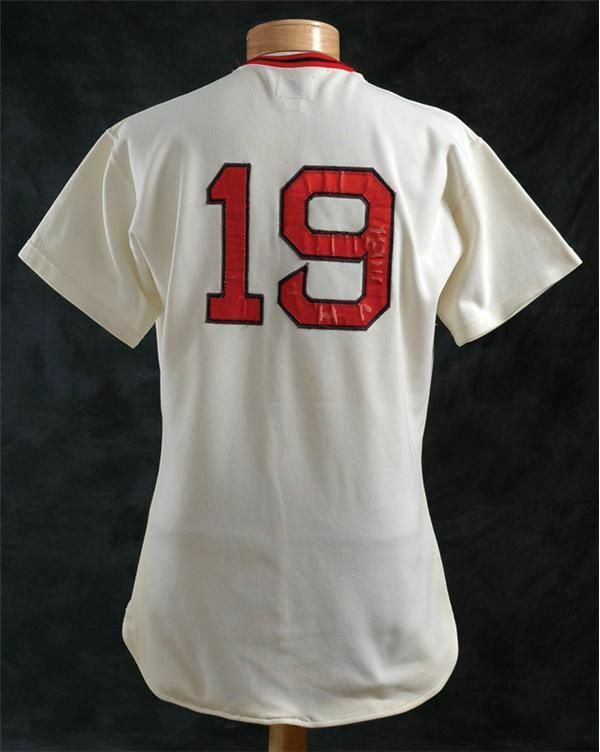 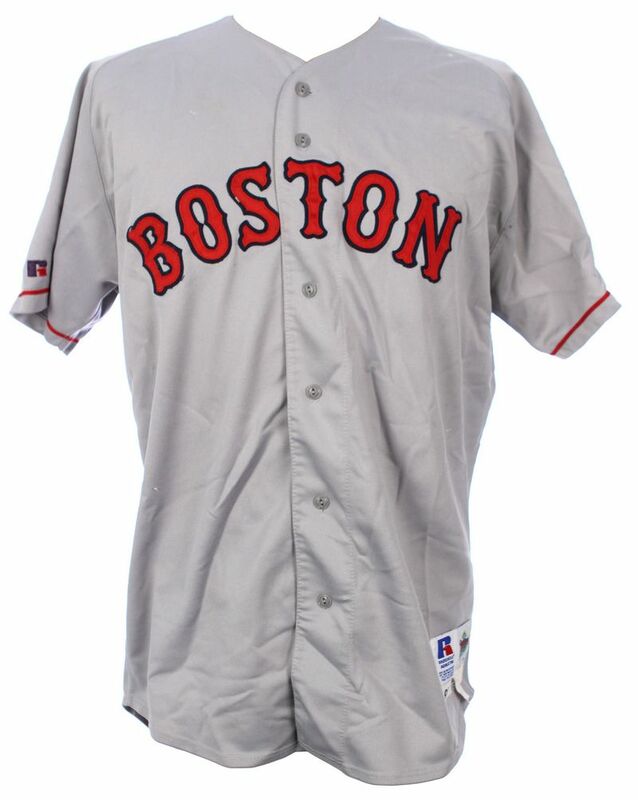 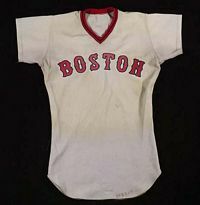 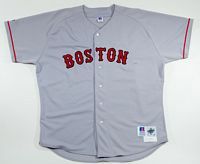 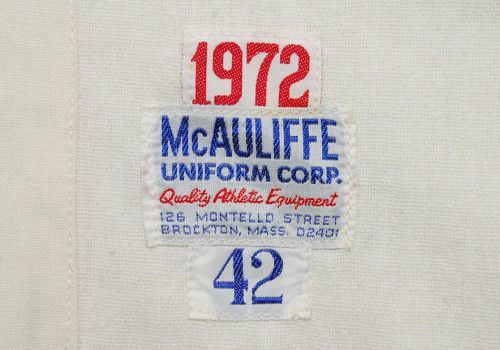 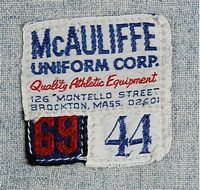 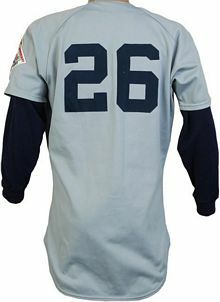 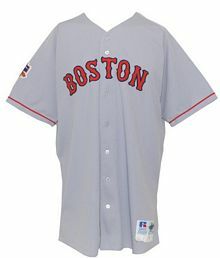 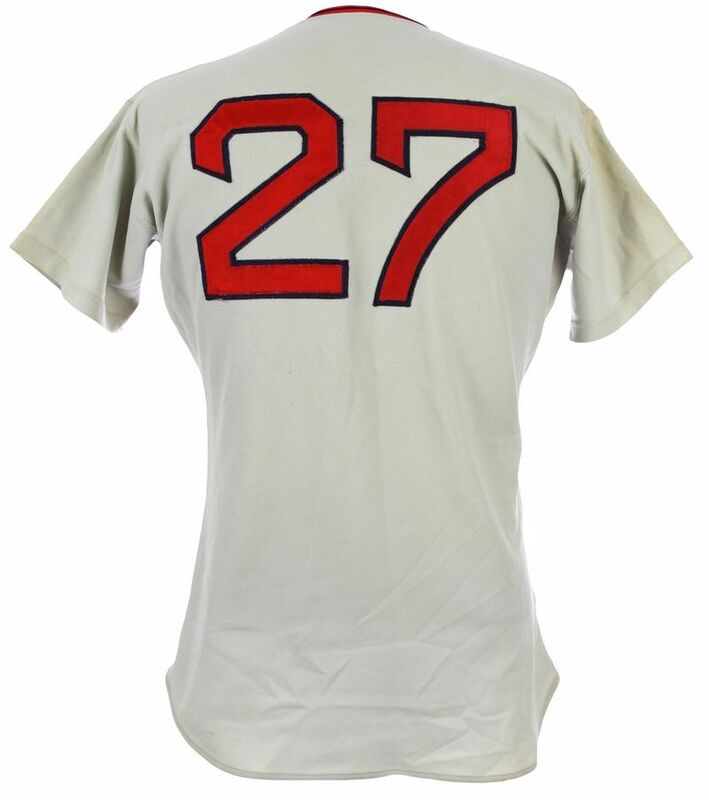 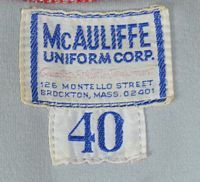 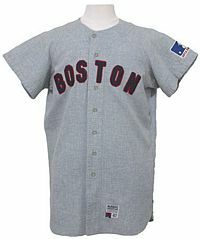 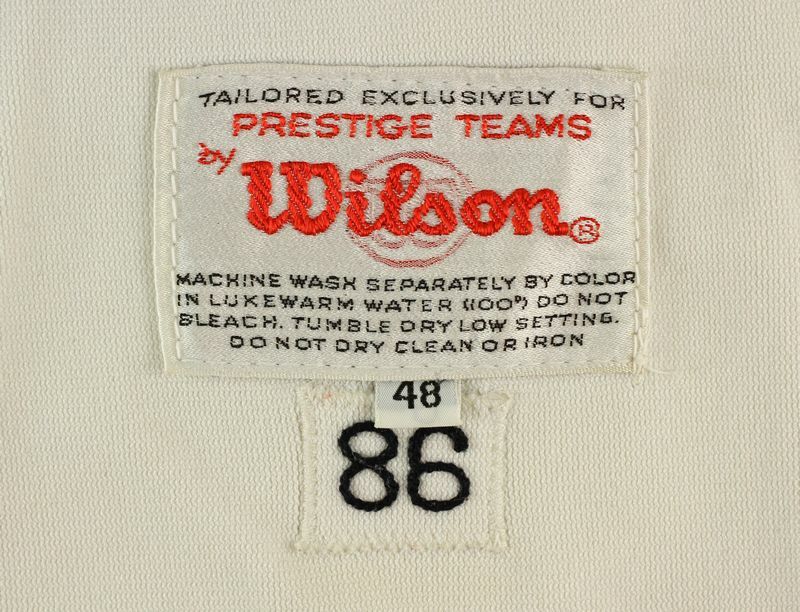 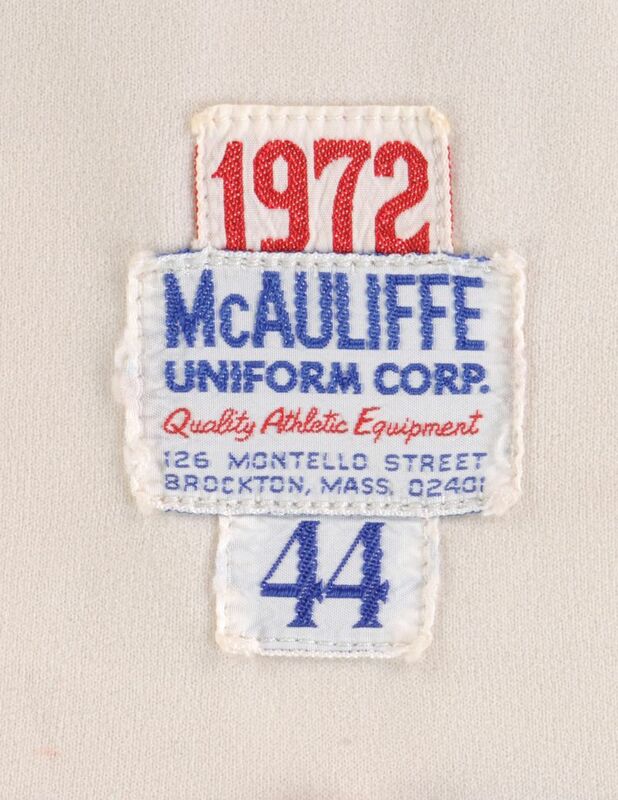 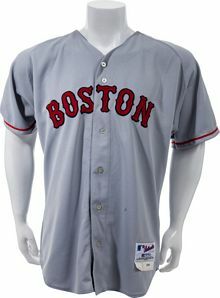 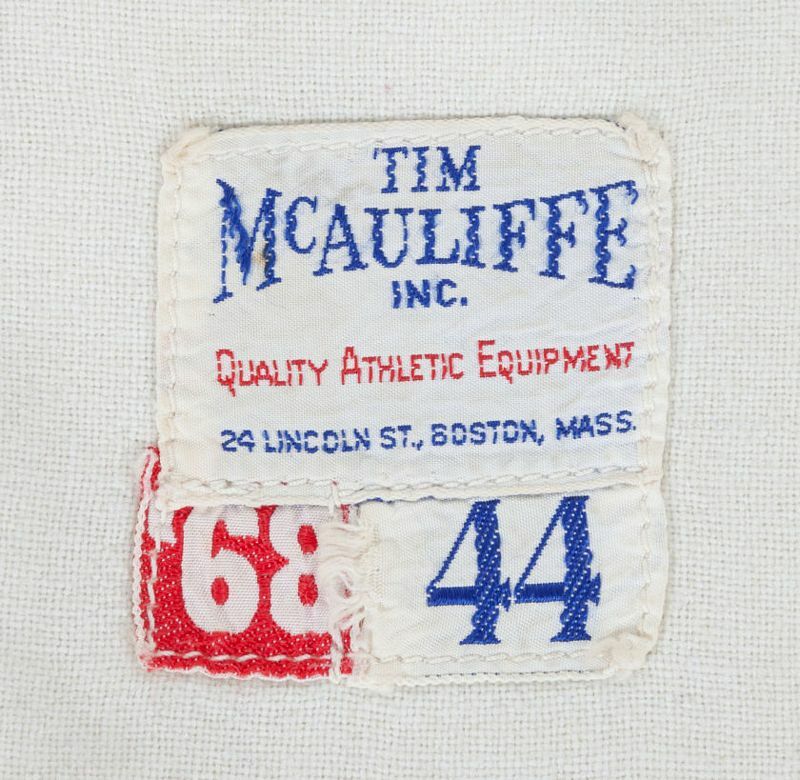 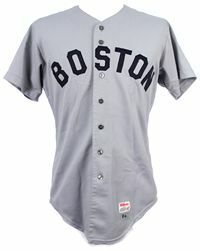 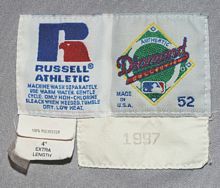 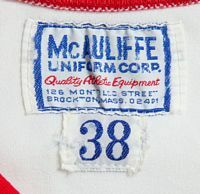 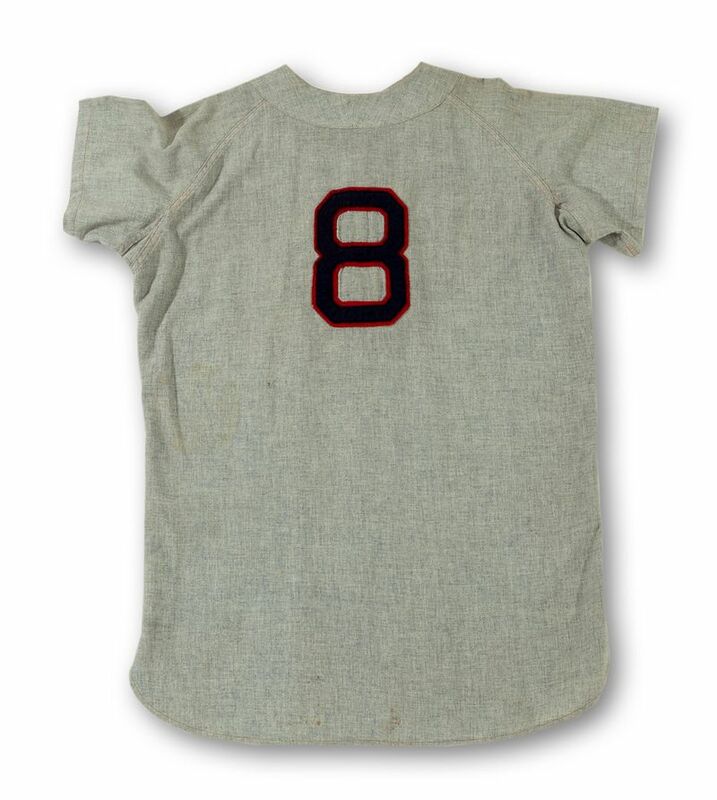 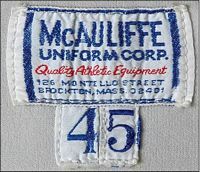 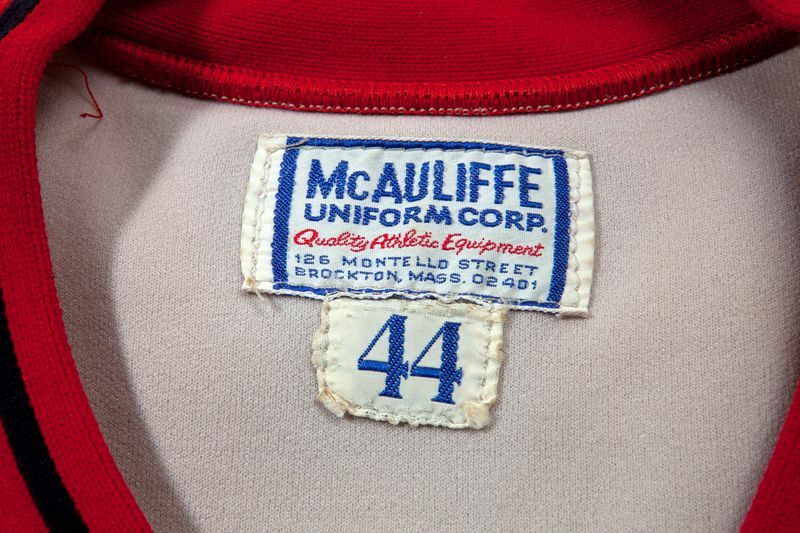 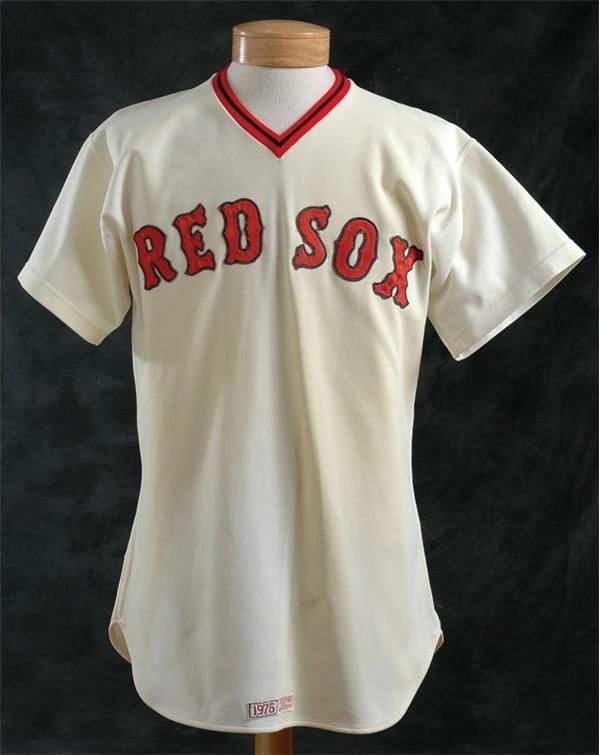 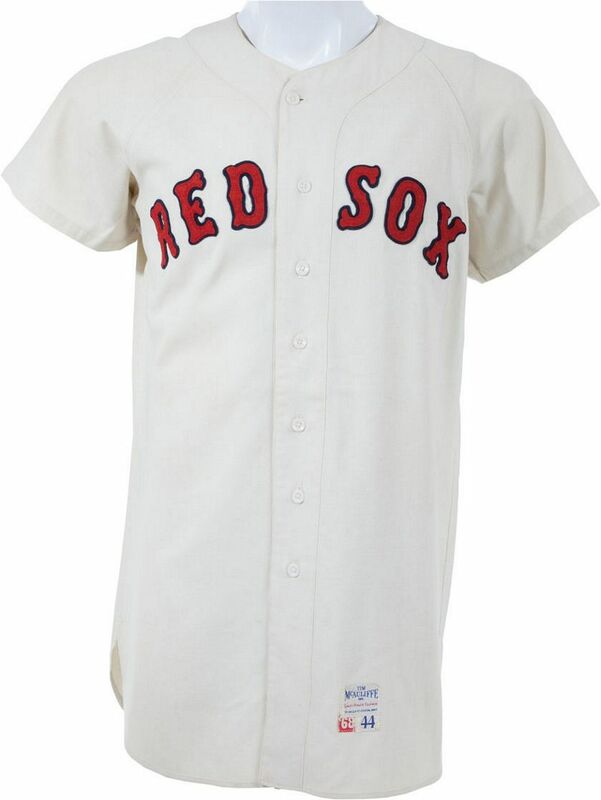 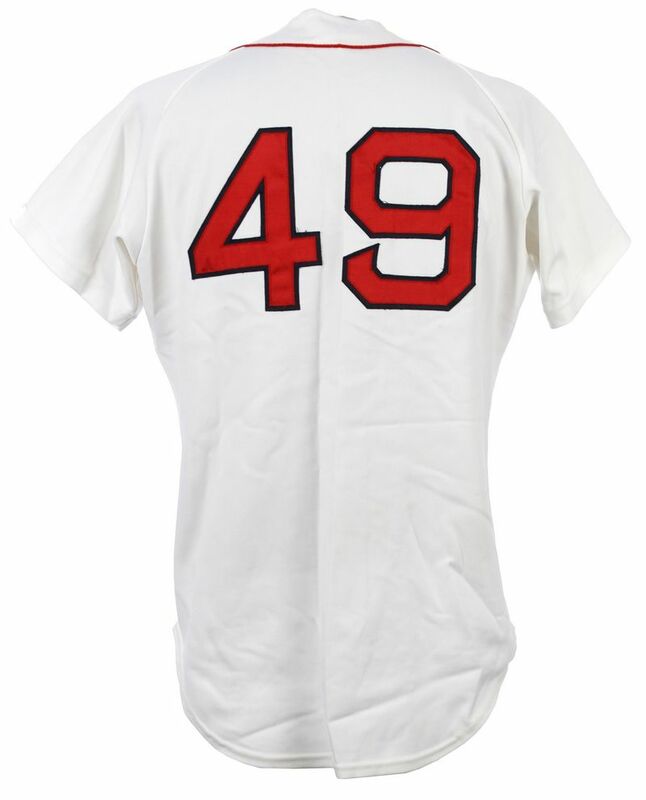 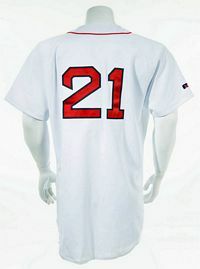 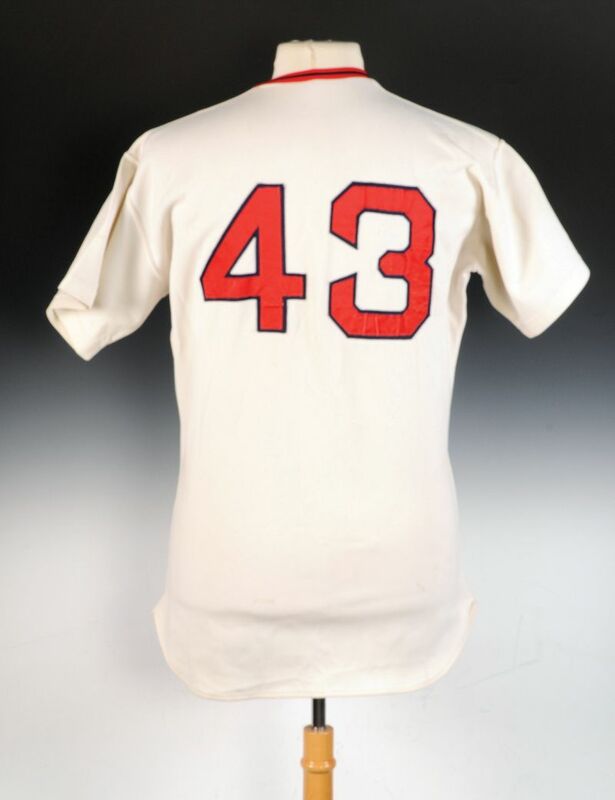 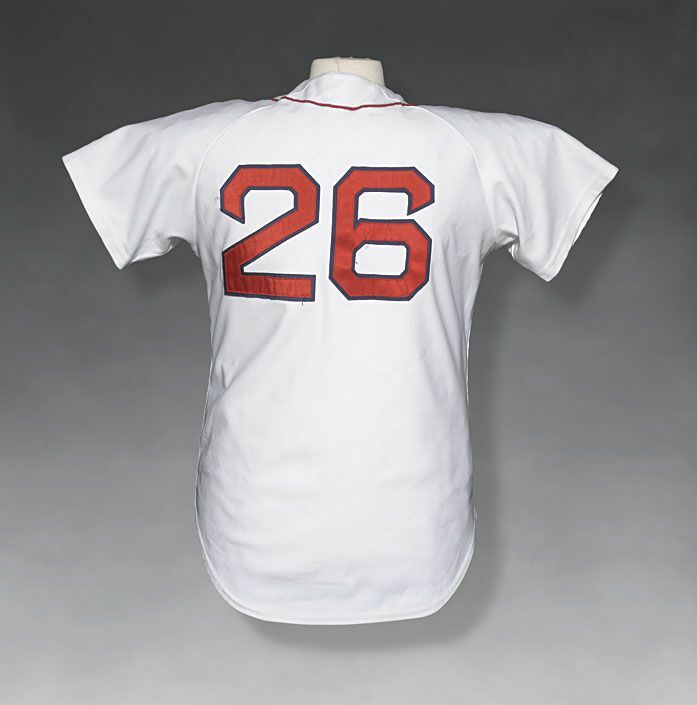 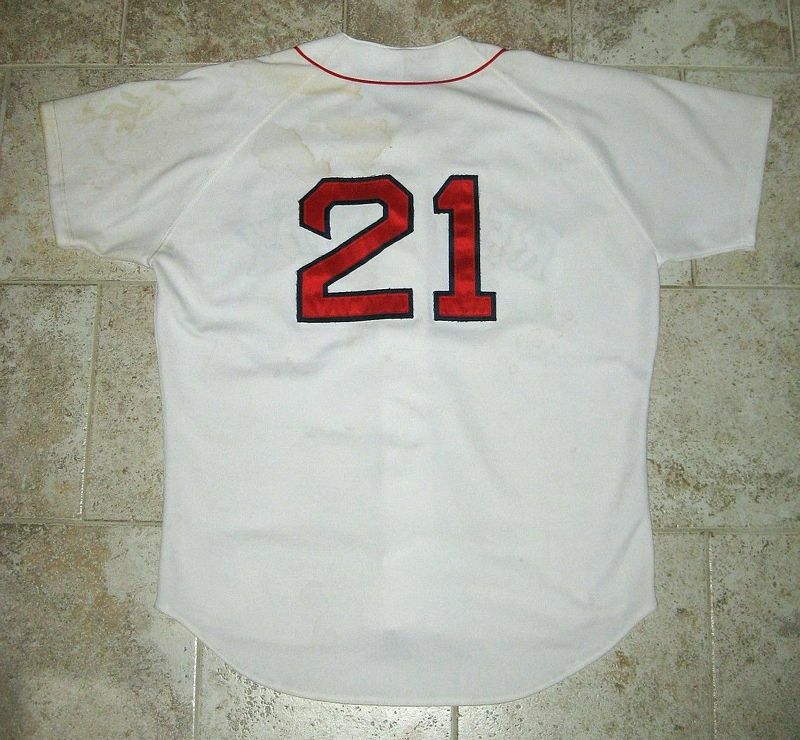 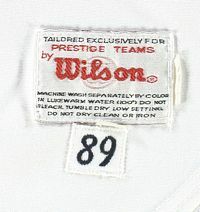 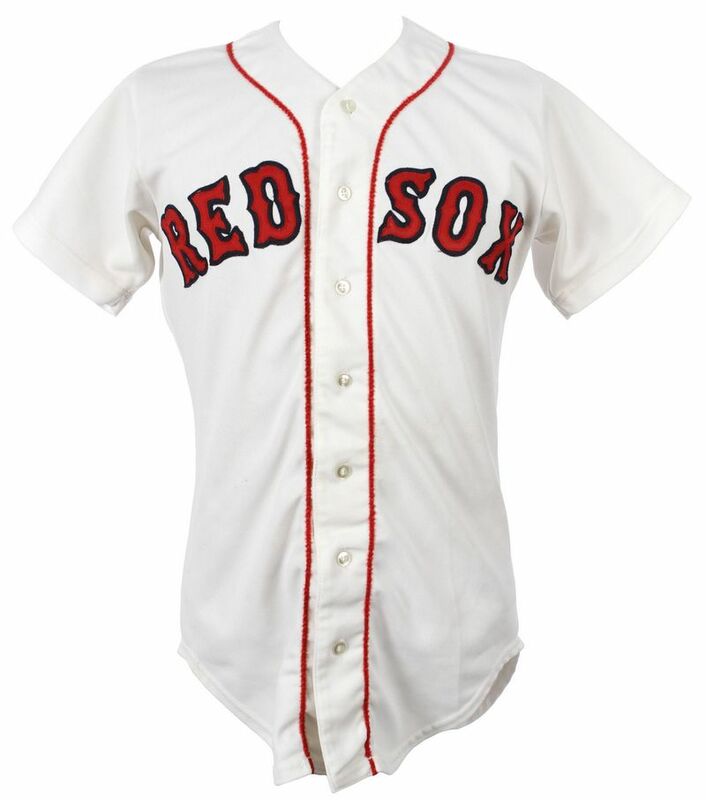 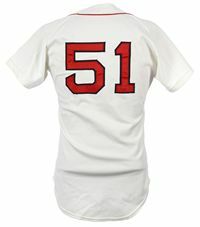 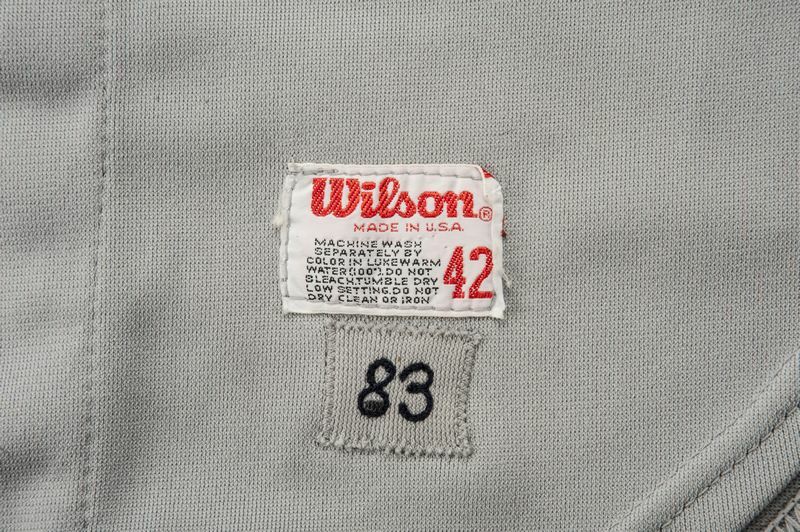 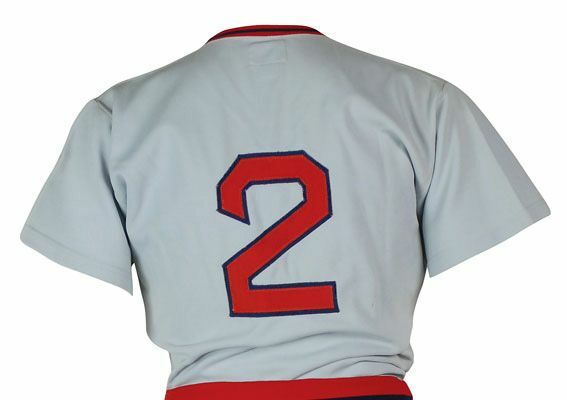 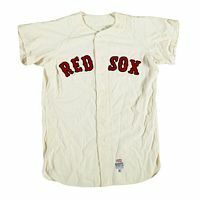 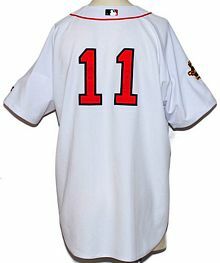 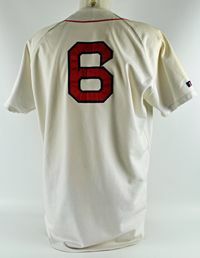 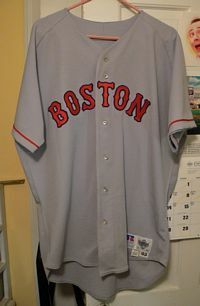 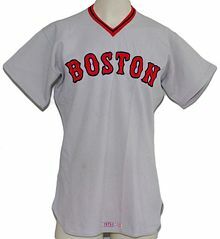 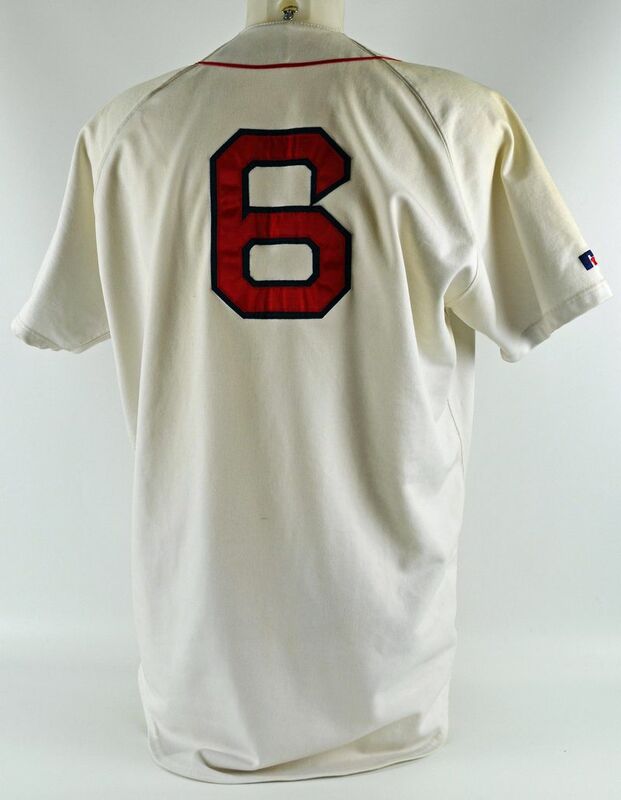 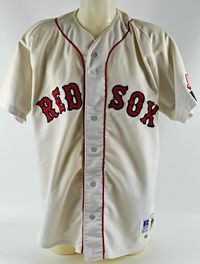 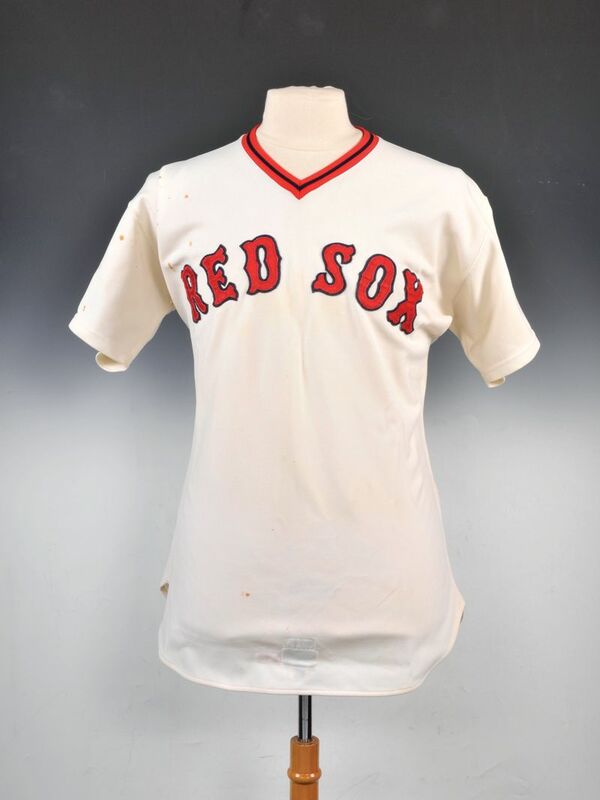 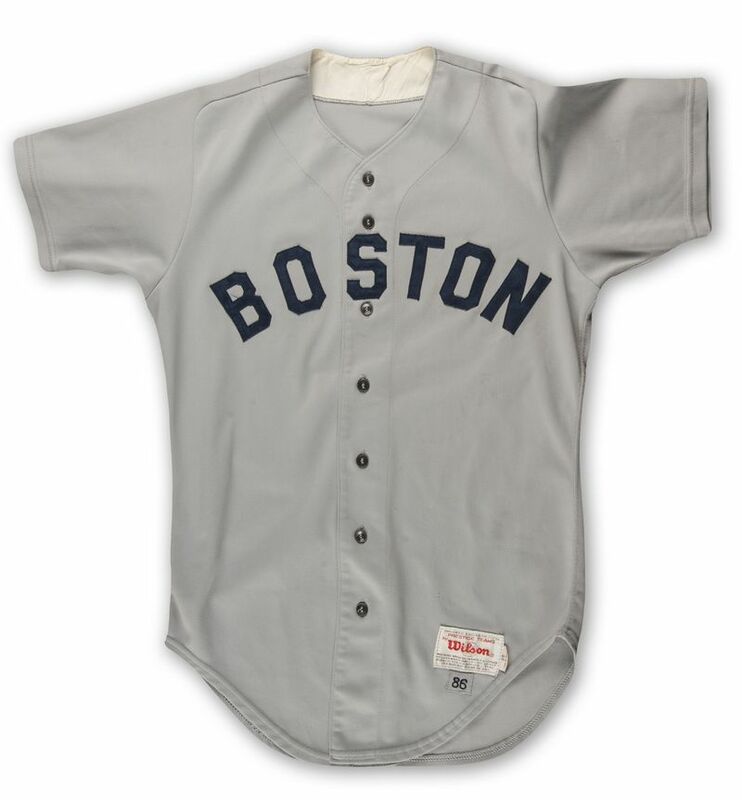 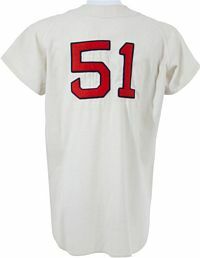 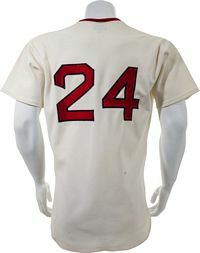 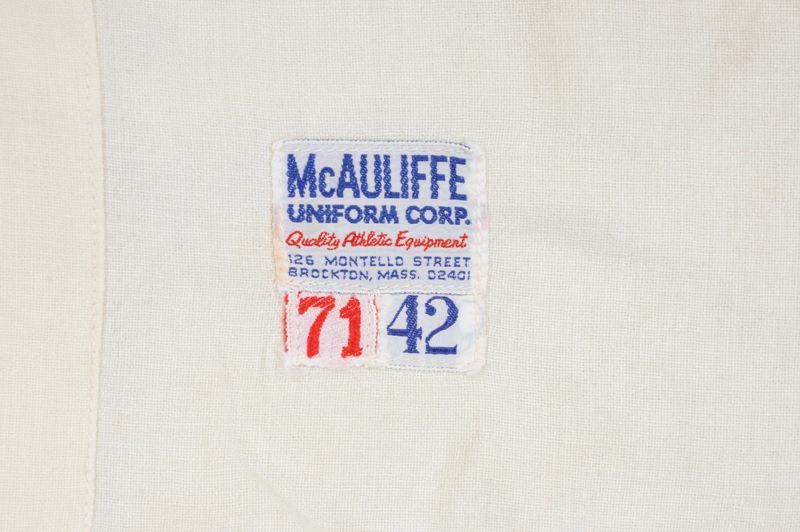 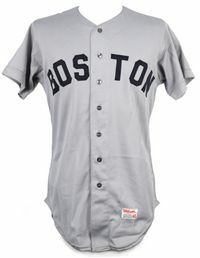 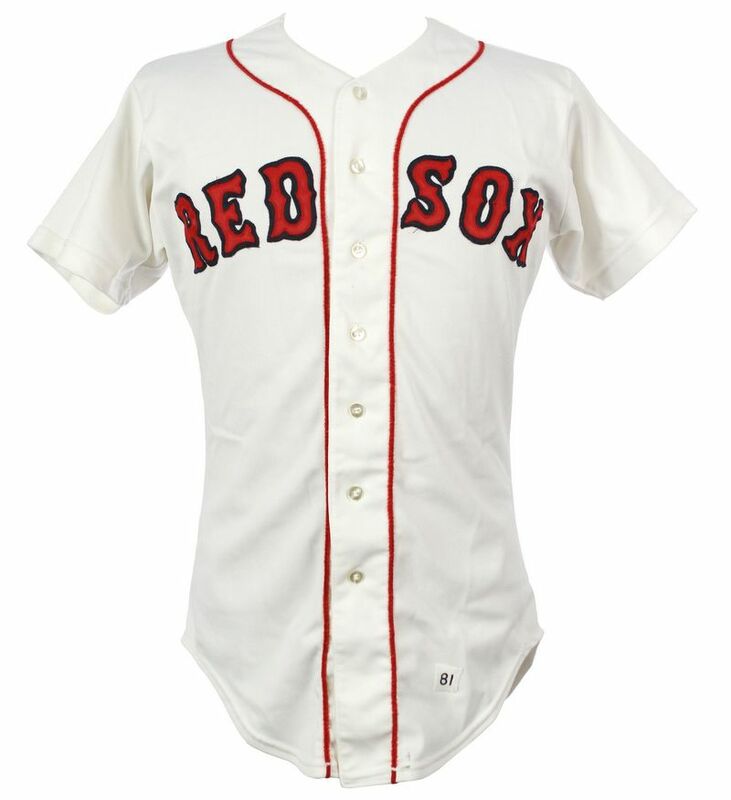 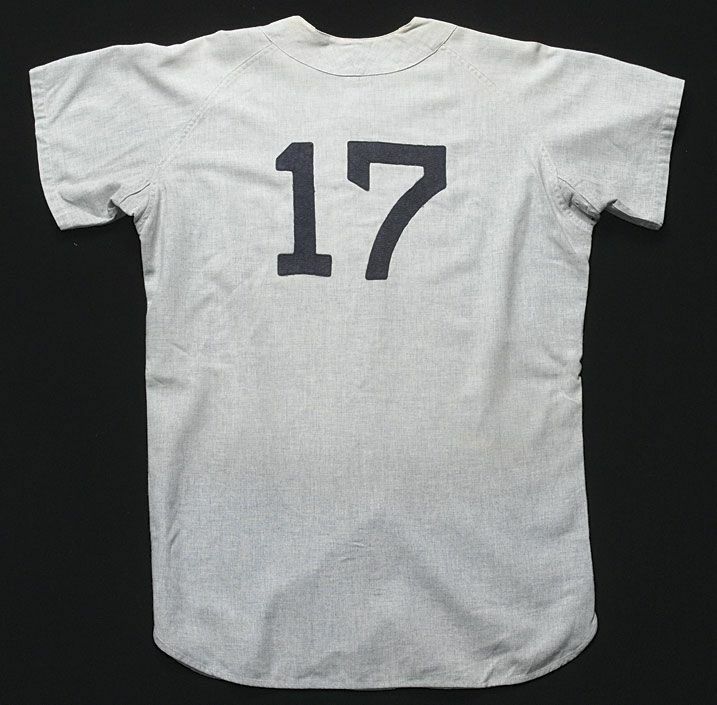 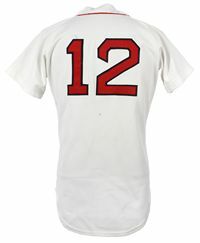 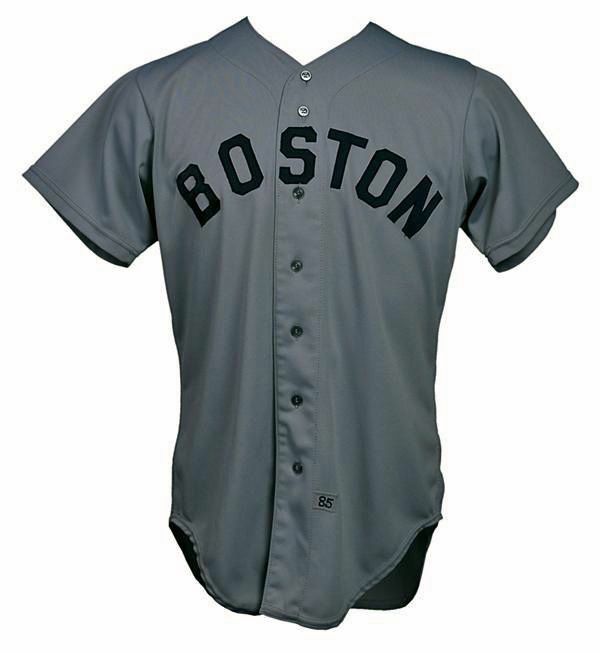 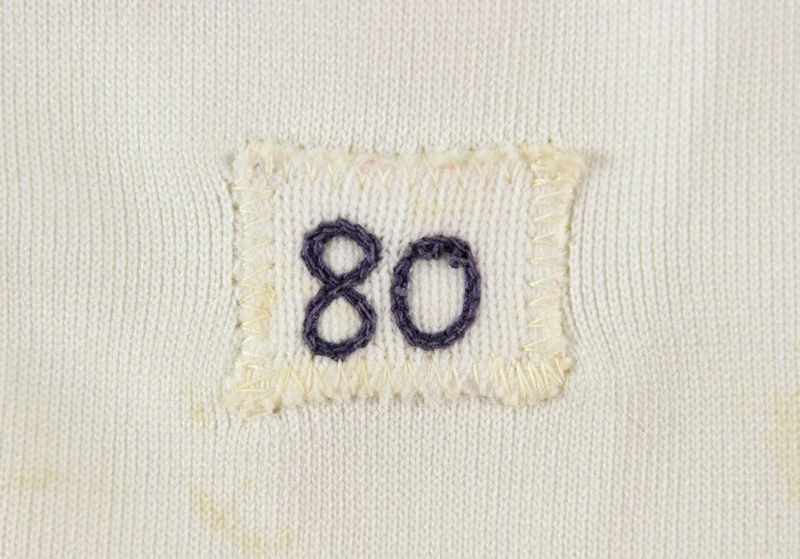 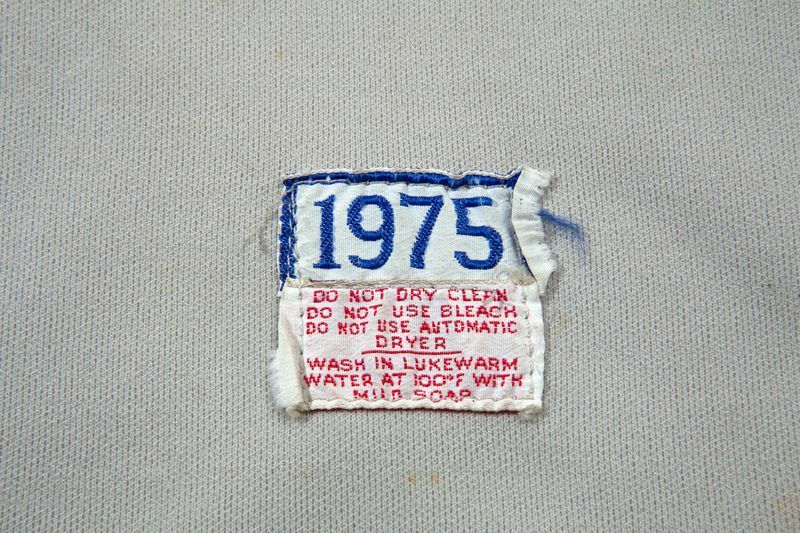 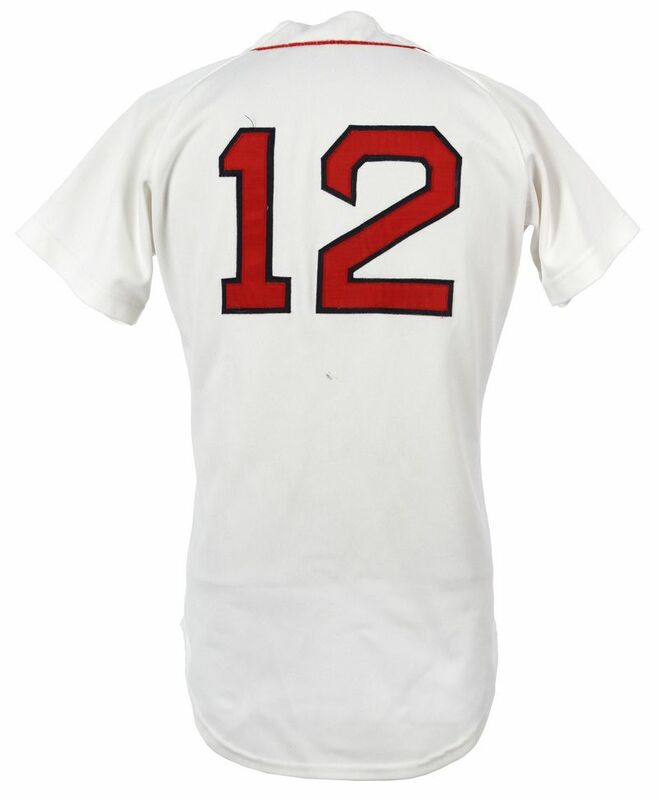 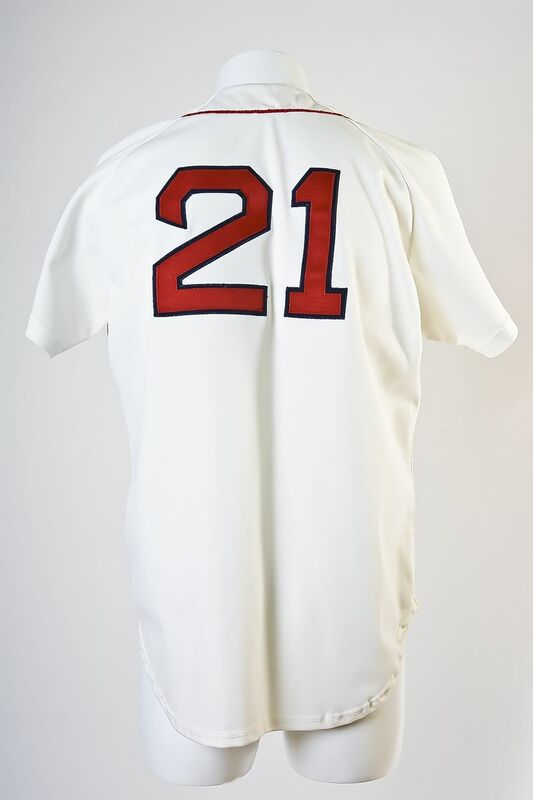 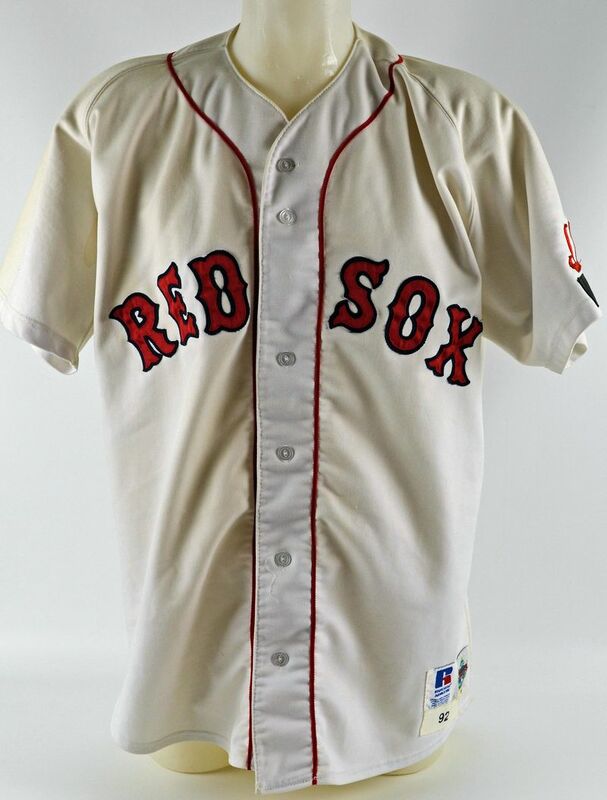 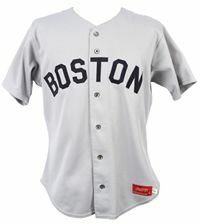 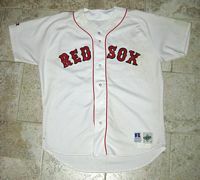 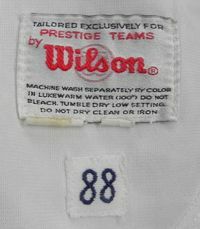 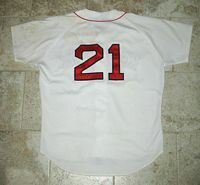 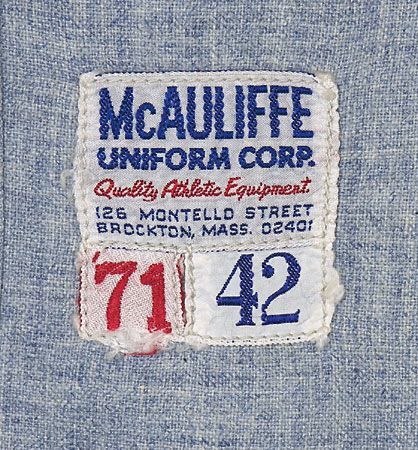 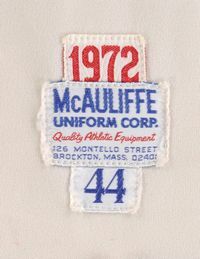 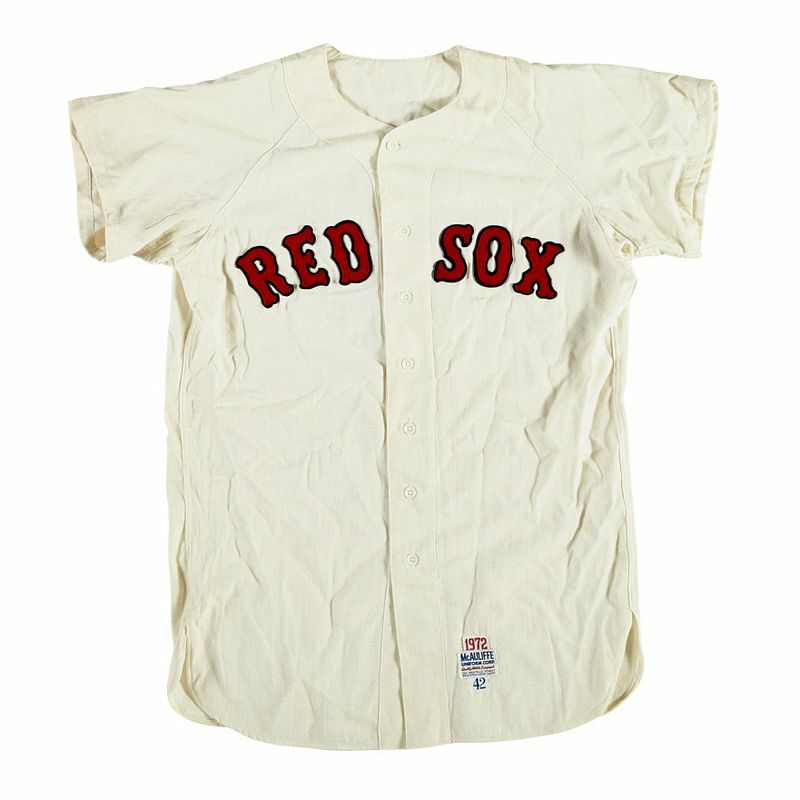 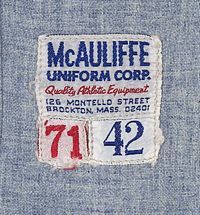 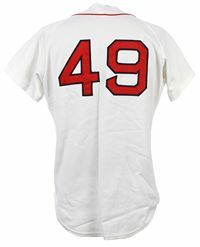 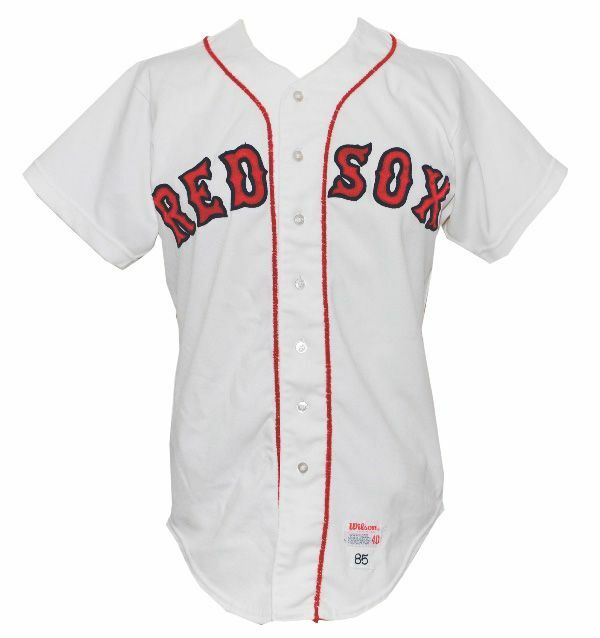 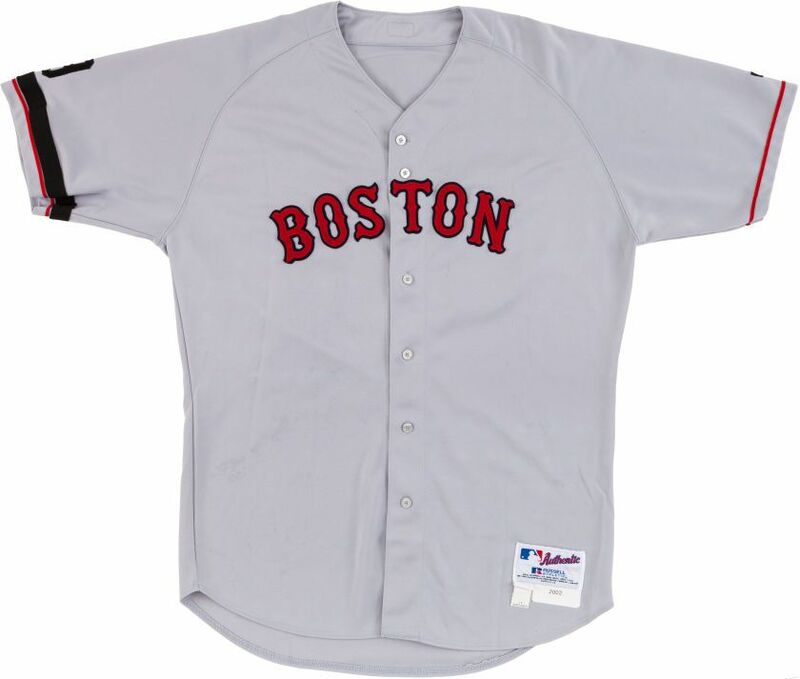 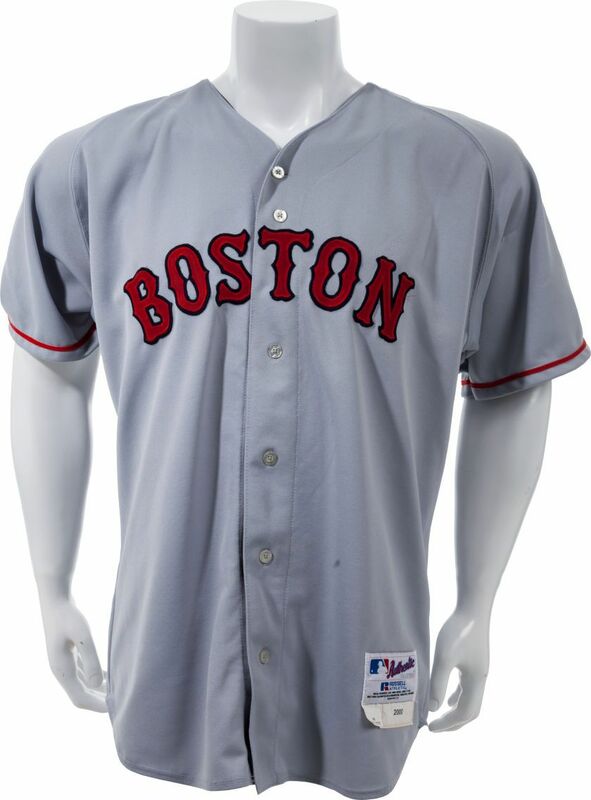 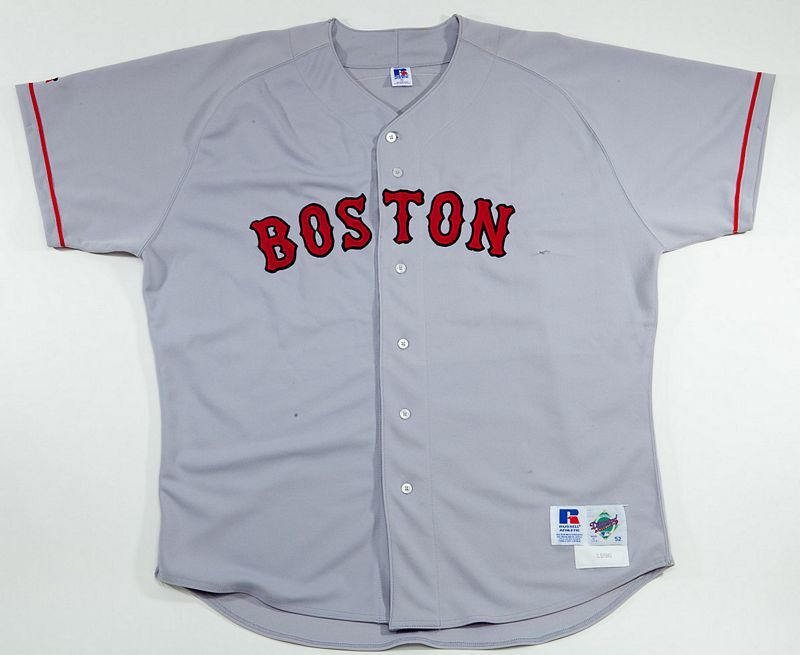 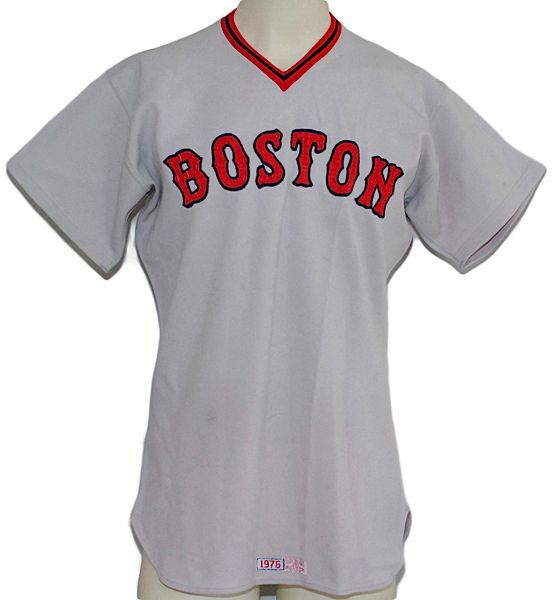 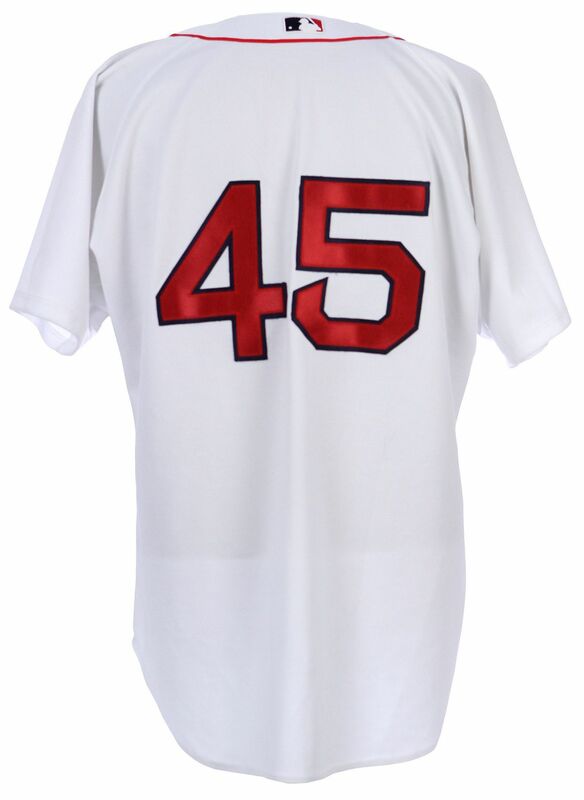 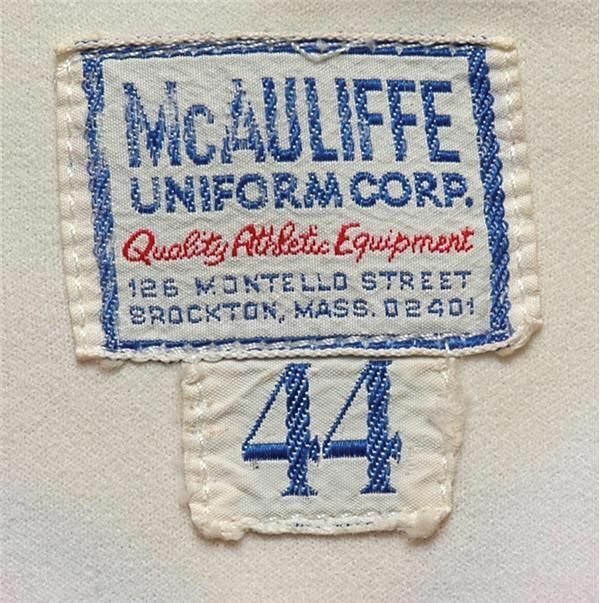 A Massachusetts Bicentennial patch is worn on home and road jerseys in the 1975 regular seaon, but not the playoffs. 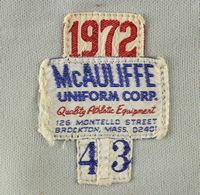 A red cap replaces both the navy and alternate caps in 1975. 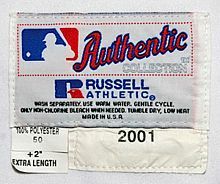 Roman Pro caps with a thinner "B" are used after KM Pro closes. 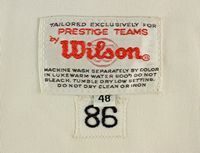 Pullovers are dropped in favor of the team's traditional look. 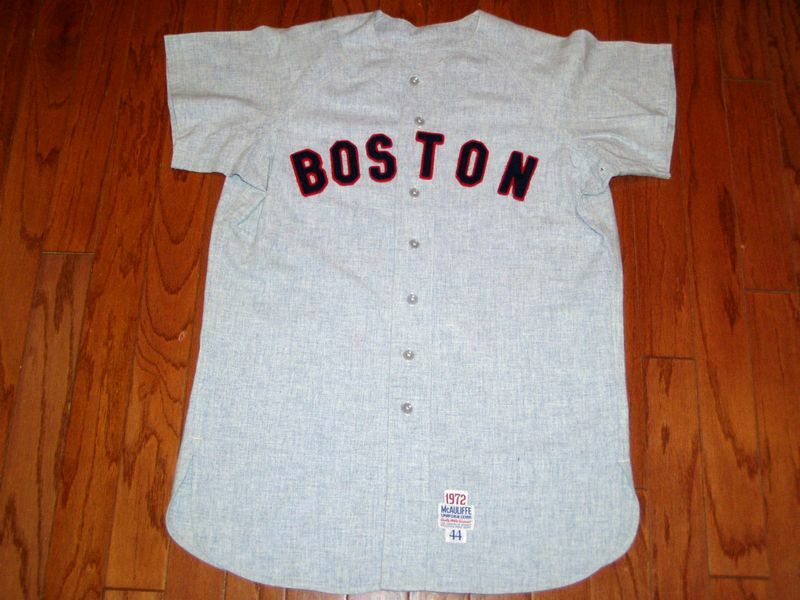 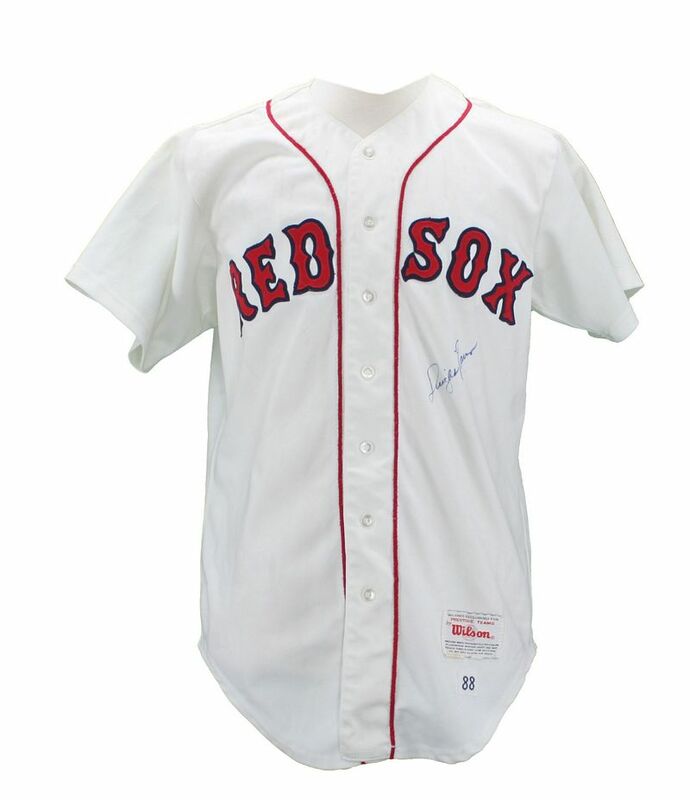 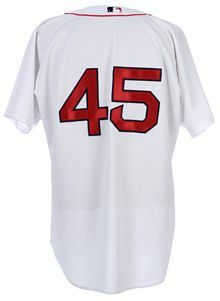 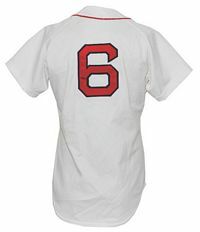 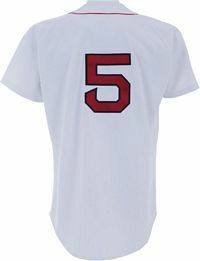 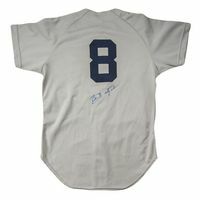 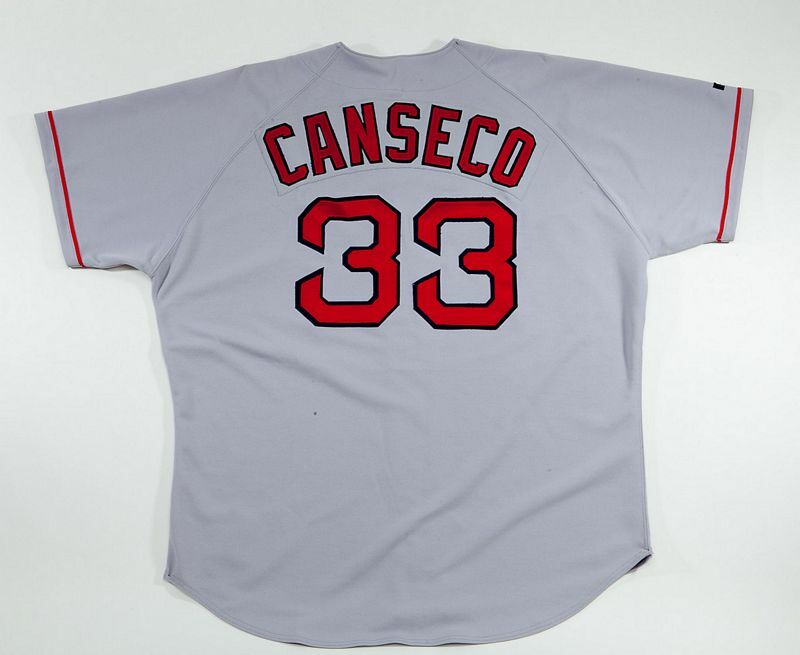 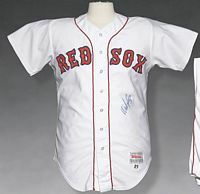 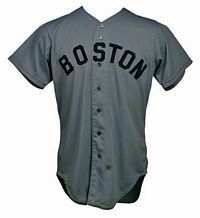 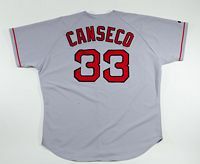 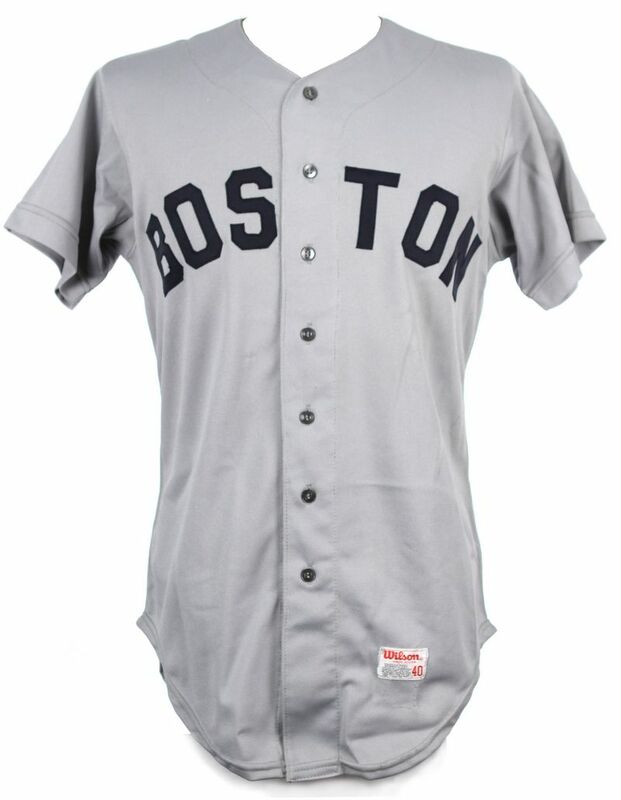 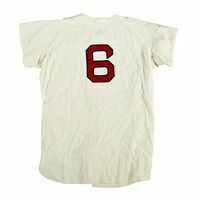 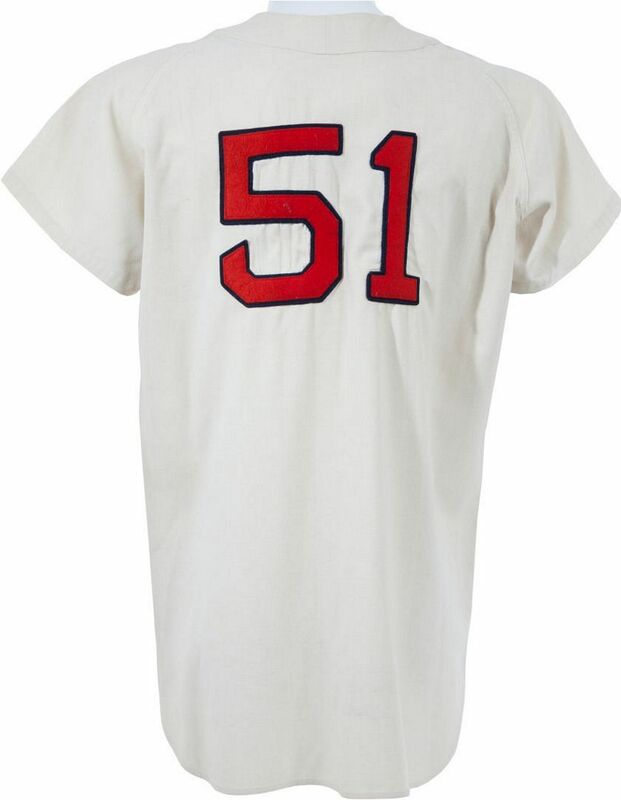 On road jerseys there's a large separation between the "BOS" and the "TON". 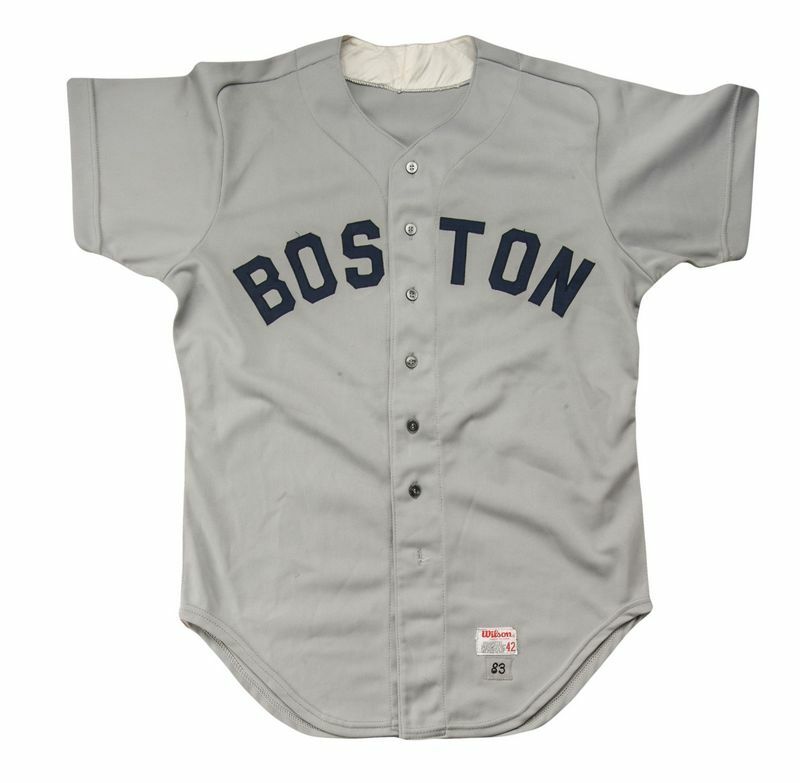 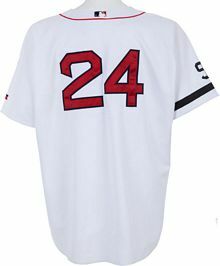 On road jerseys the gap between the "BOS" and the "TON" is closed, but with 2 letters on the right and four on the left it looks really off. 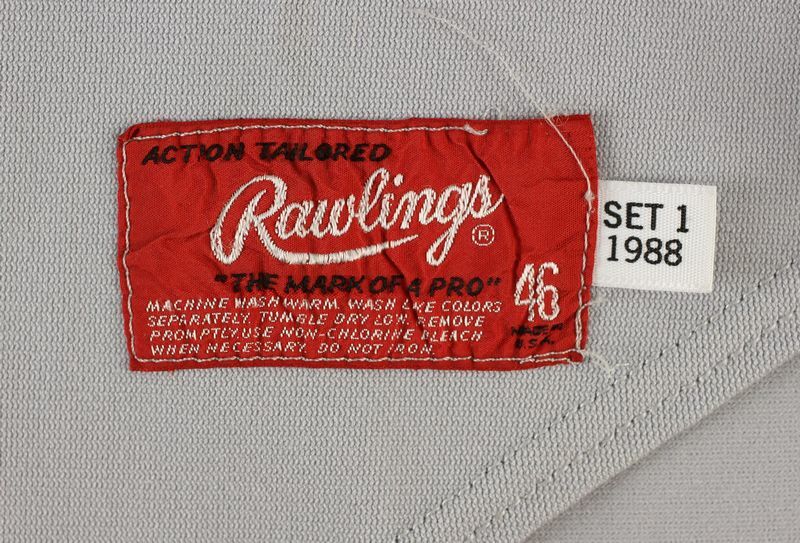 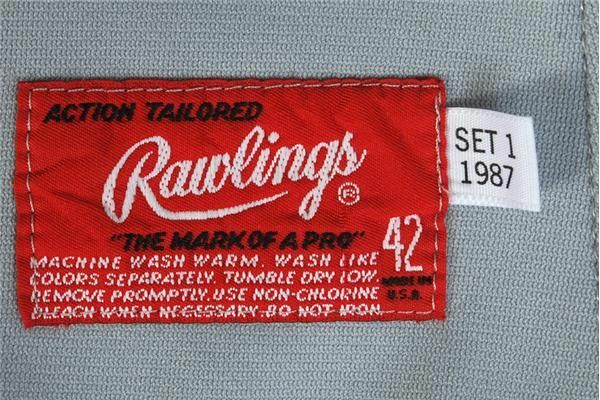 Rawlings now makes the road jersey. 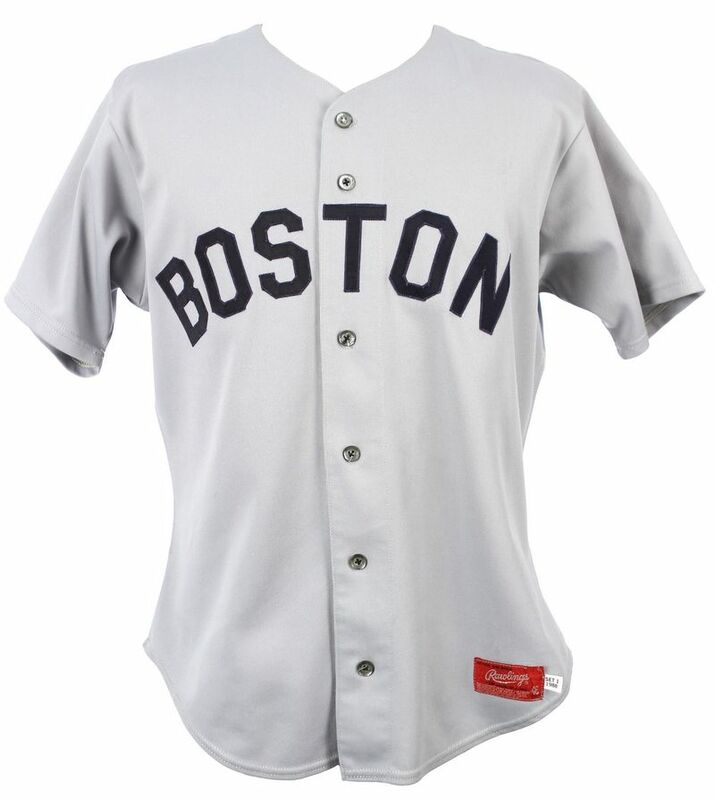 The "S" is moved over to the right making the "BOS" and "TON" look normal again. 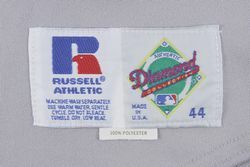 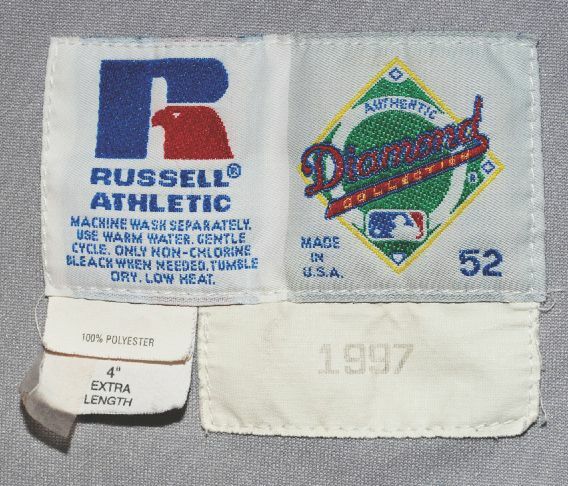 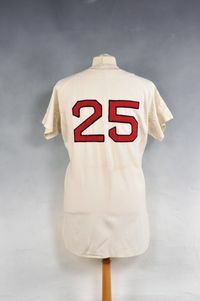 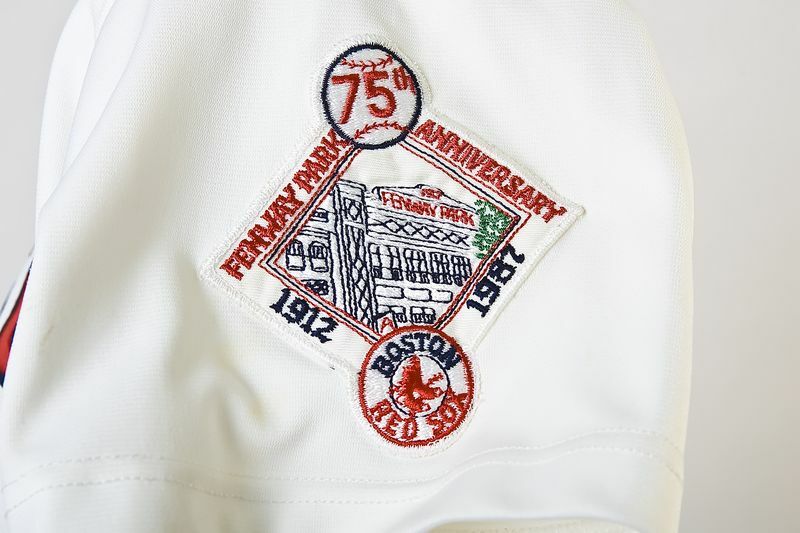 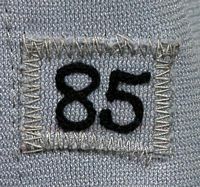 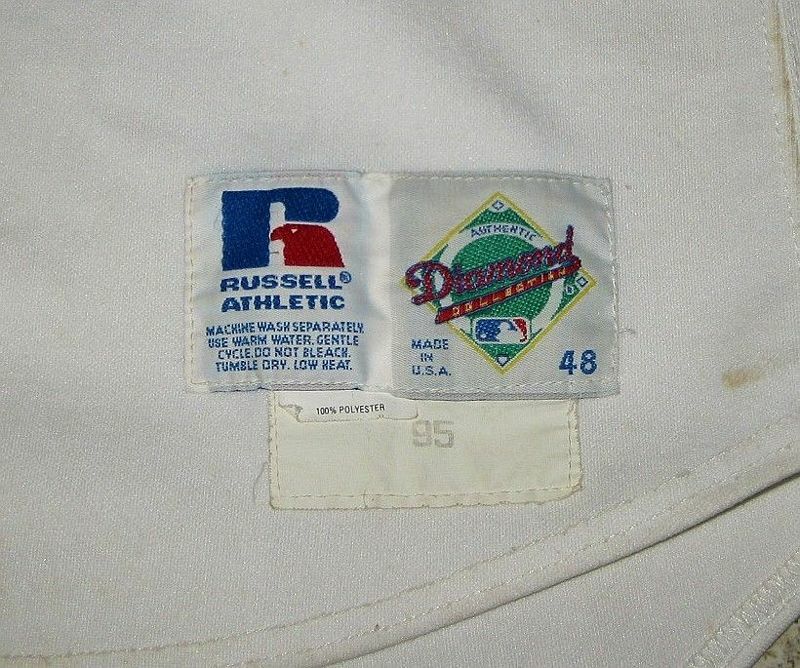 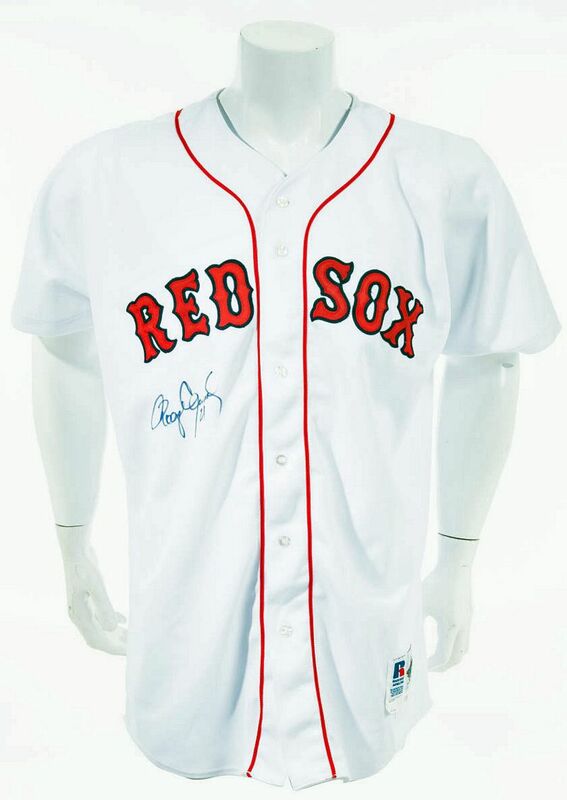 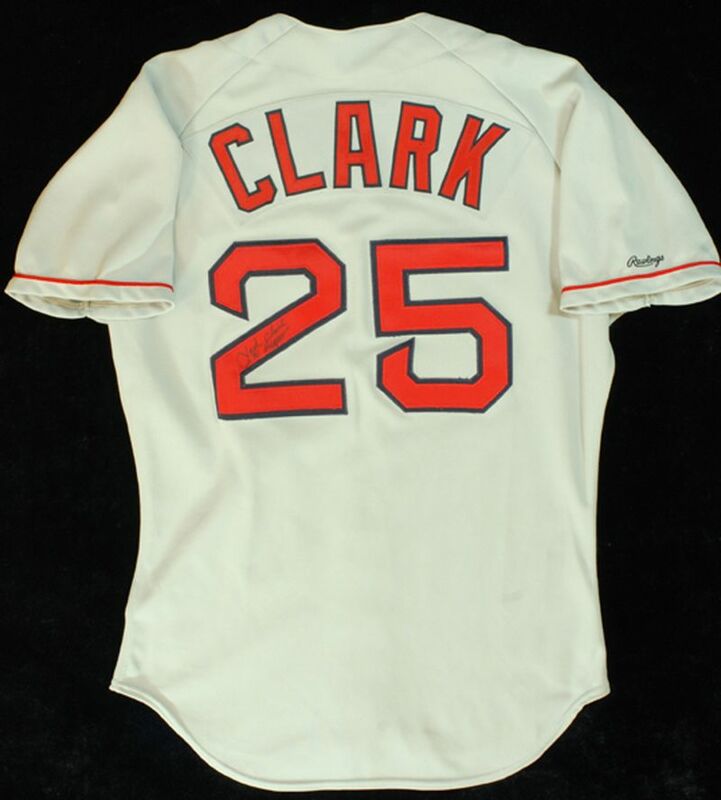 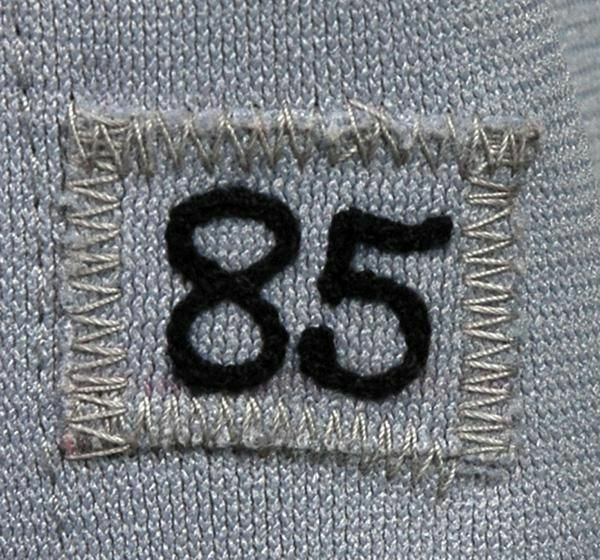 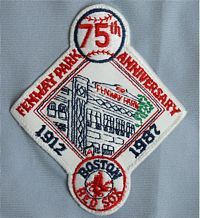 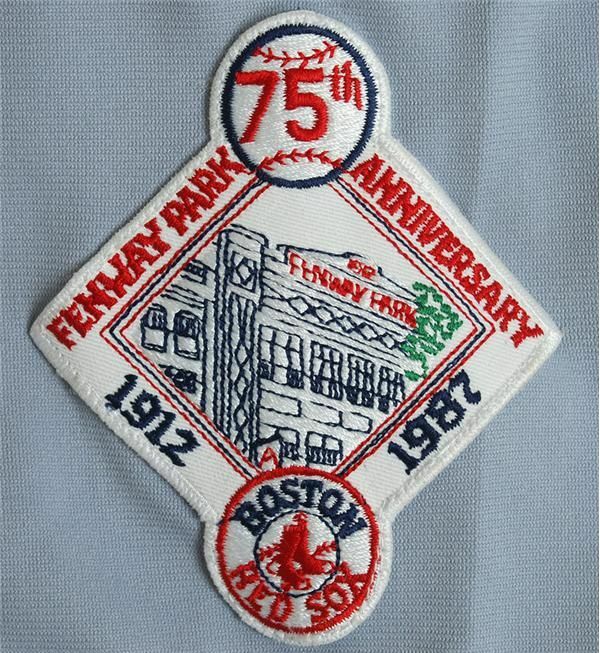 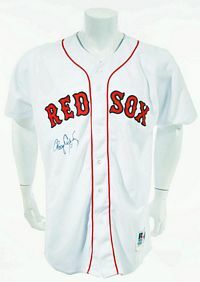 Fenway Park 75th anniversary patch worn in 1987. The road jersey is overhauled, reminiscent of the 1972-78 style. 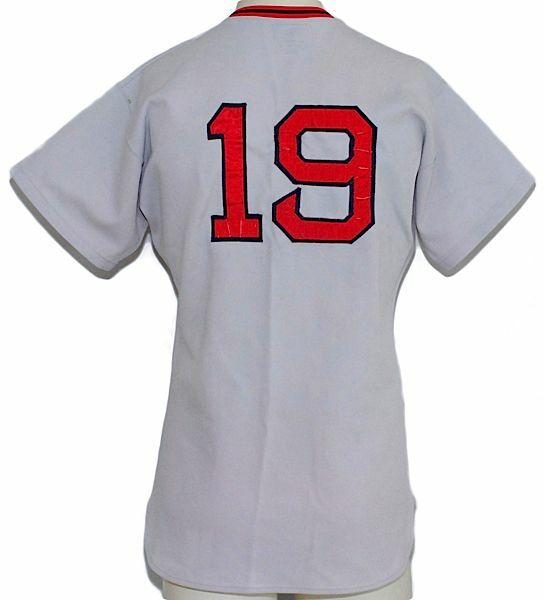 Lettering changes to tuscan in red with navy trim, trim added to sleeves, NOB added. 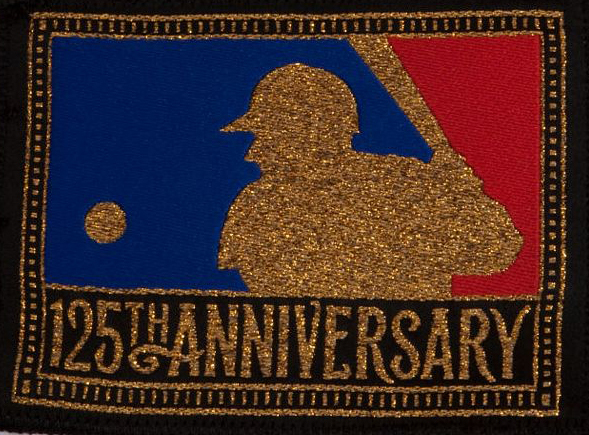 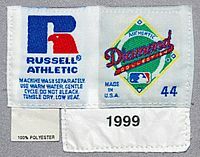 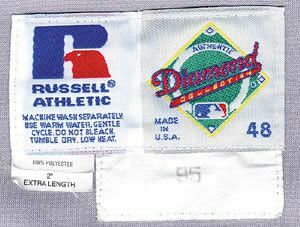 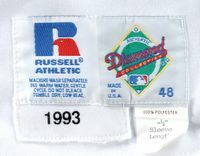 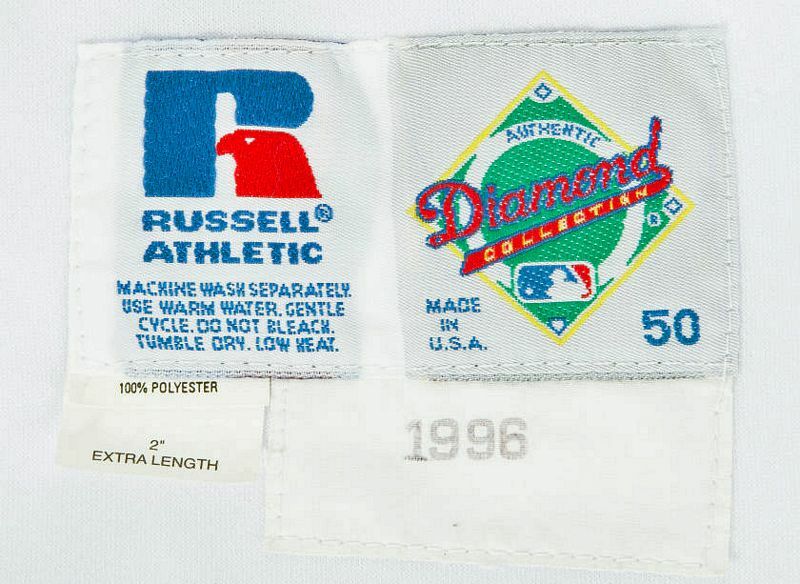 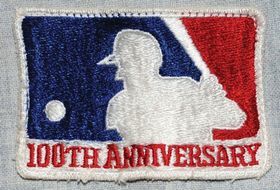 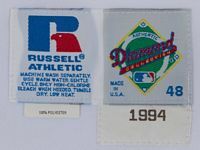 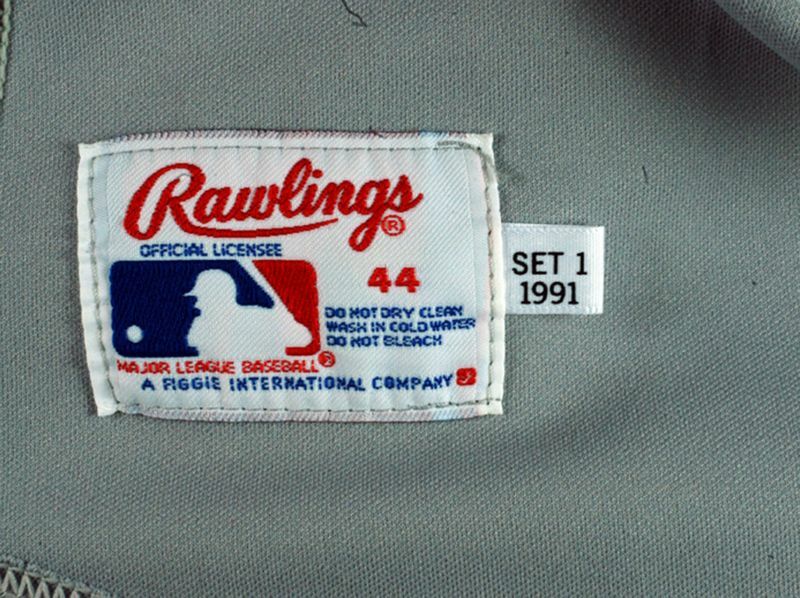 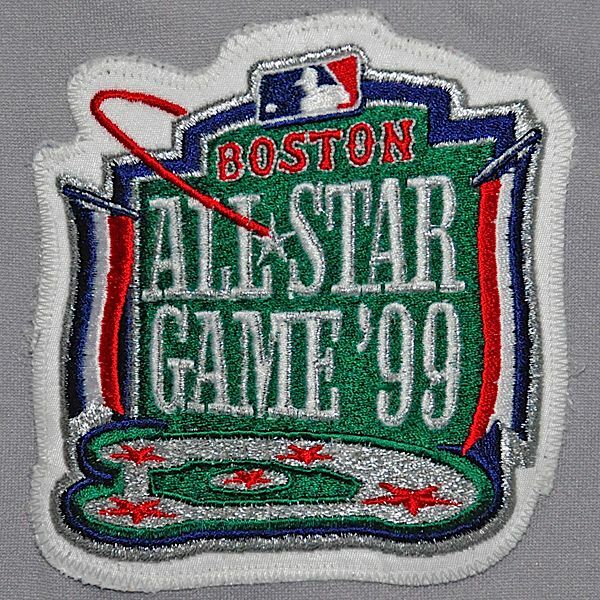 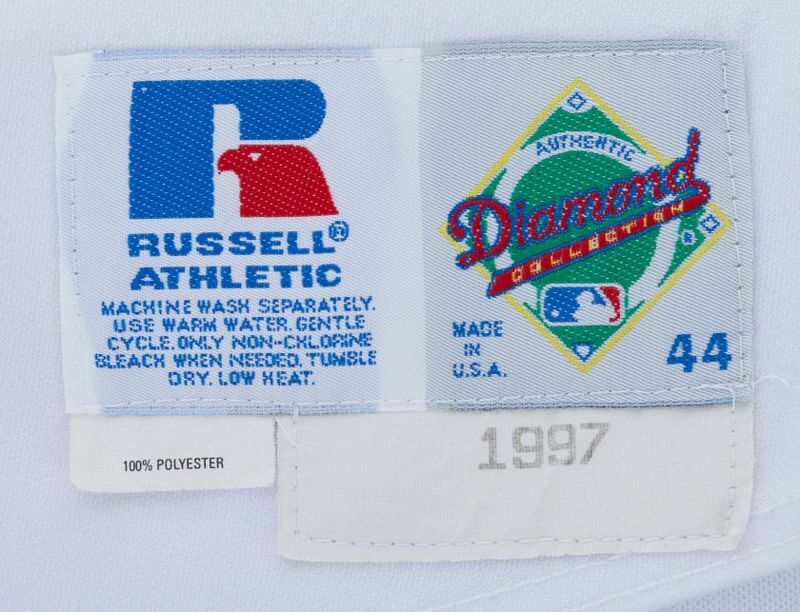 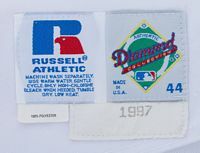 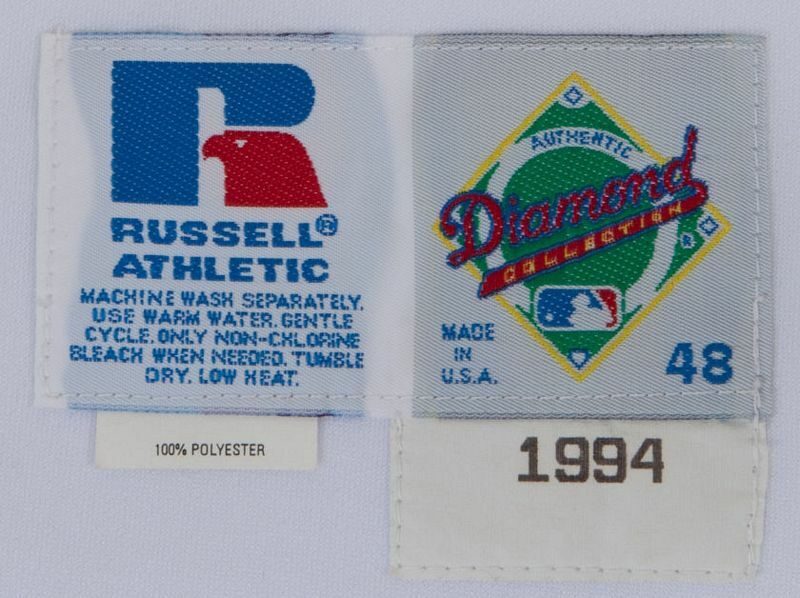 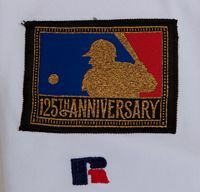 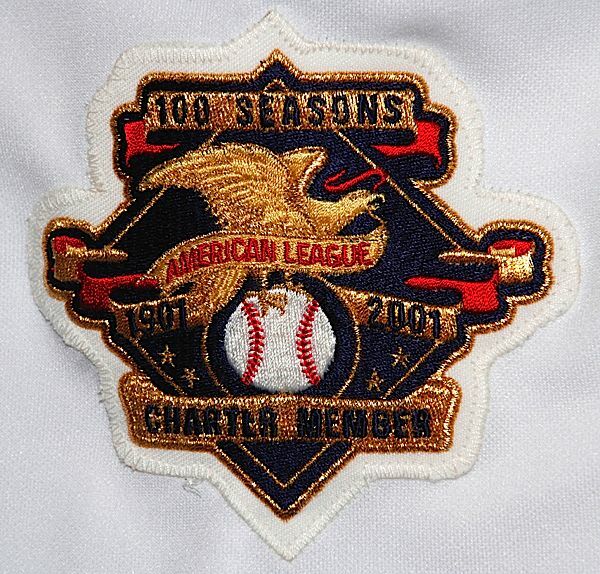 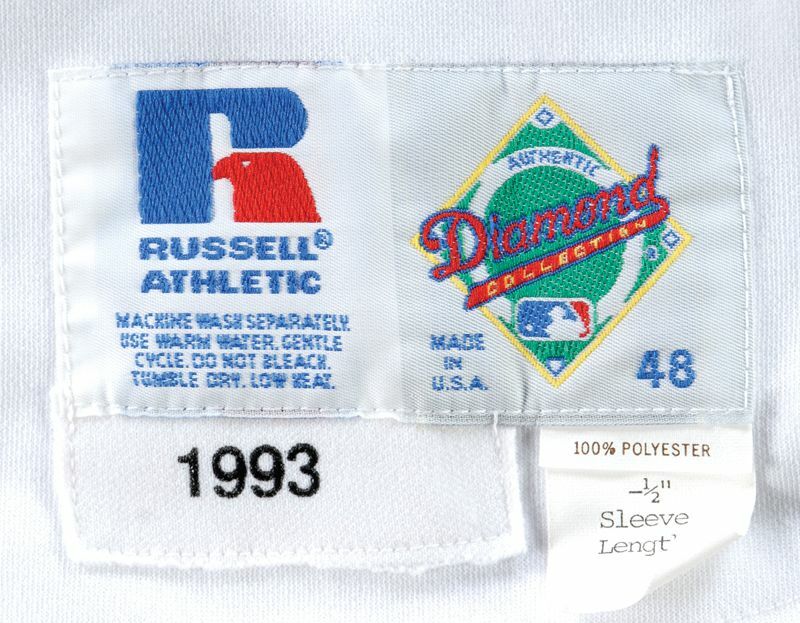 MLB 125th anniversaey patch worn in 1994. 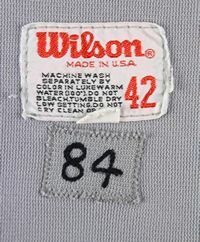 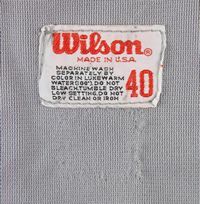 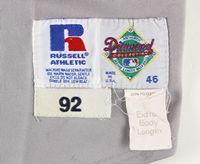 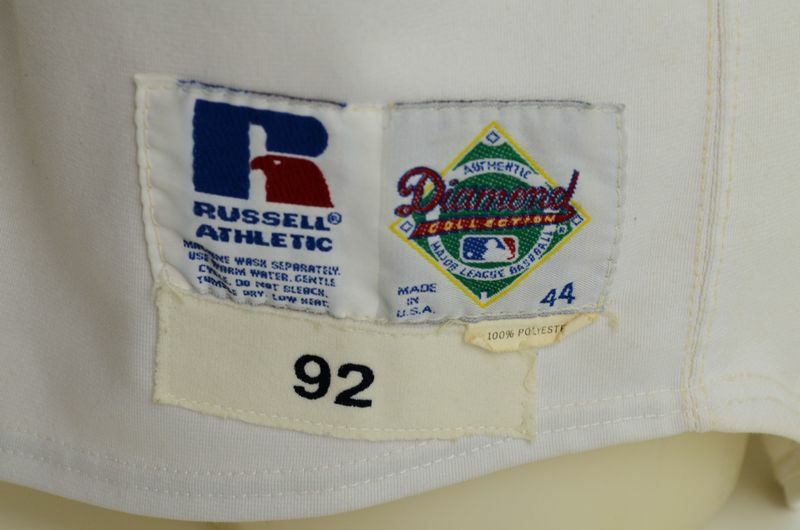 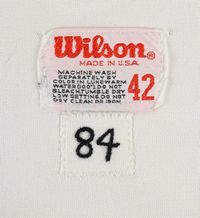 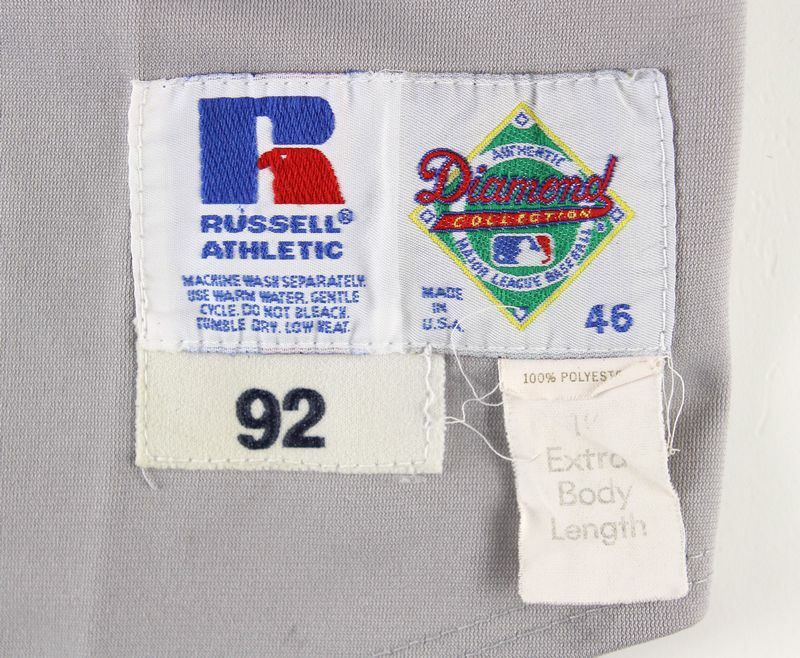 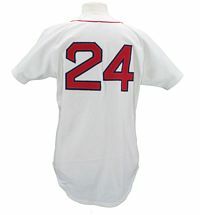 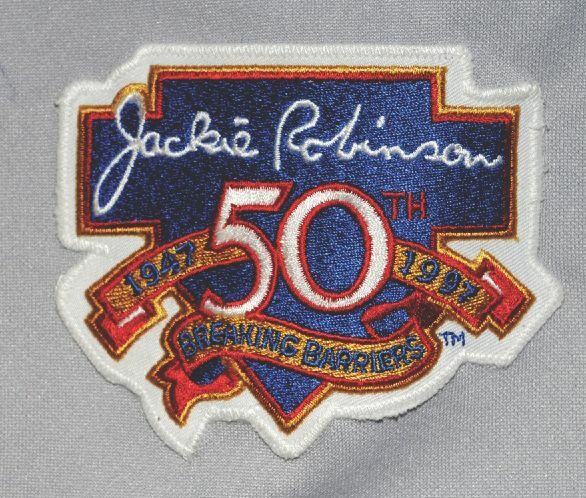 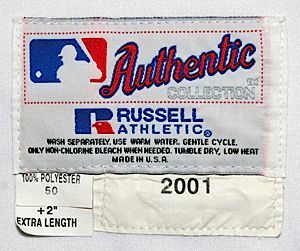 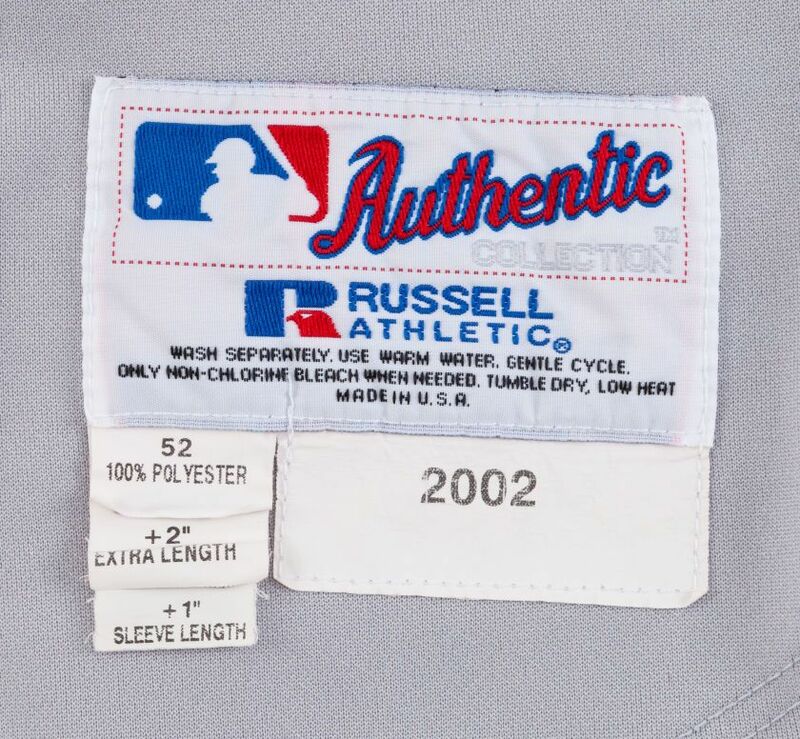 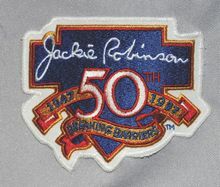 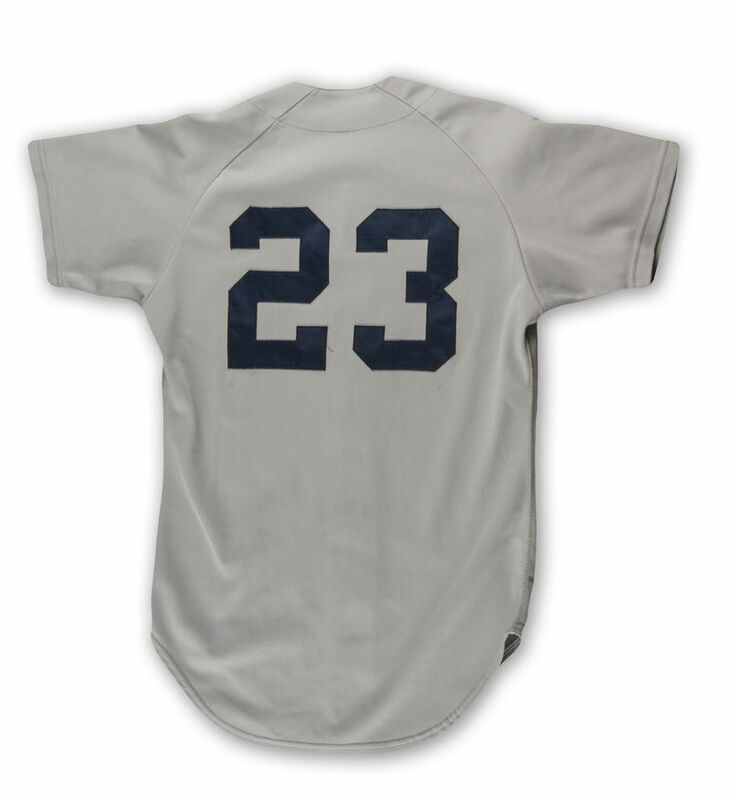 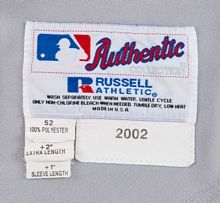 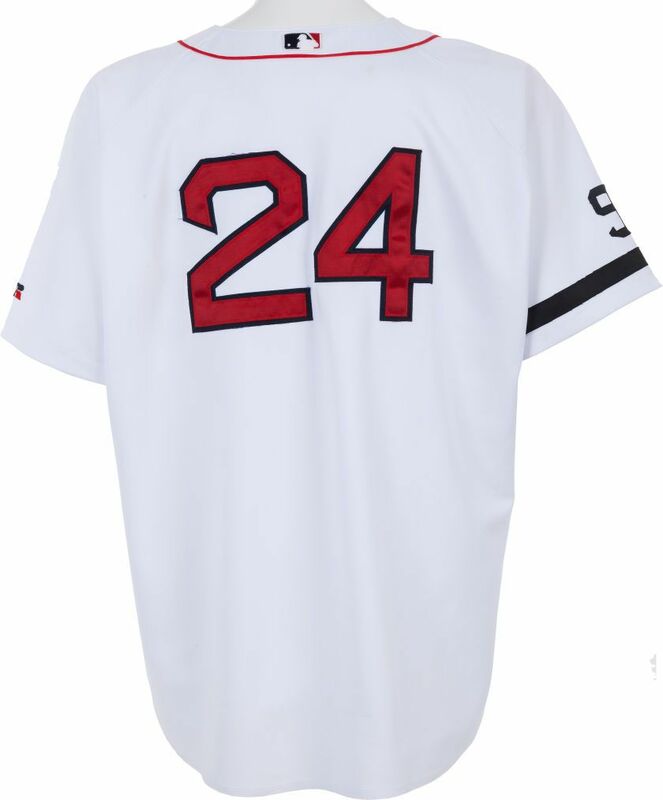 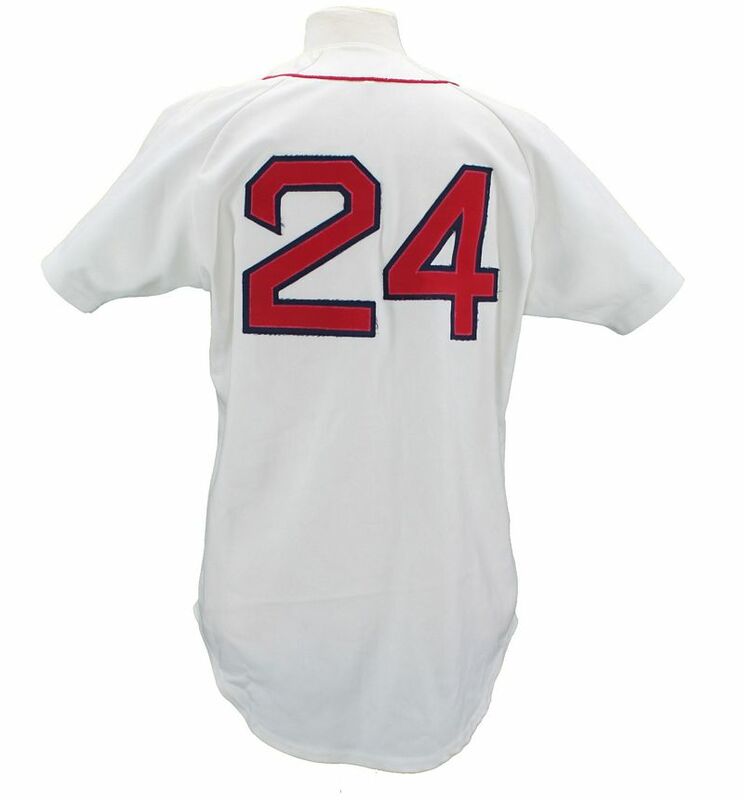 Jackie Robinson patch worn in 1997. 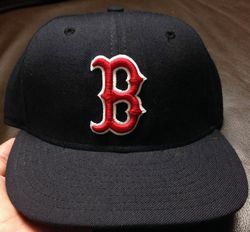 A pair of alternate caps are trotted out and almost immediately trotted back into oblivion. 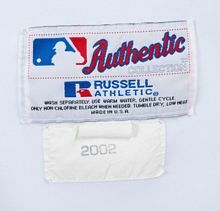 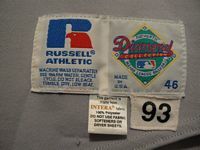 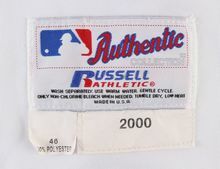 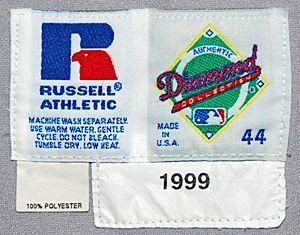 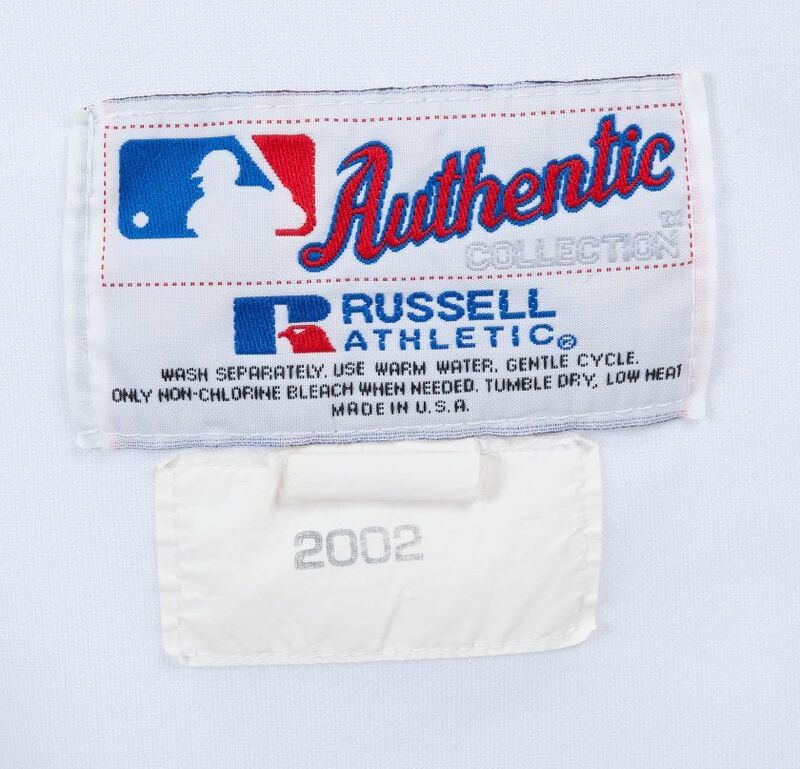 AL Centennial patch worn in 2001.